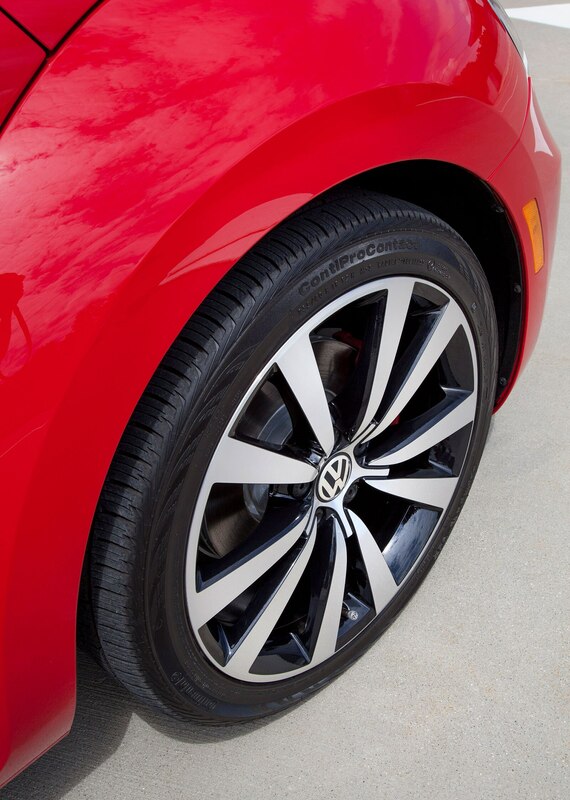 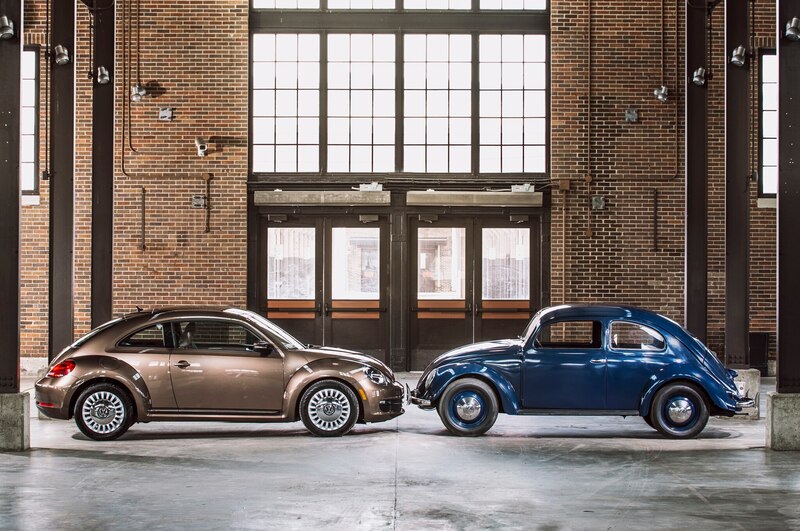 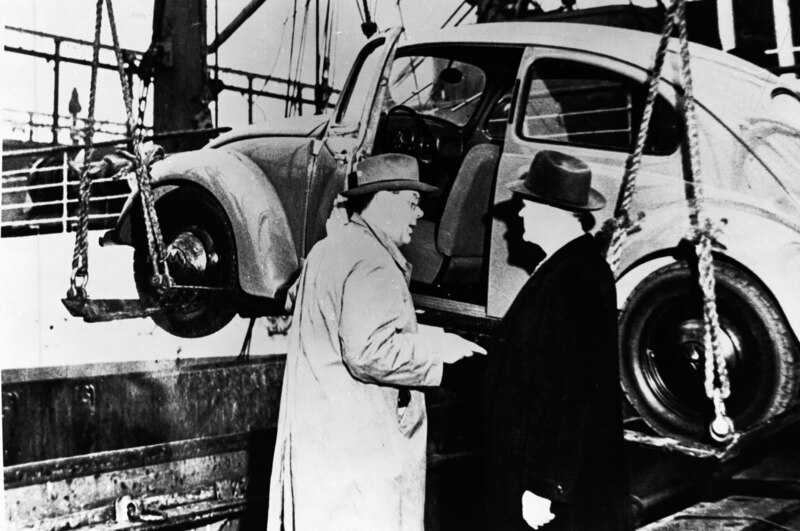 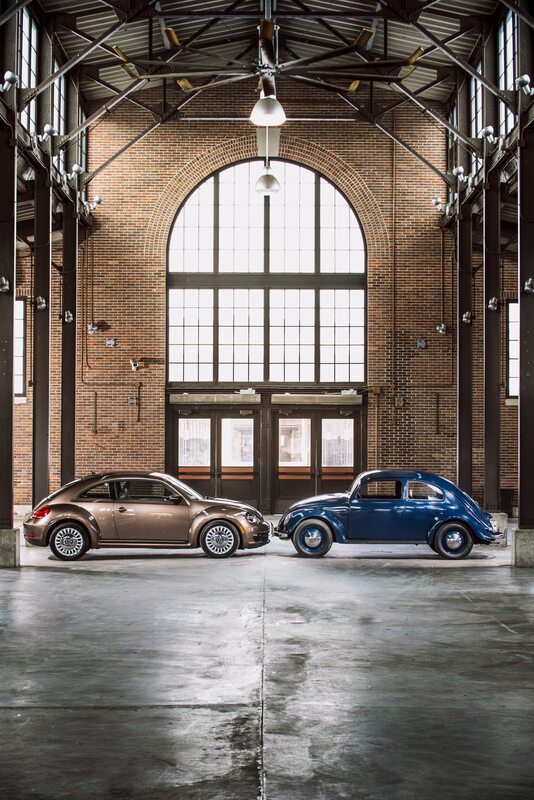 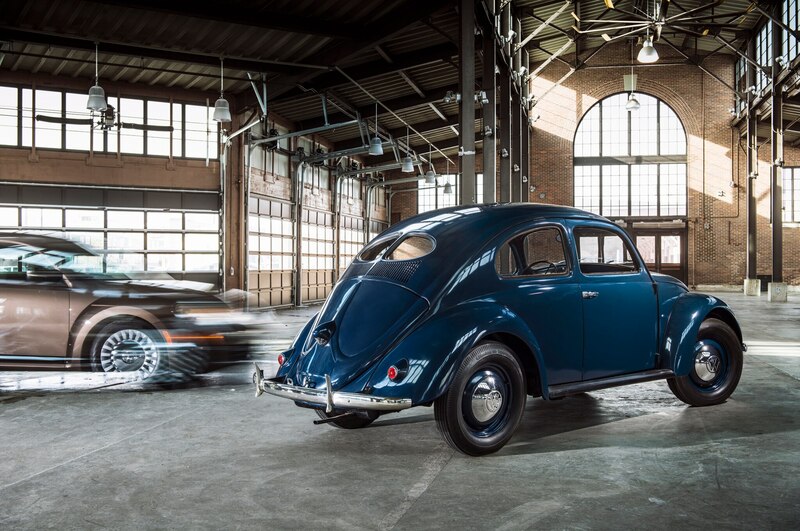 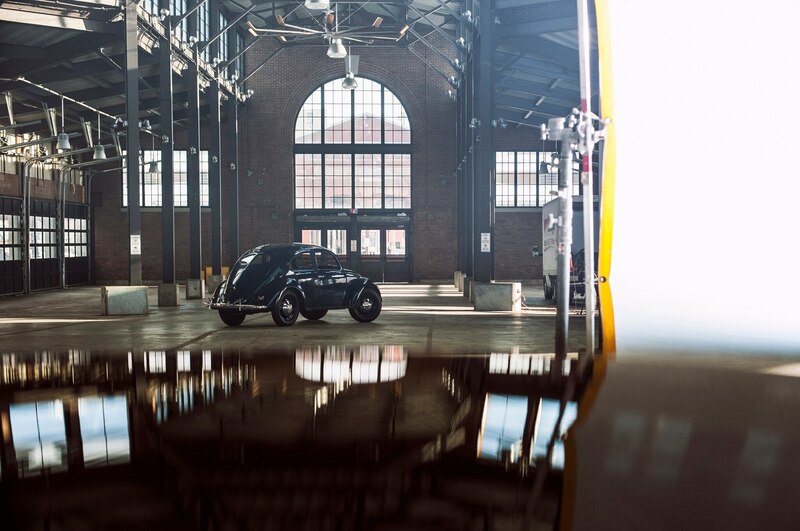 Now in its third generation, the Volkswagen Beetle is celebrating 65 years since its arrival in the United States. 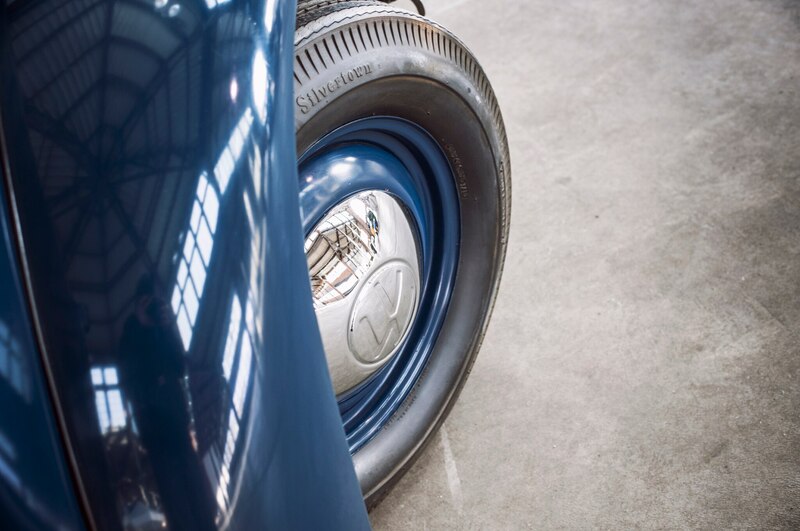 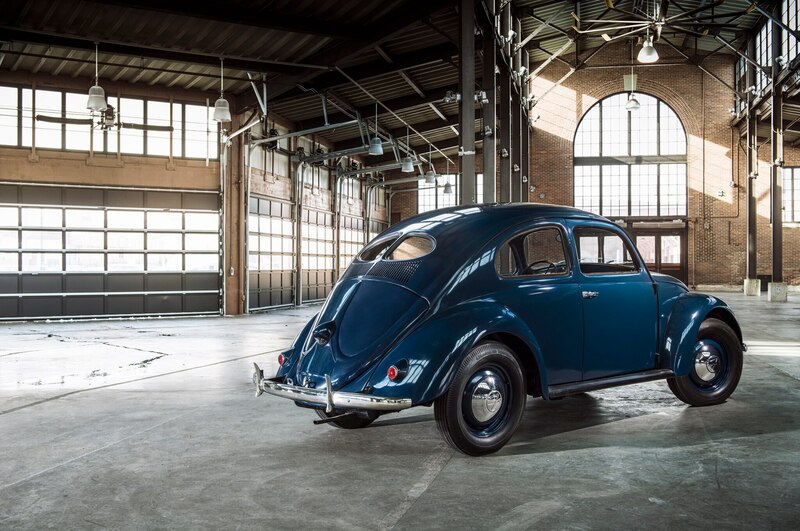 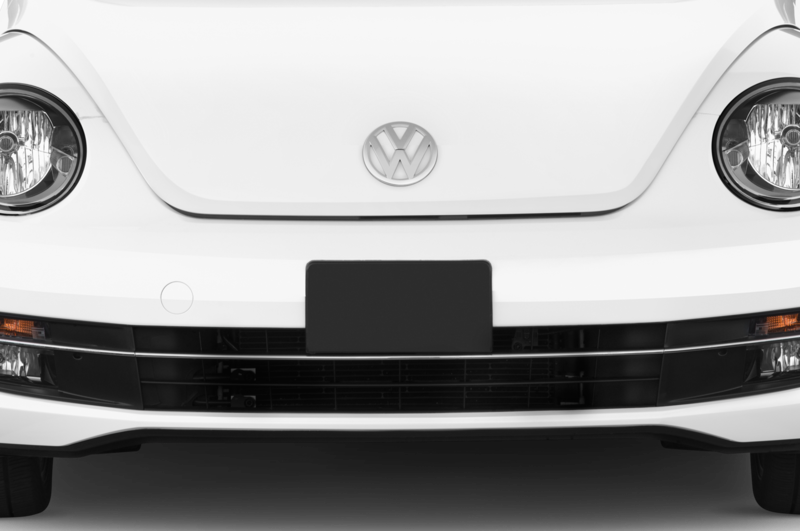 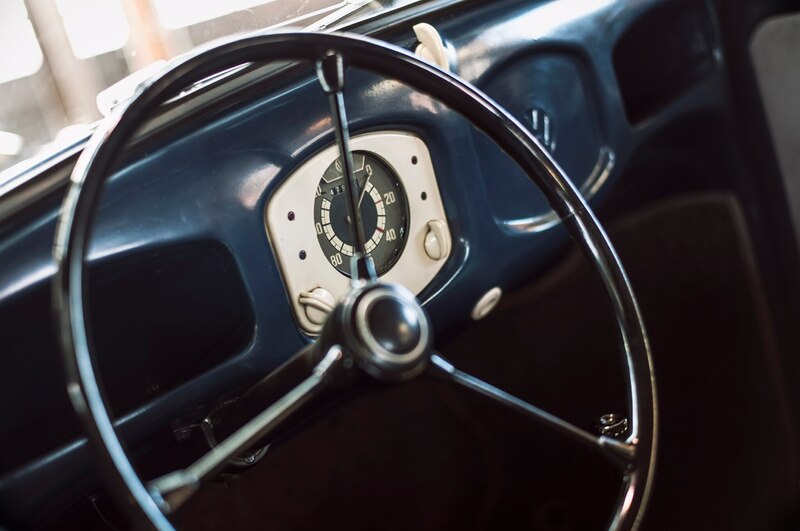 Perhaps one of the most recognizable and iconic car designs of the 20th century, the original “Type 1” Volkswagen Beetle was first imported by a Dutch businessman to New York in 1949, paving the way for Volkswagen’s presence in the U.S. automotive market. 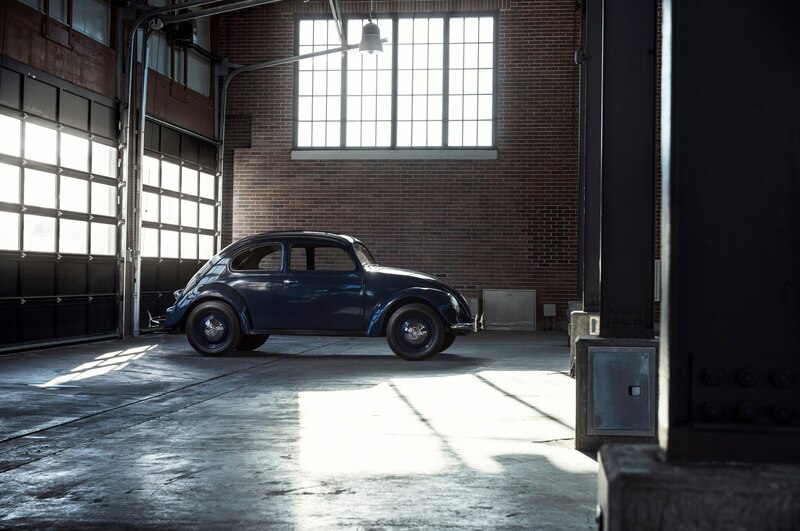 The rear-engine, air-cooled Bug was loved for its simplicity and funky looks, which particularly captured the tastes and imaginations of buyers in the 1960s. 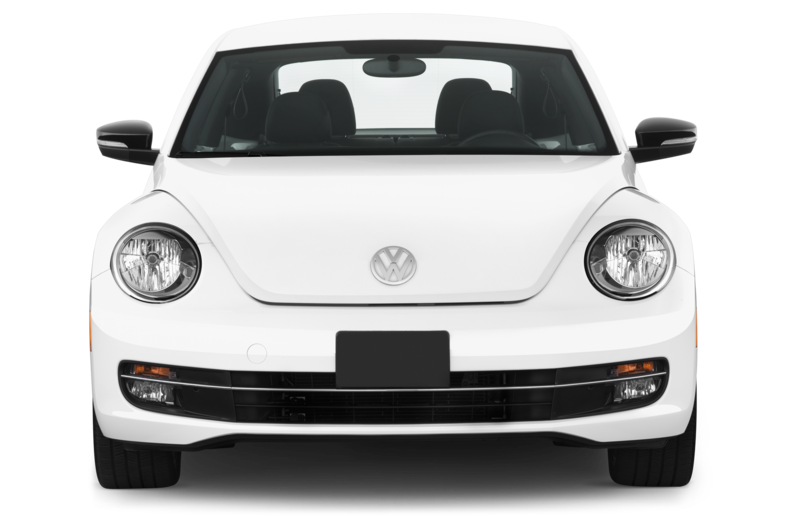 To get a sense for the immense popularity of the Volkswagen Beetle, consider that VW sold as many as 423,000 Bugs a year in the U.S. by 1968. 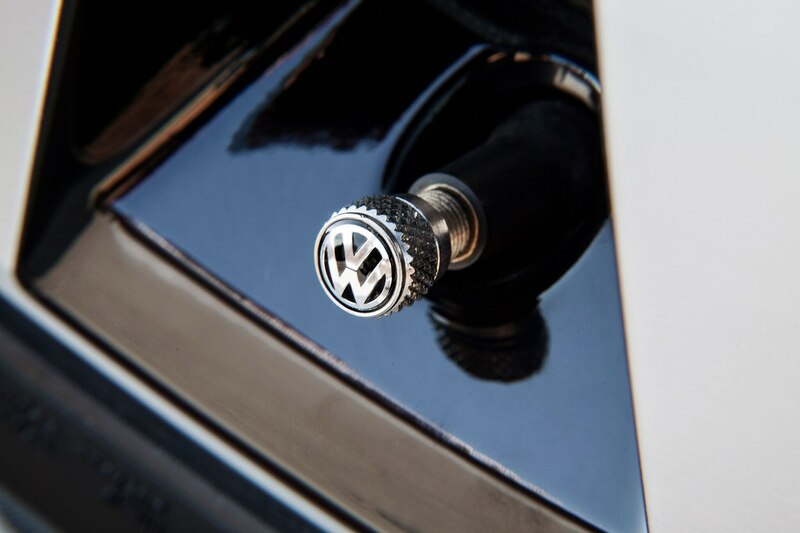 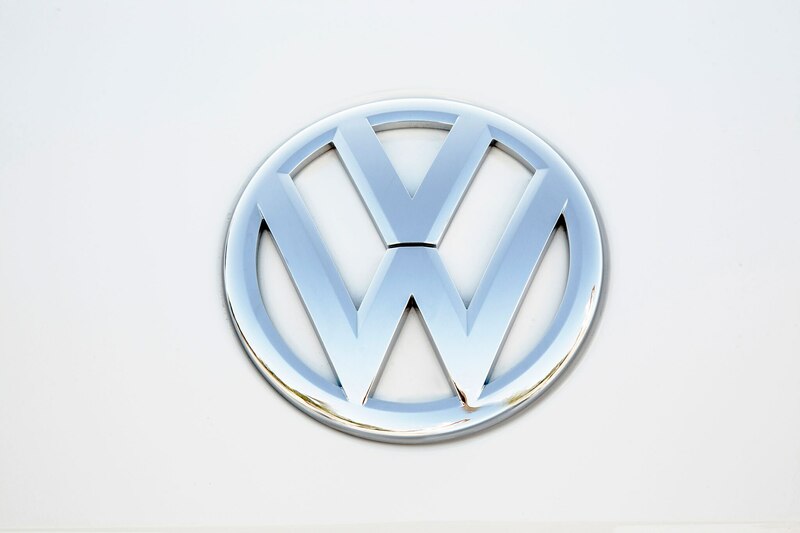 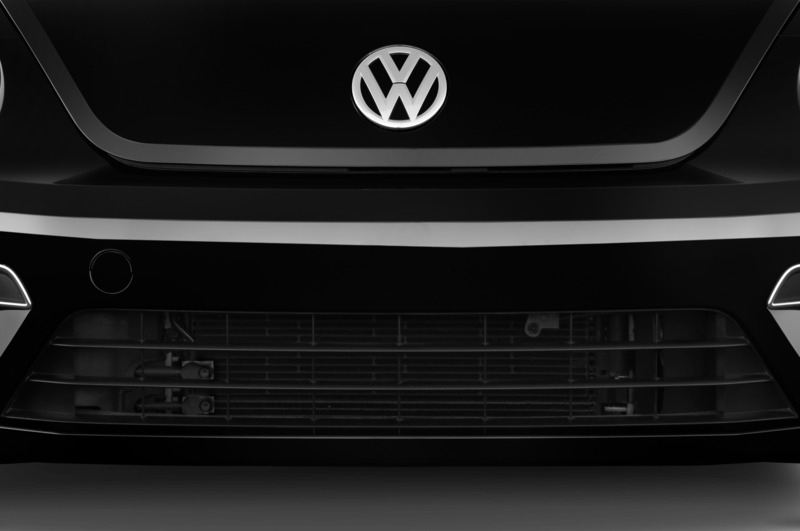 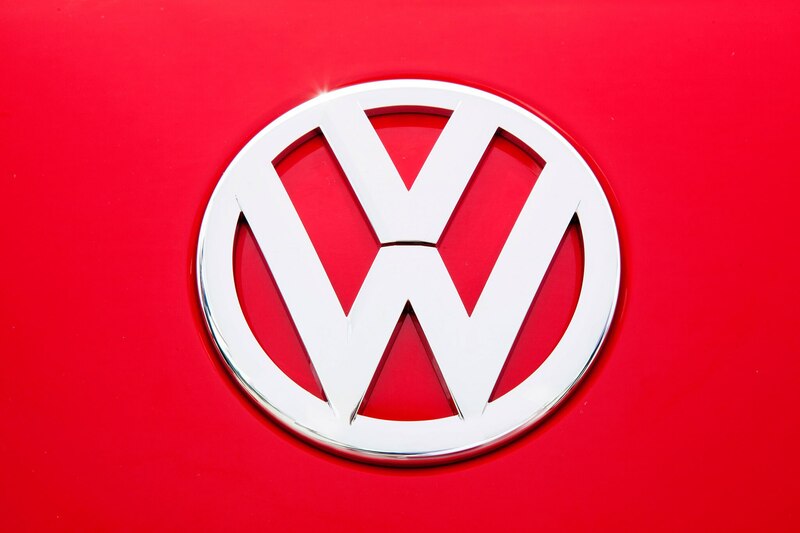 In 2013, the entire Volkswagen brand of eleven models sold 407,704 units, only the second year since the 1970s that VW topped 400,000 units in consecutive years. 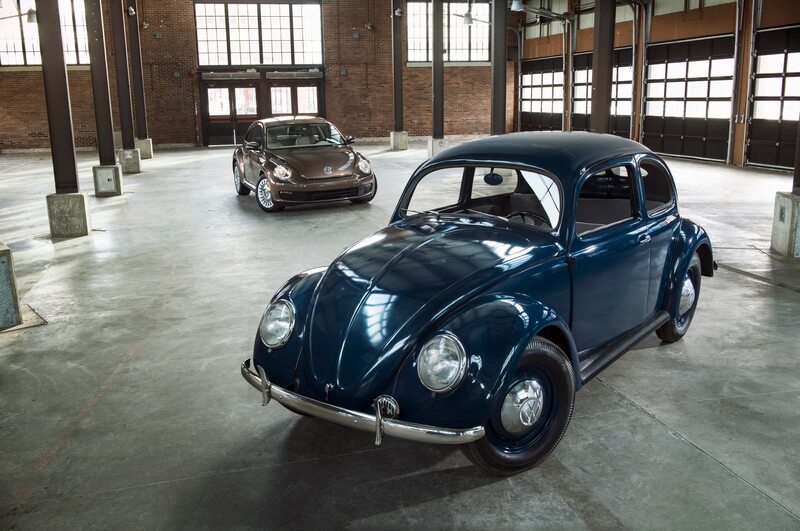 The original Beetle, largely unchanged since its U.S. introduction in 1949, ceased production in 1977. 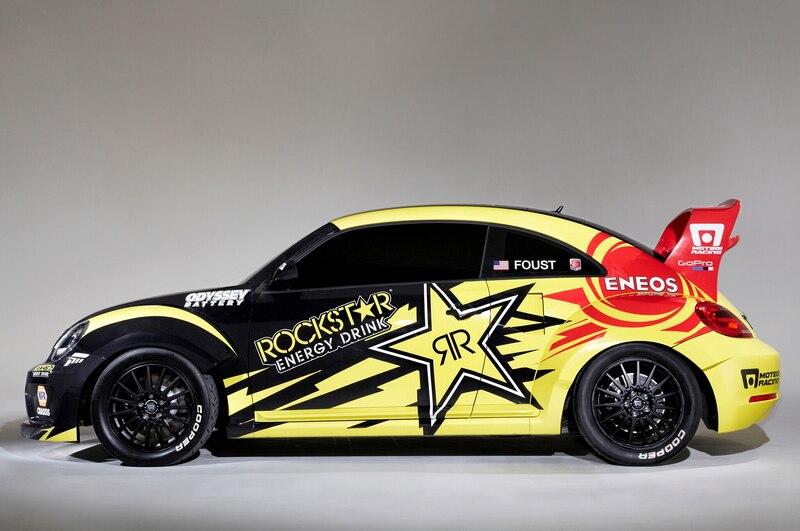 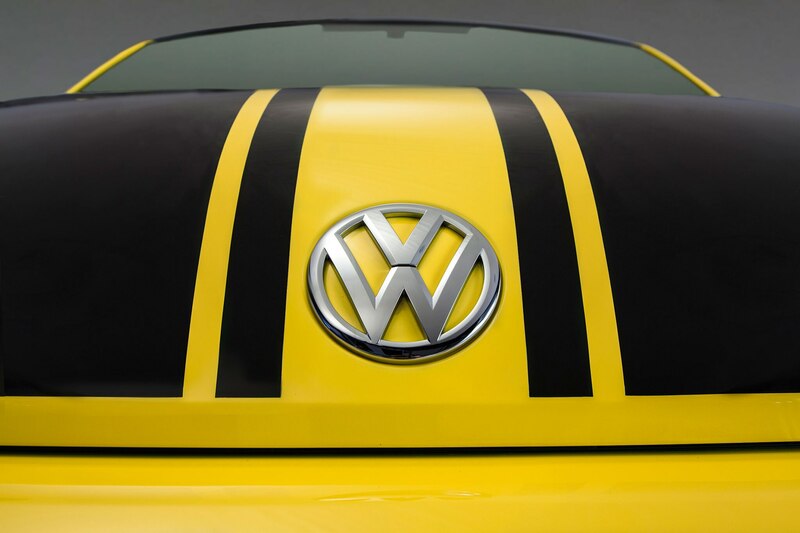 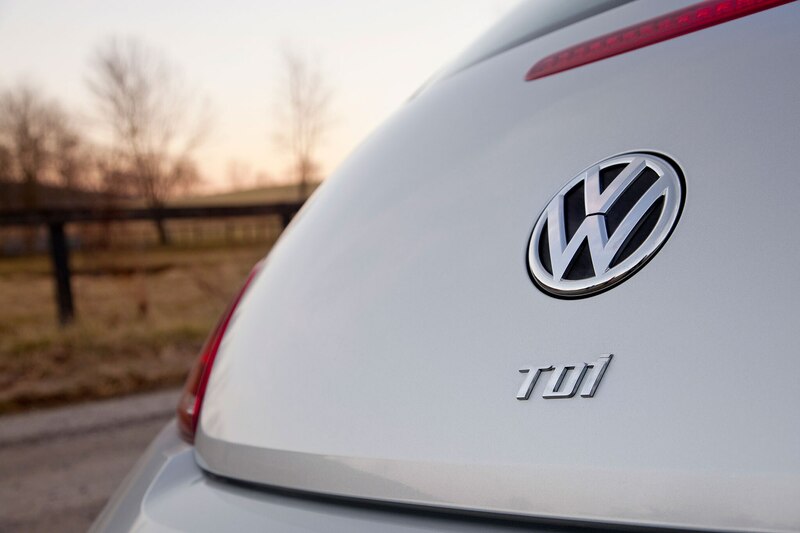 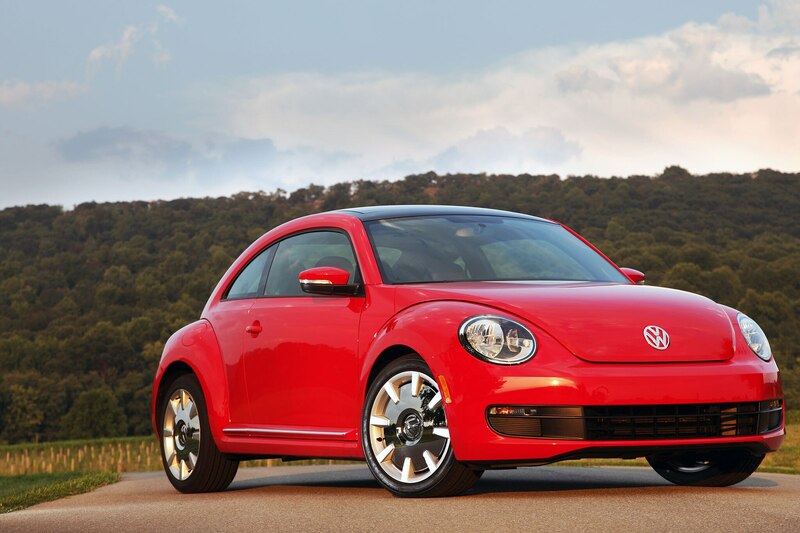 Volkswagen pressed on for two decades until it resurrected the model, named the New Beetle, in 1998. 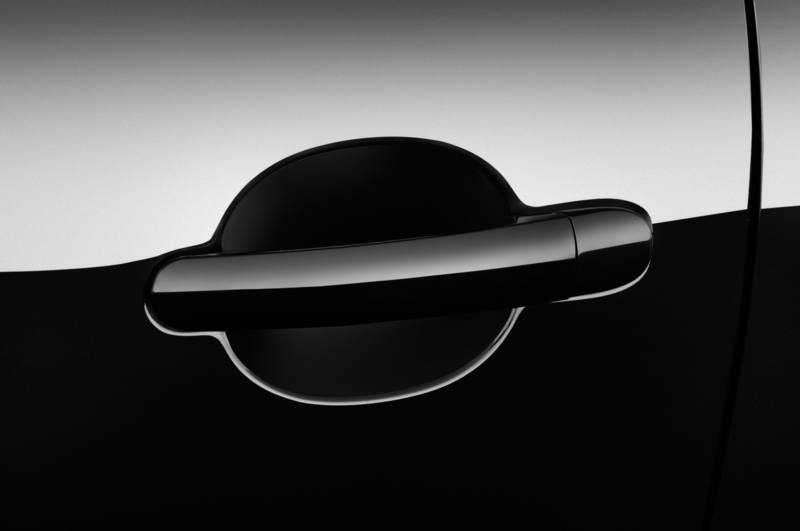 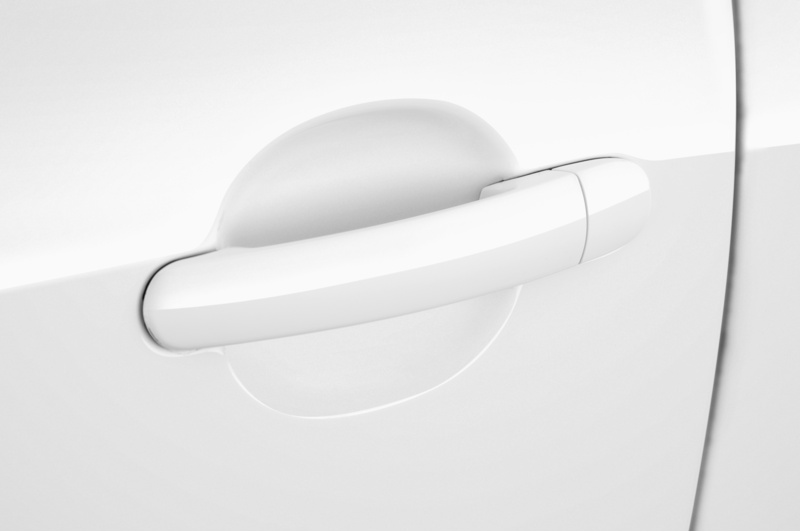 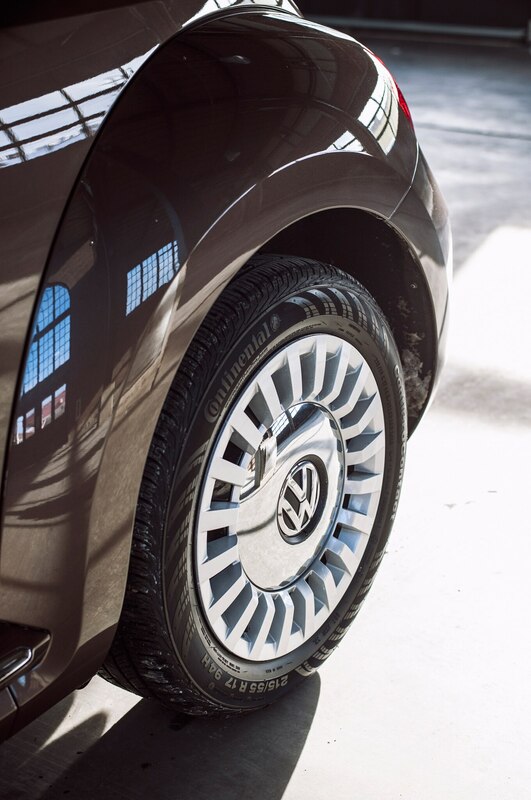 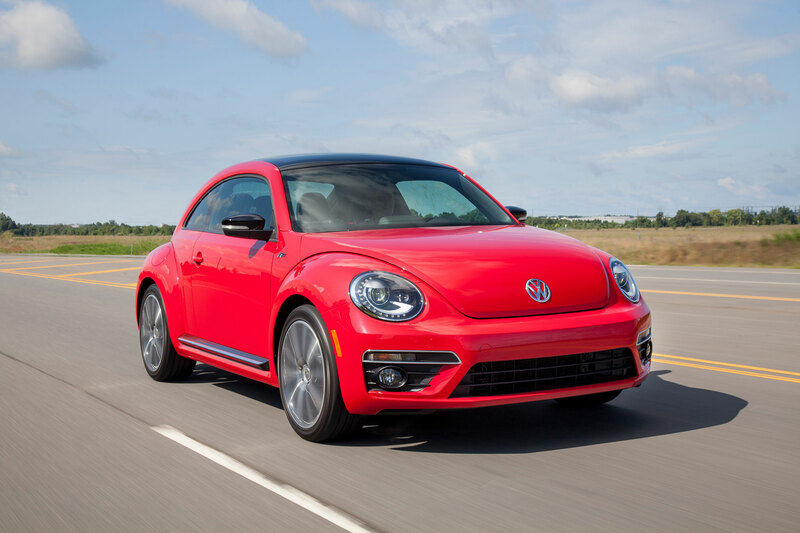 Based on the Volkswagen Golf platform, the bubble-shaped, flower-vase equipped New Beetle got off to a hot start, quickly rising above 80,000 units sold in the U.S. 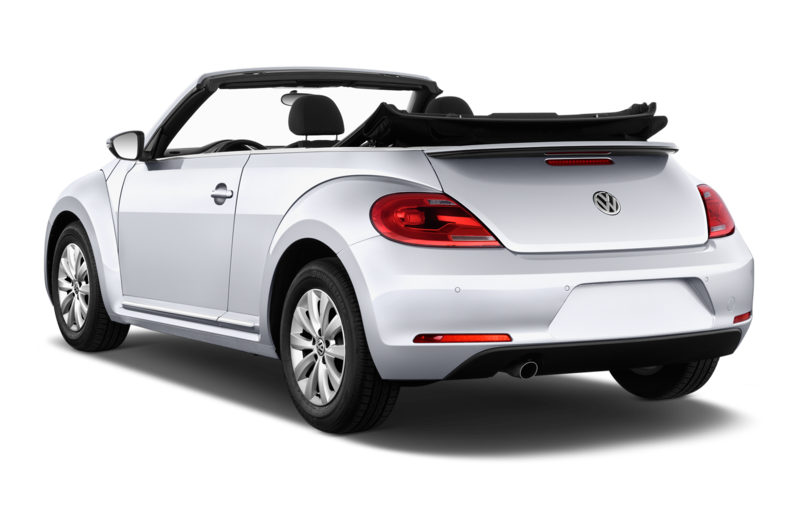 However, the Bug-hysteria would sharply subside. 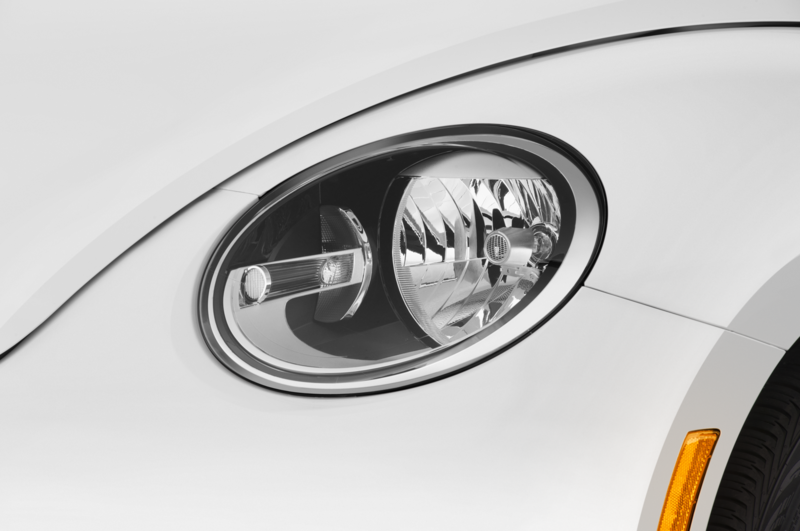 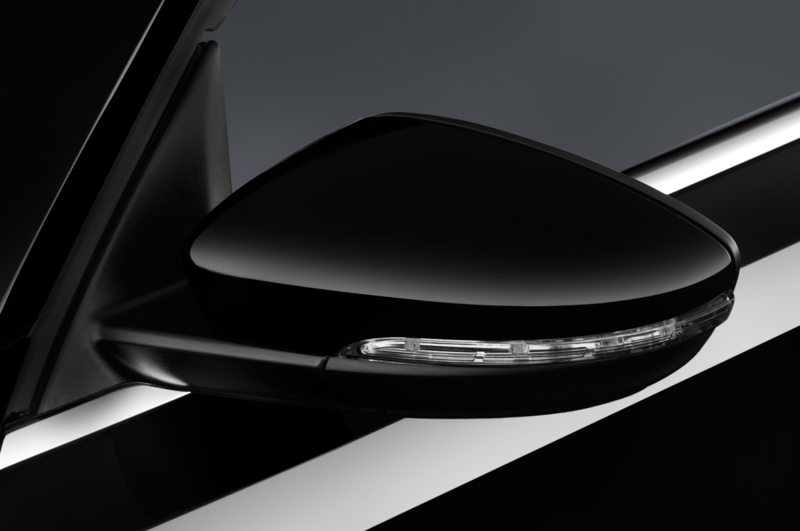 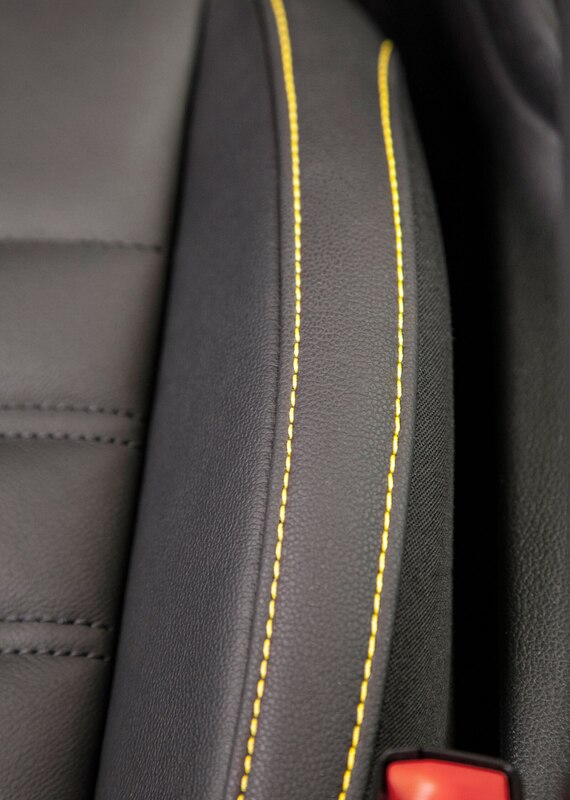 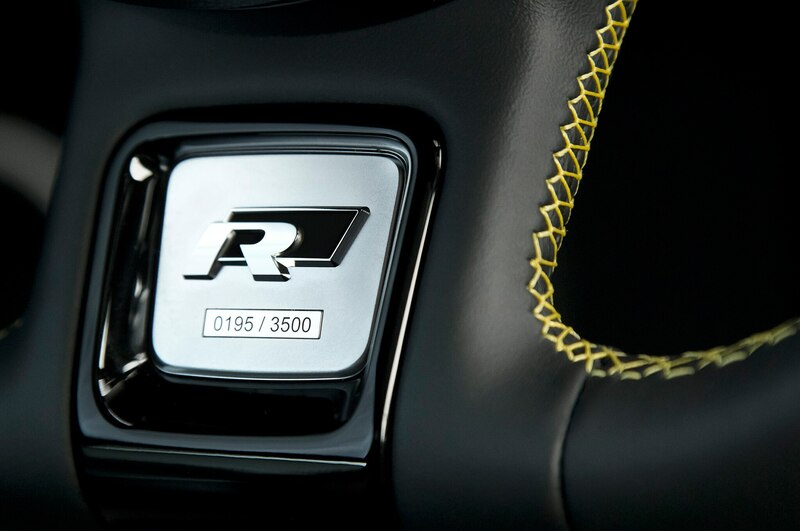 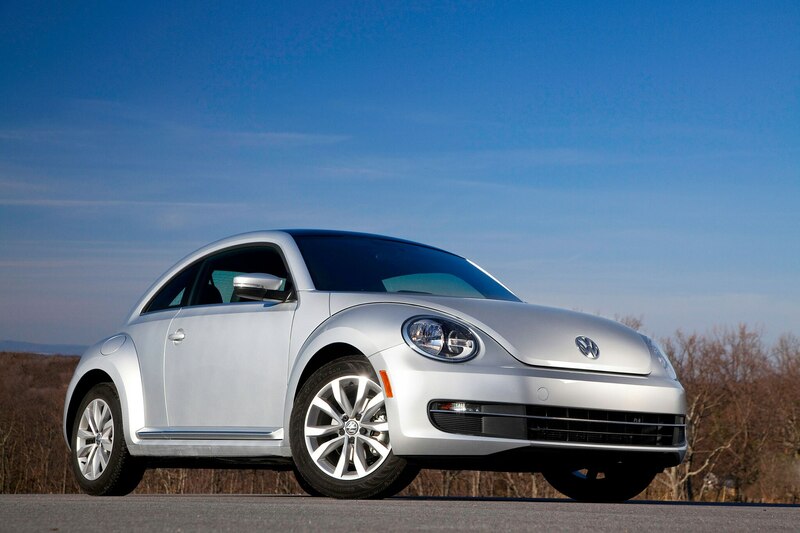 By 2010, less than 20,000 New Beetle models were being sold annually. 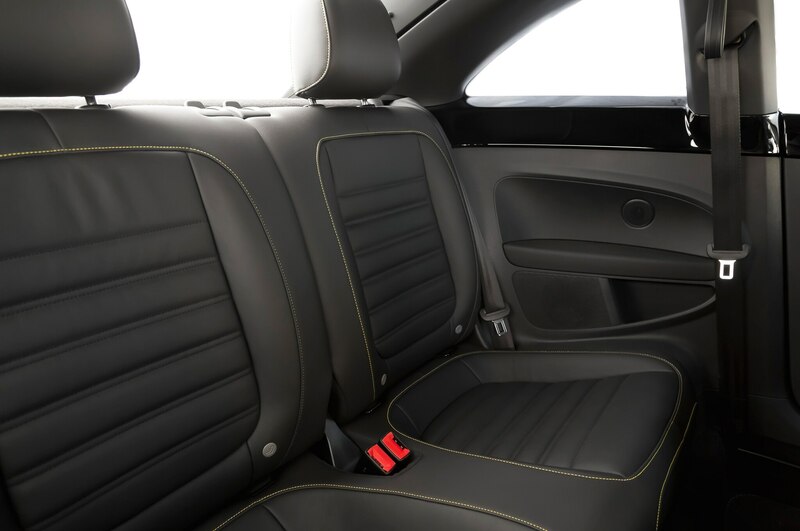 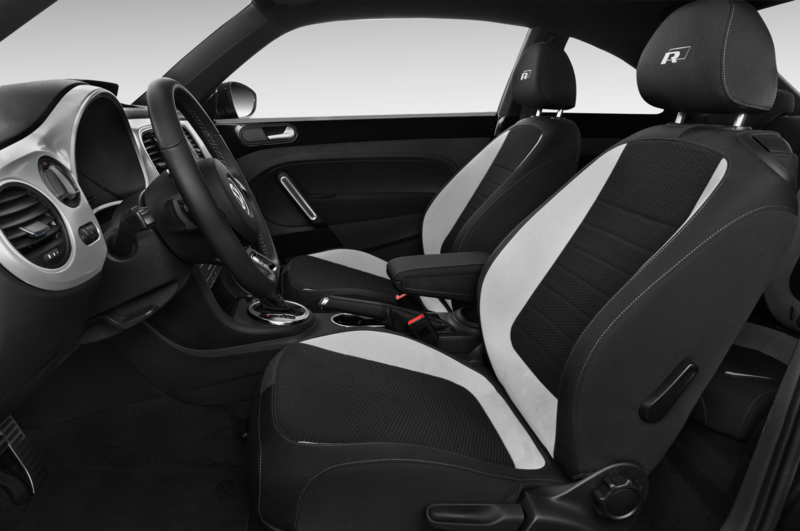 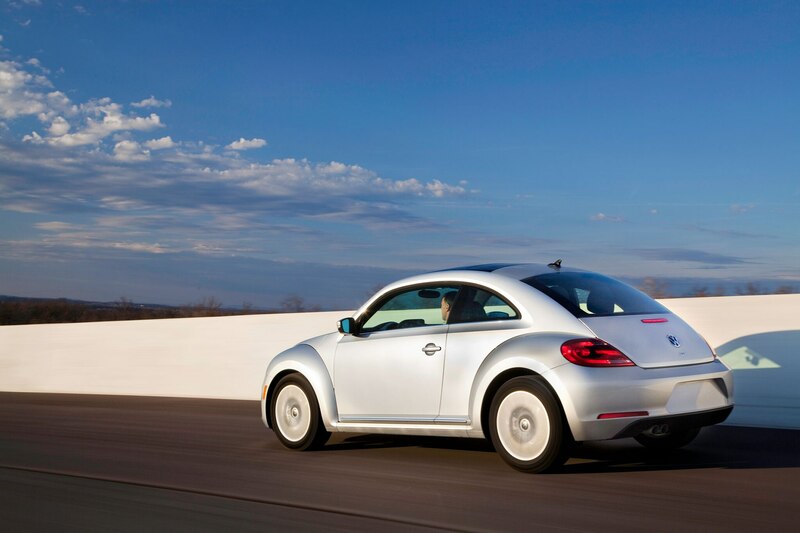 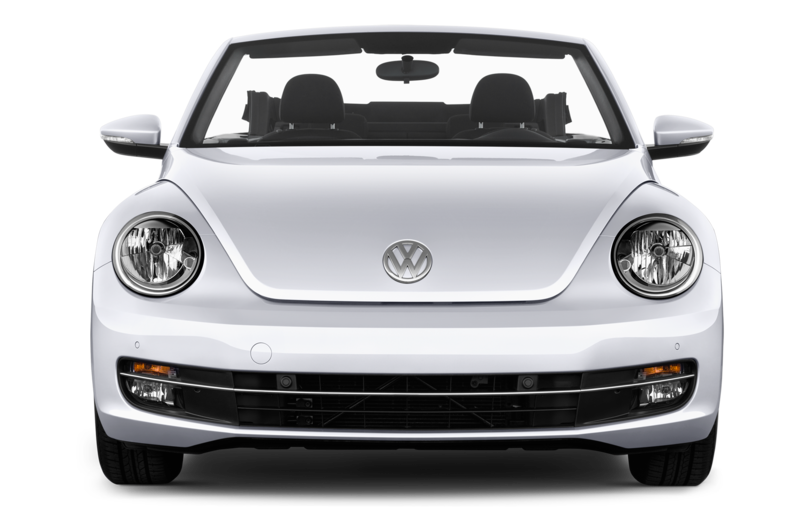 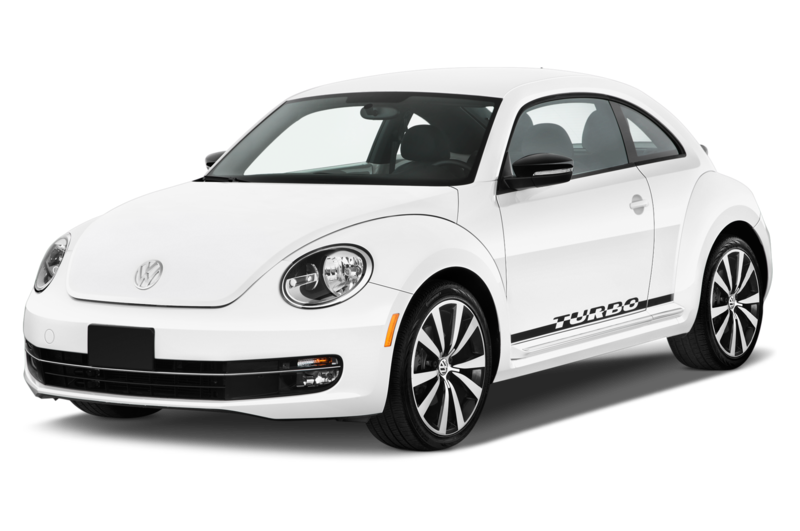 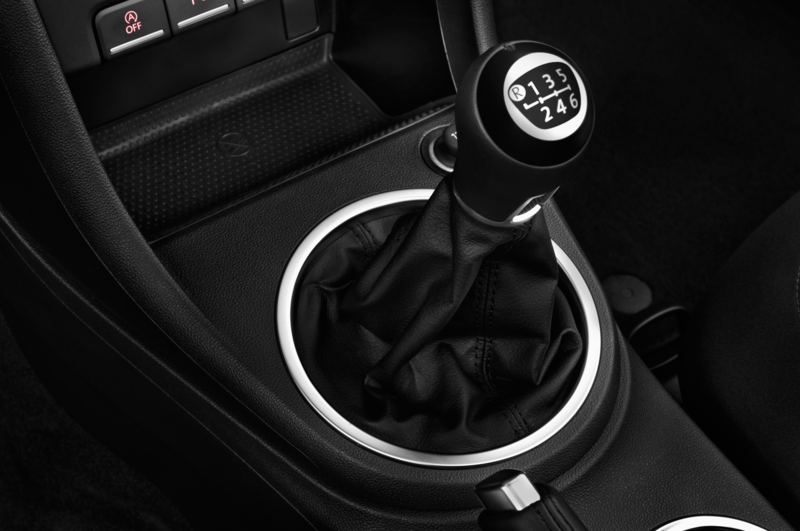 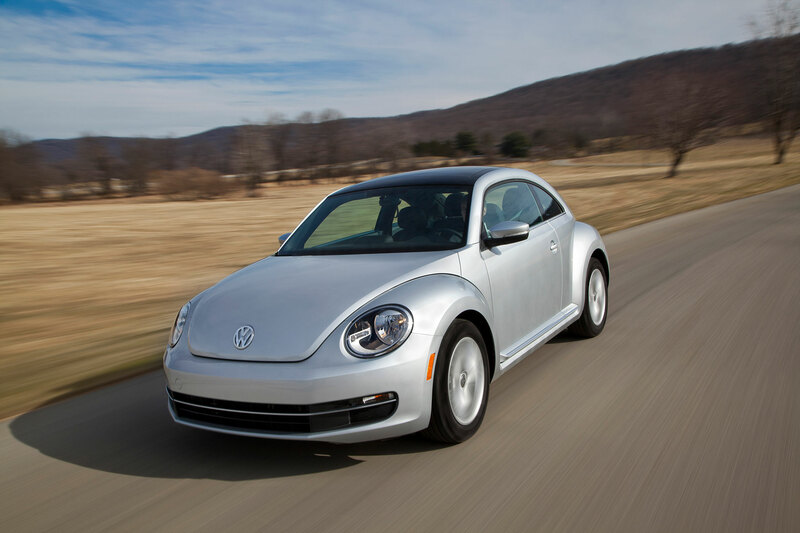 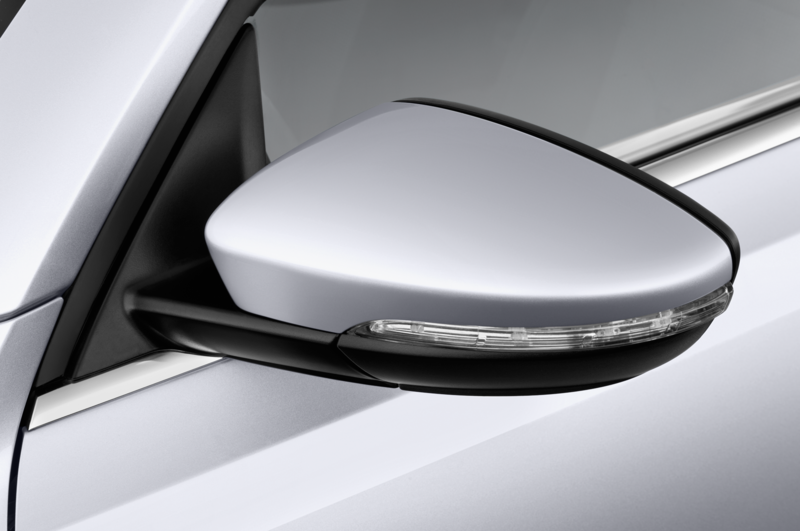 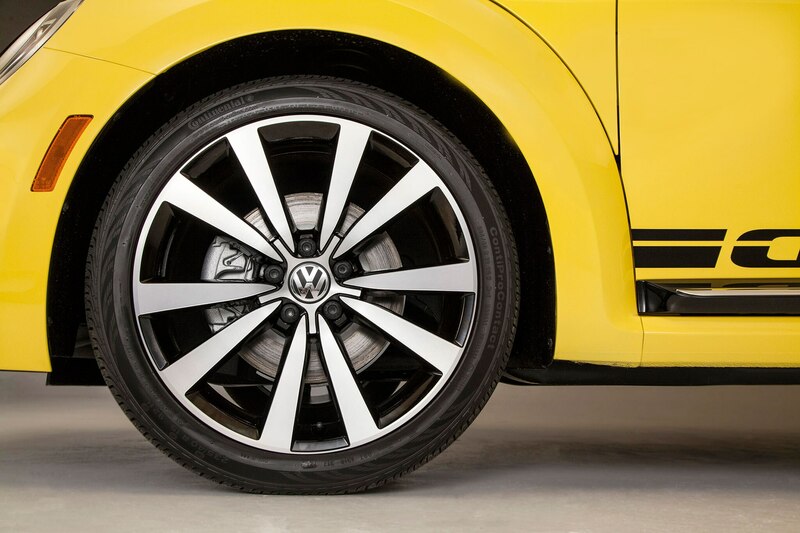 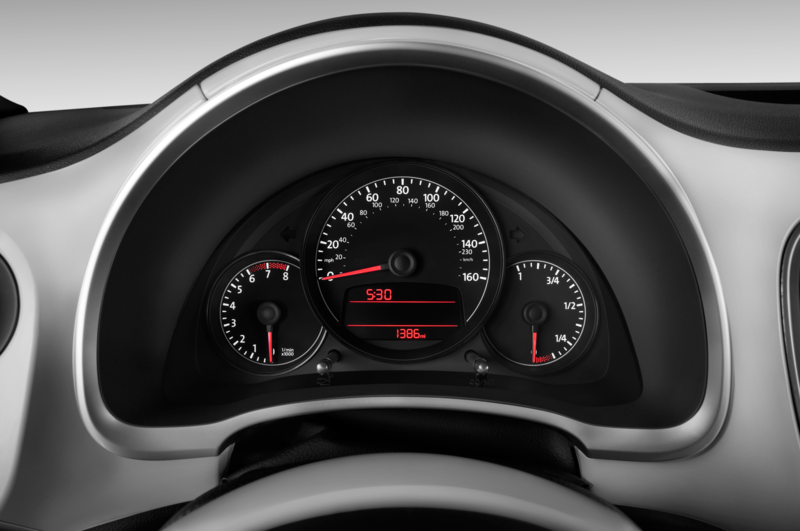 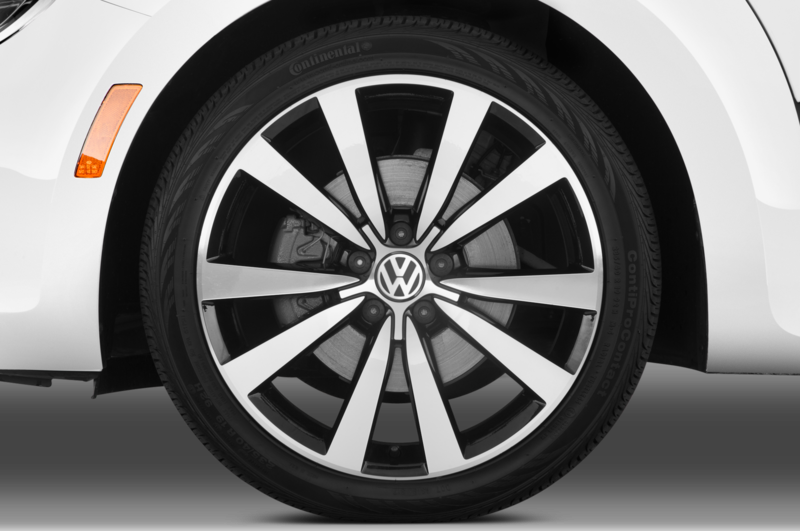 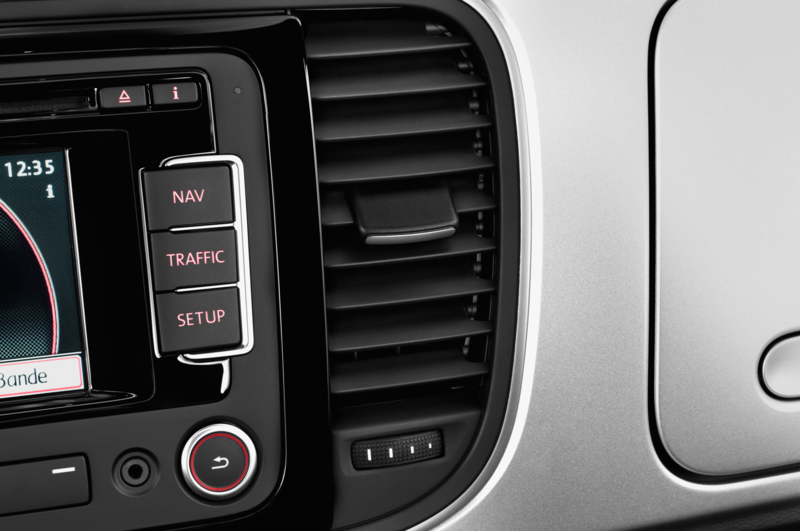 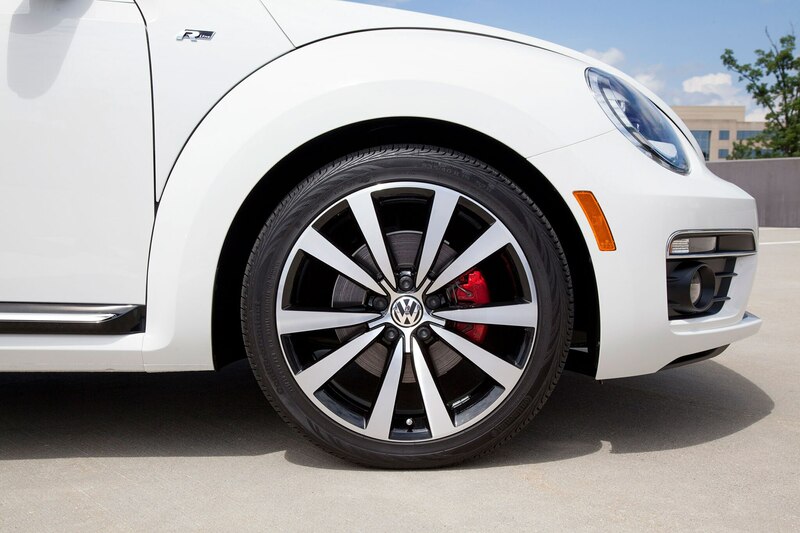 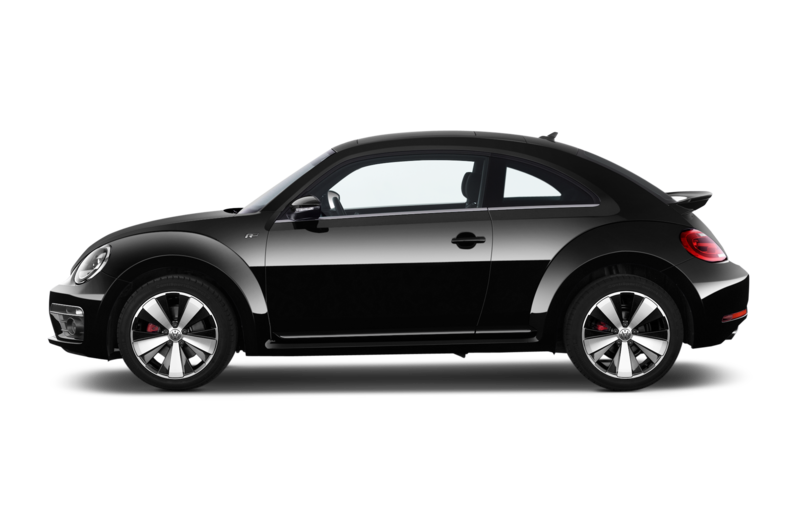 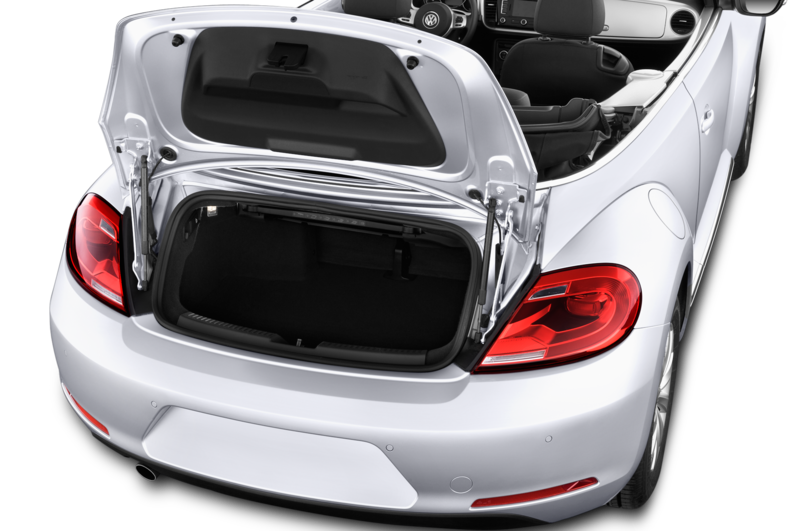 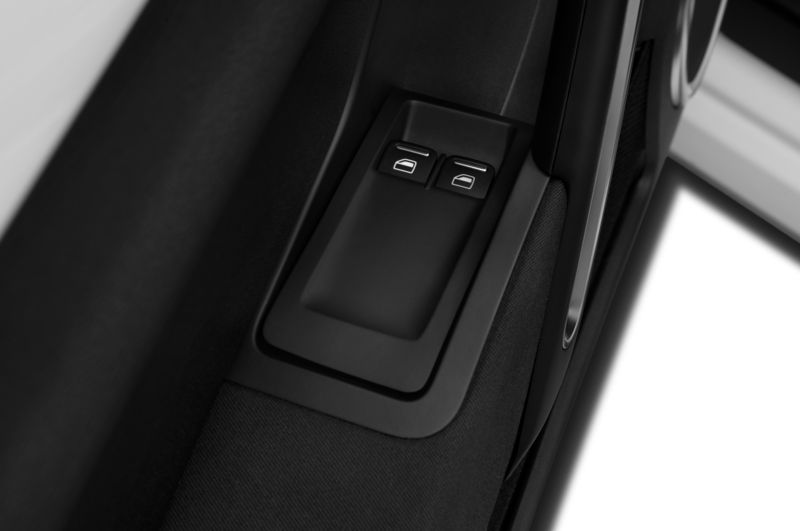 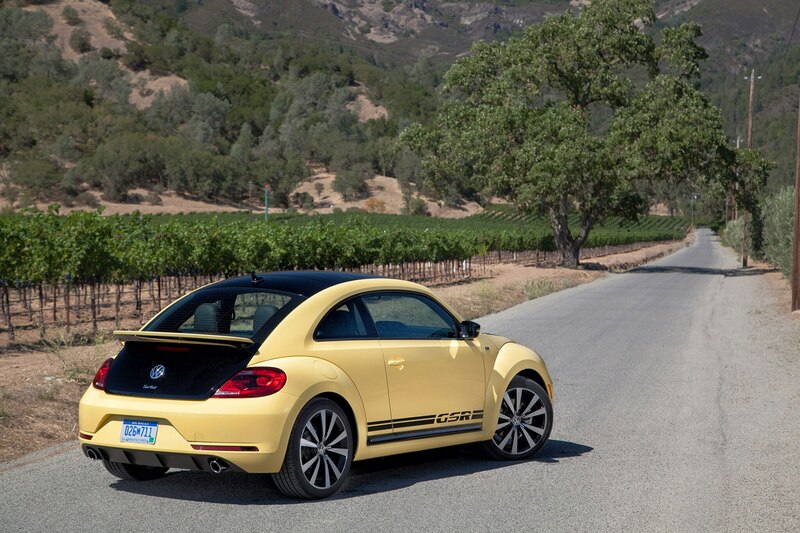 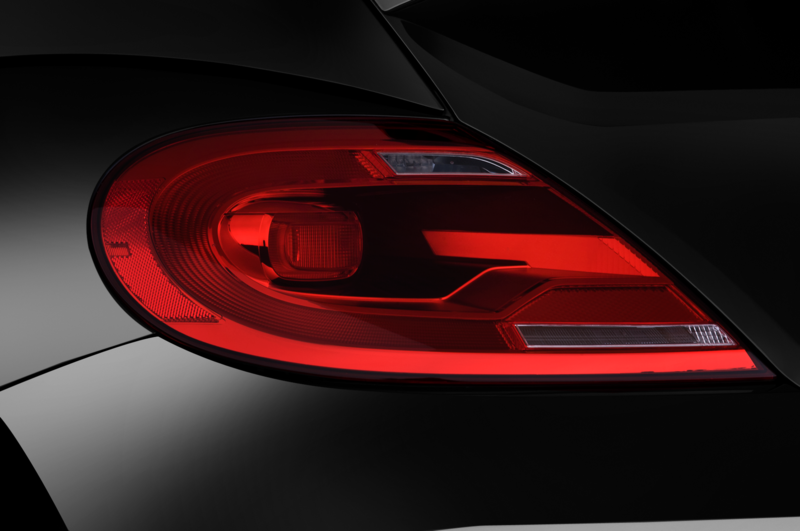 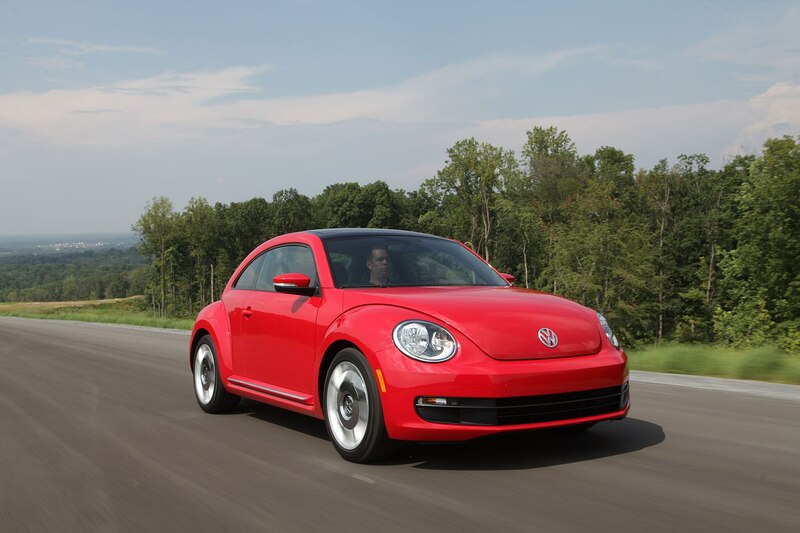 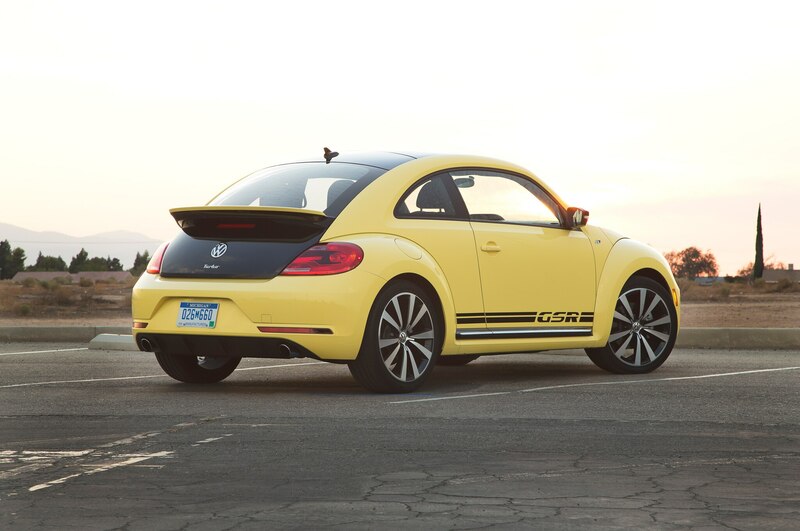 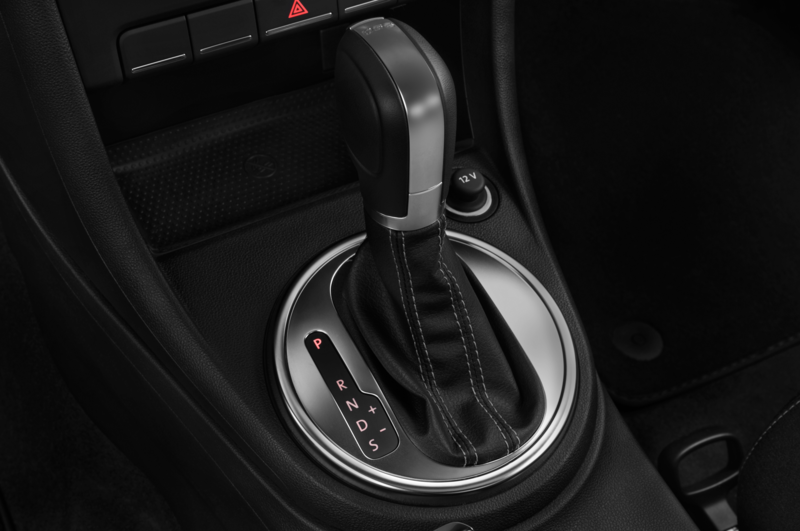 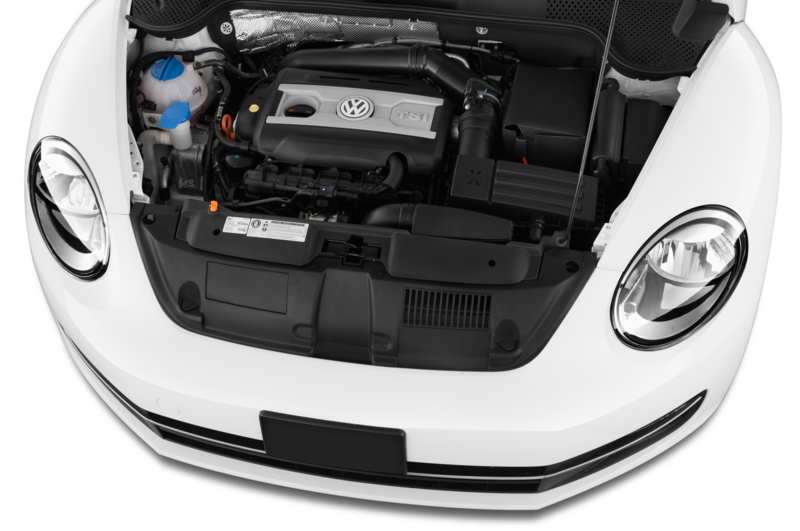 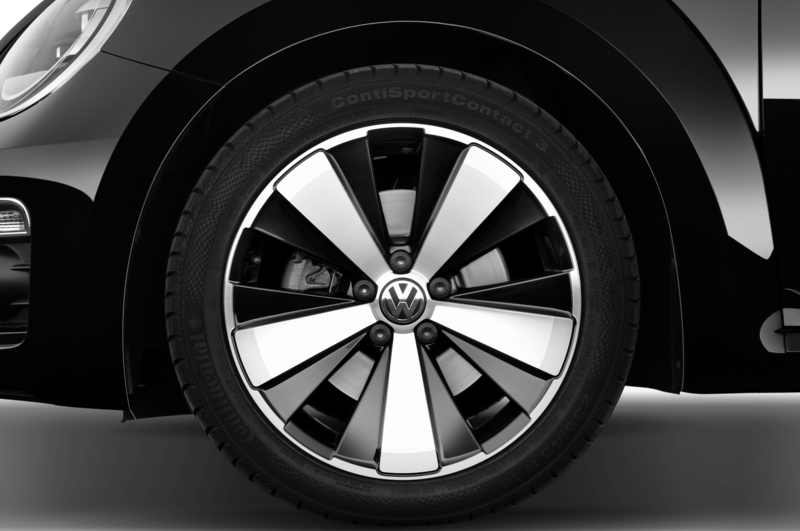 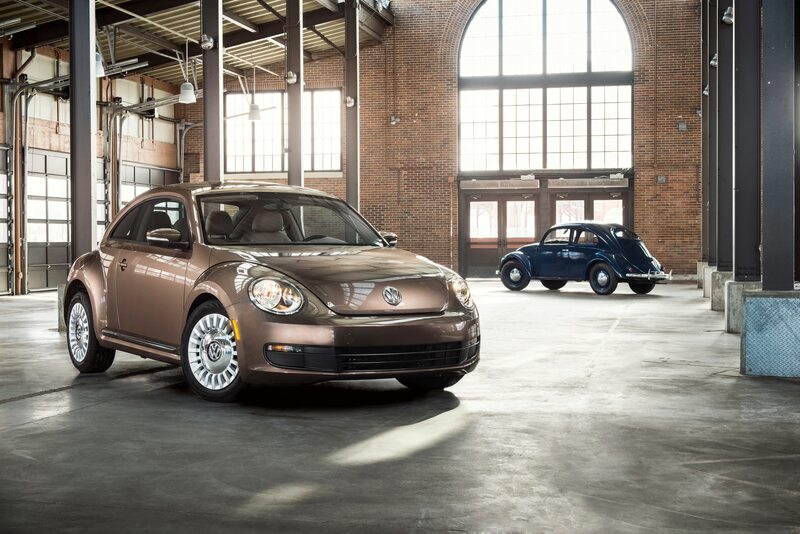 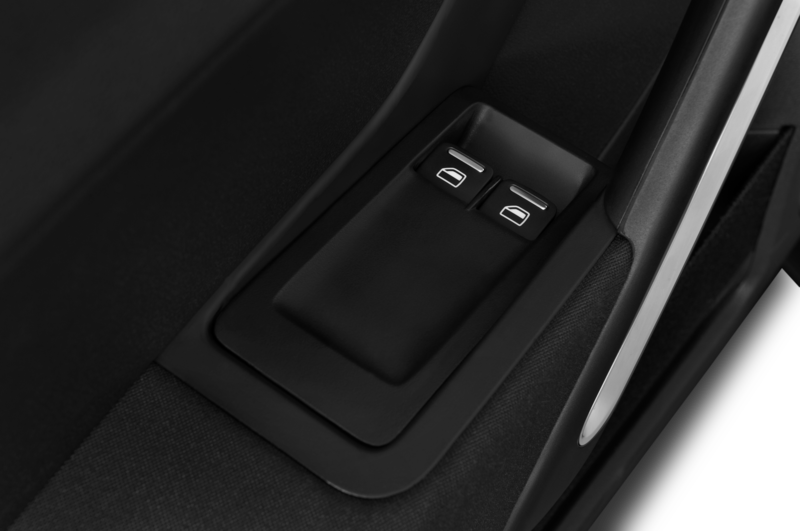 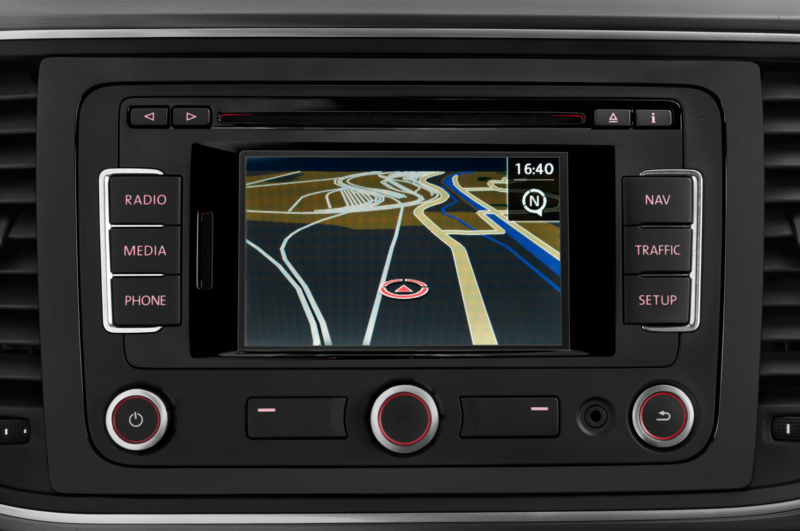 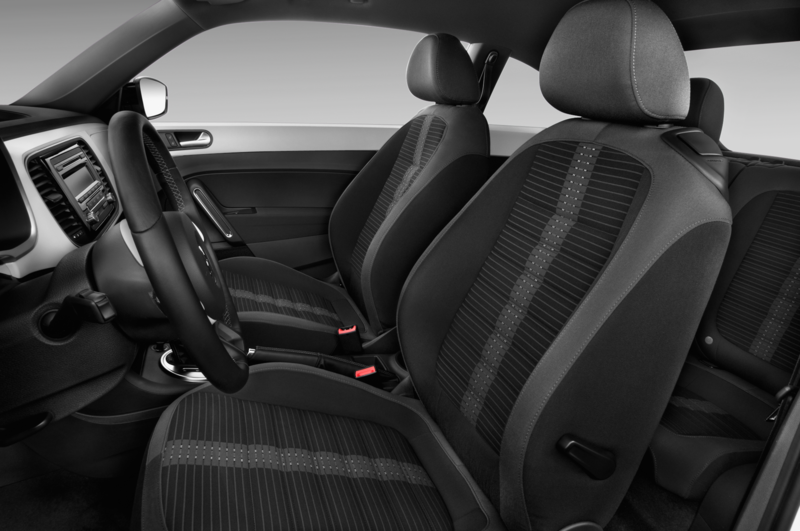 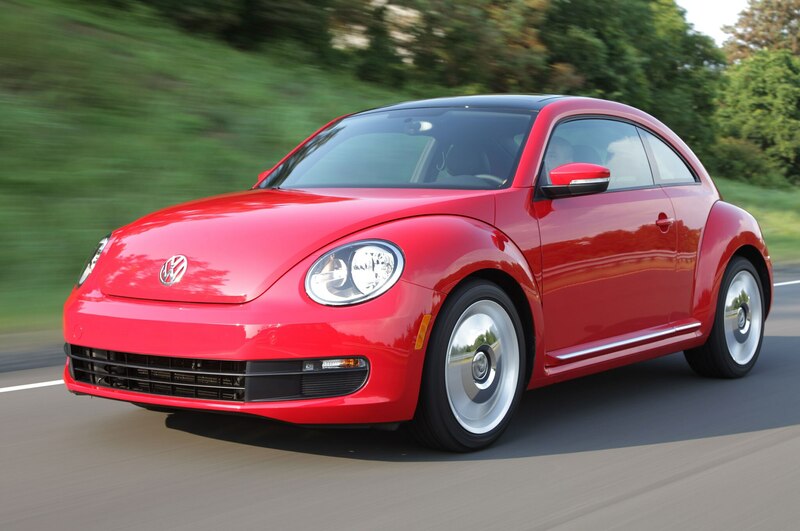 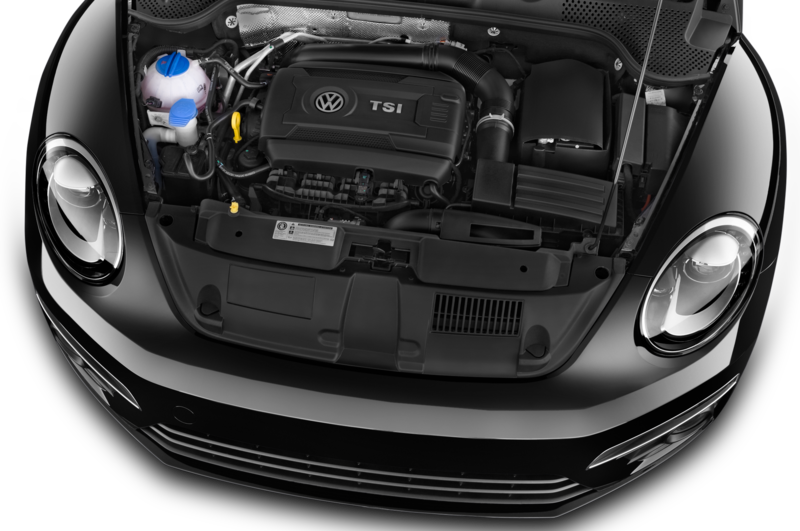 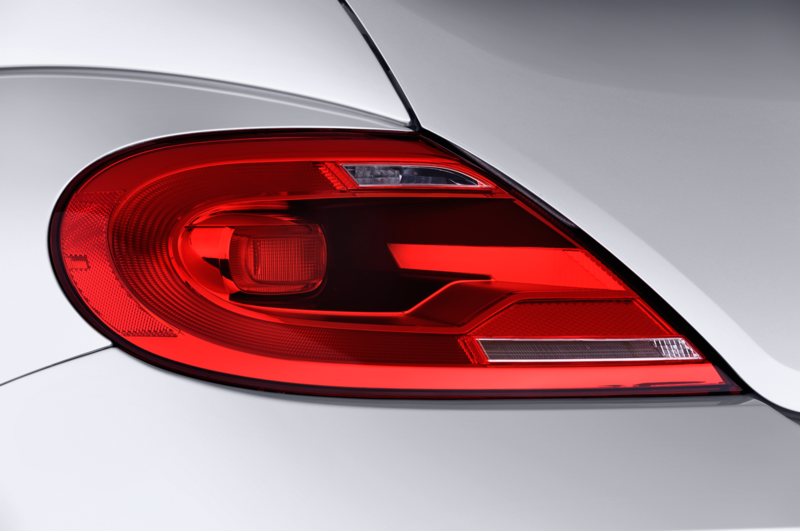 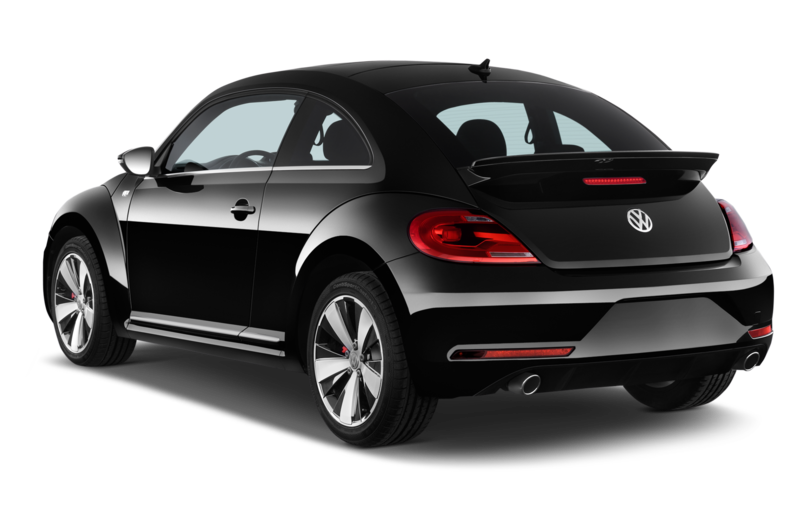 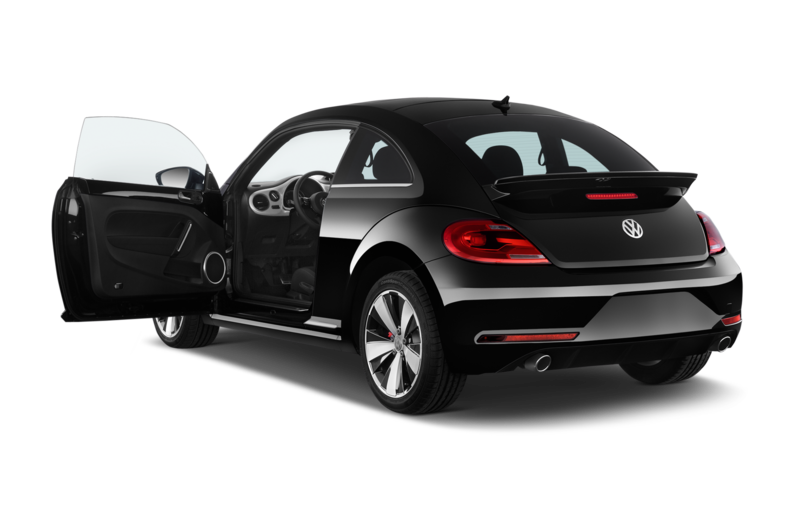 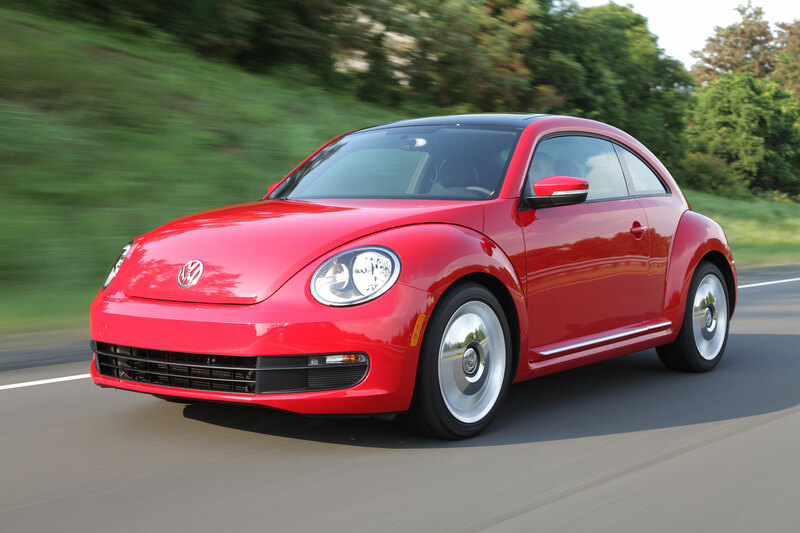 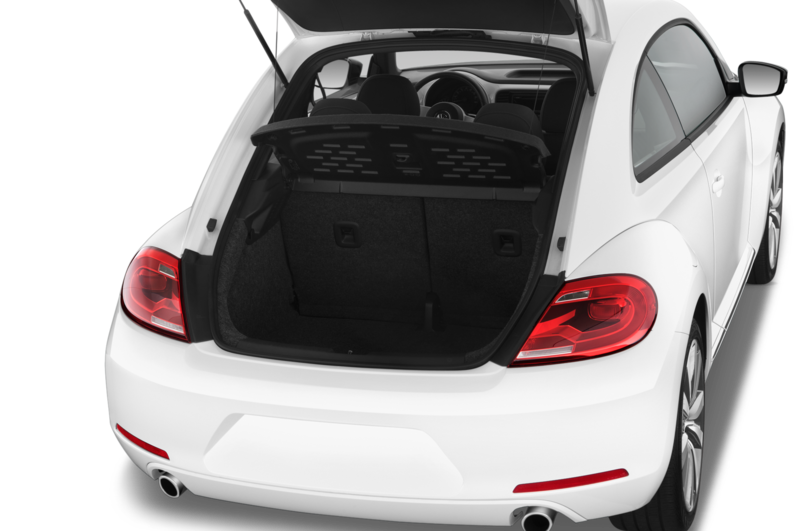 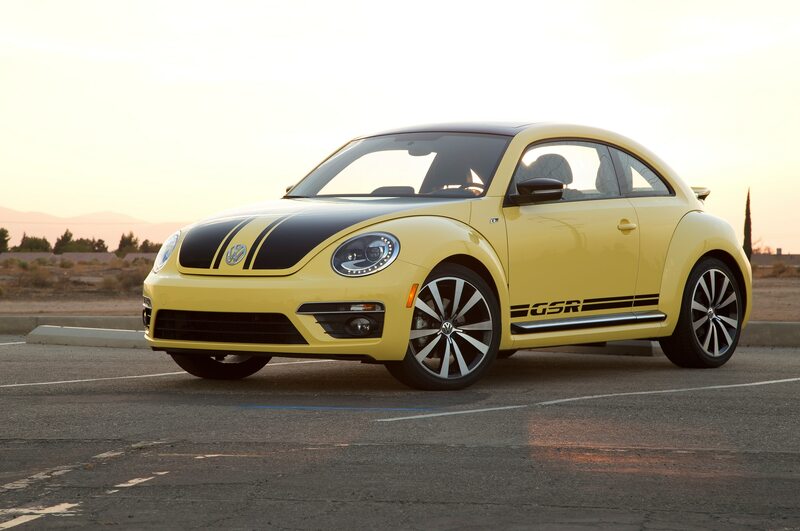 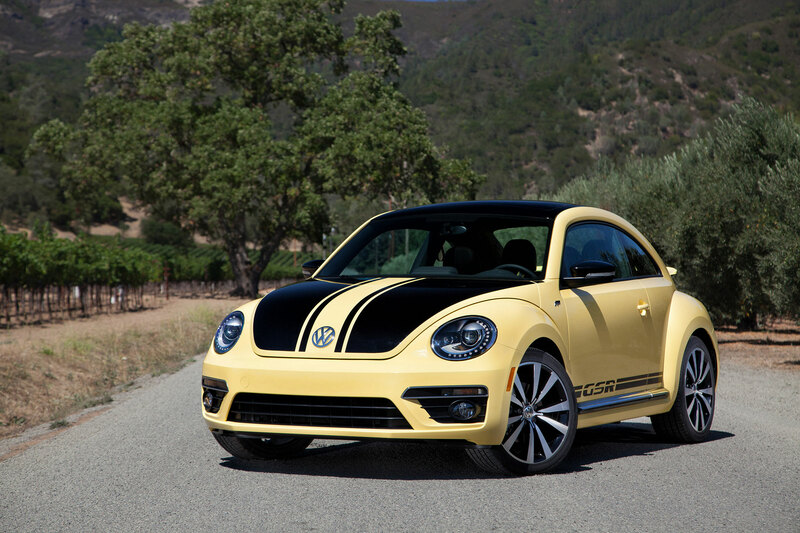 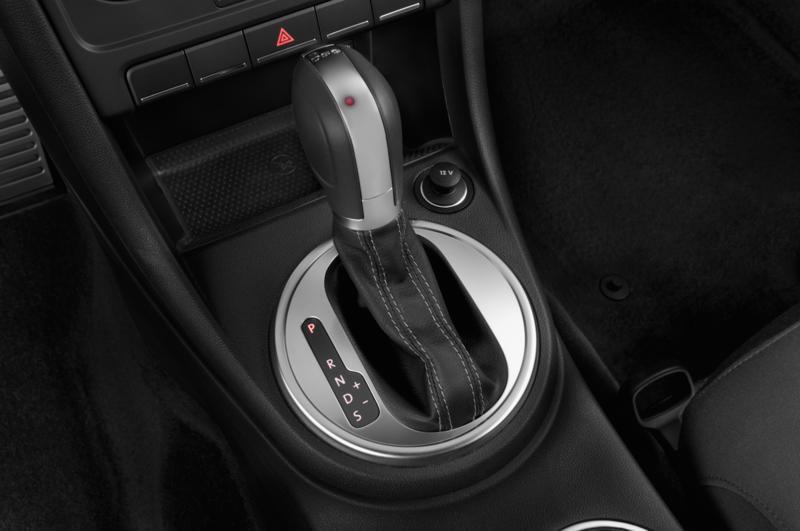 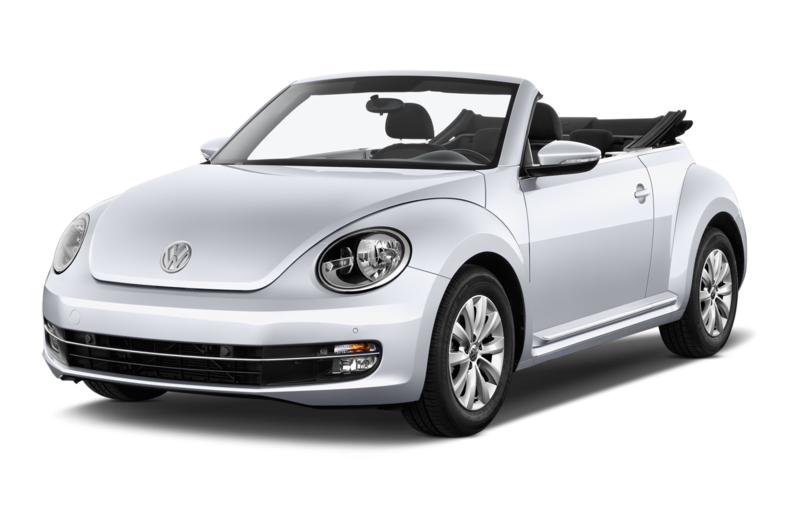 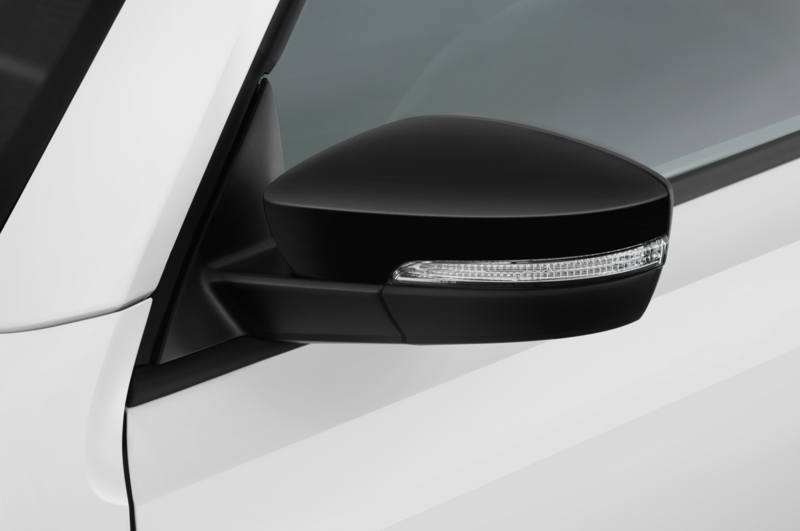 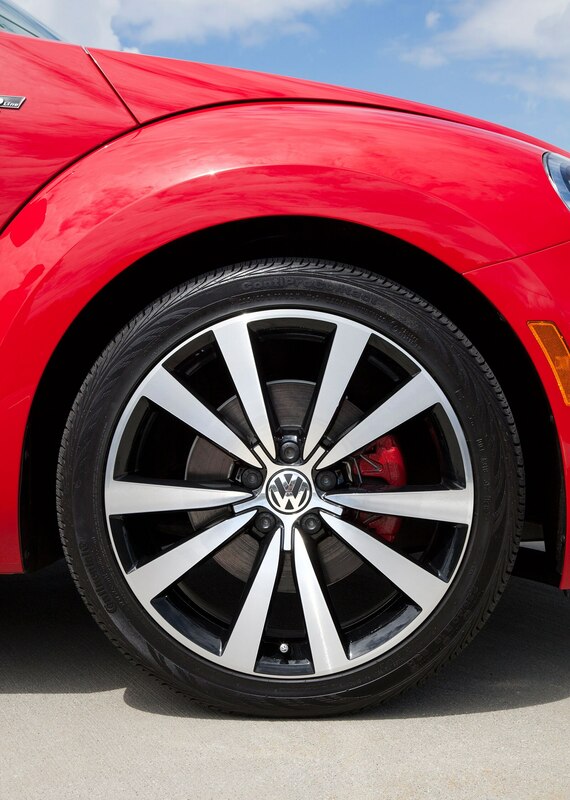 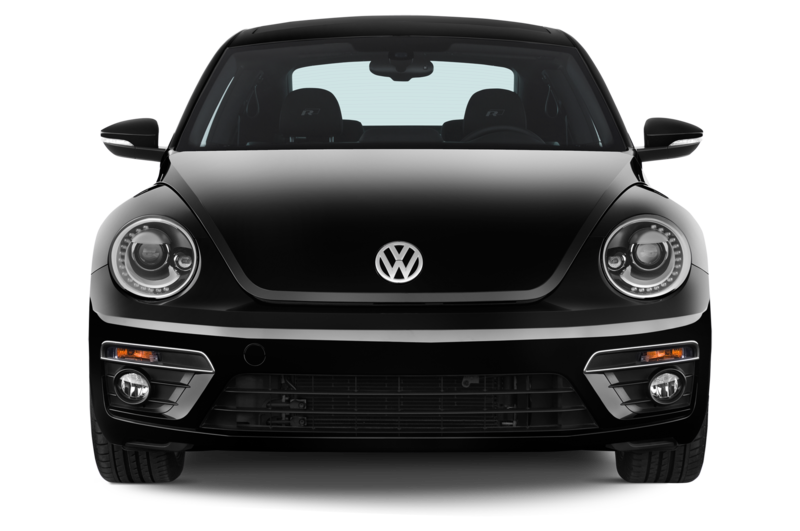 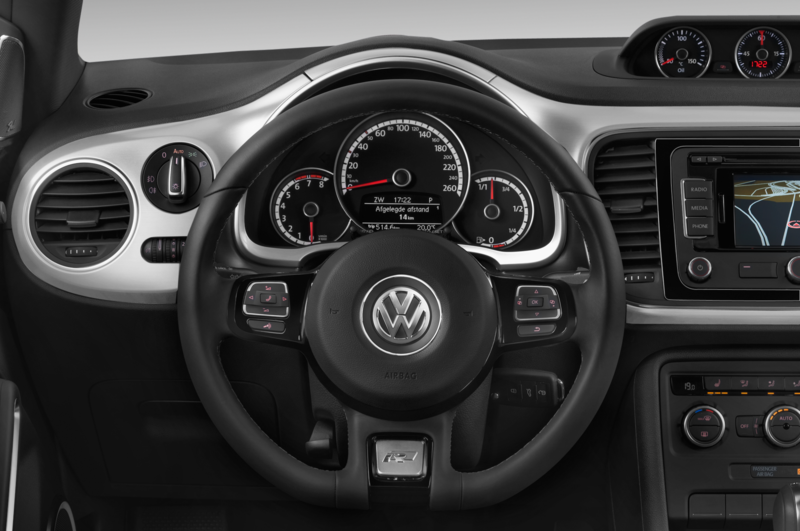 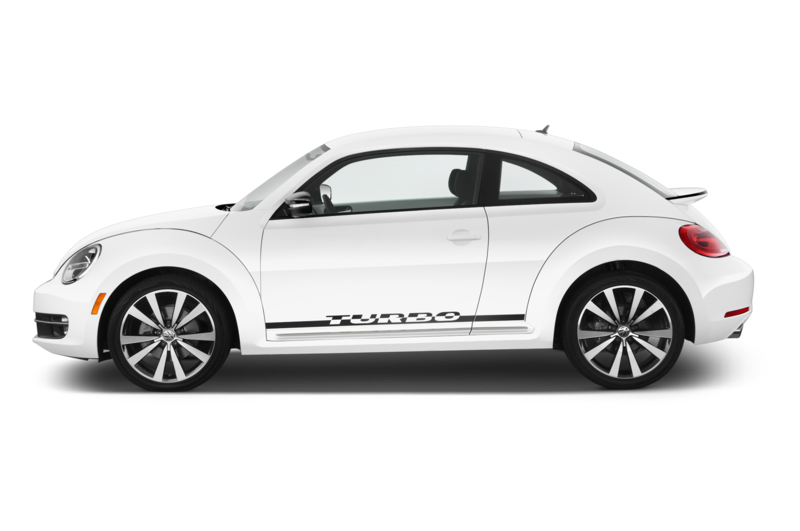 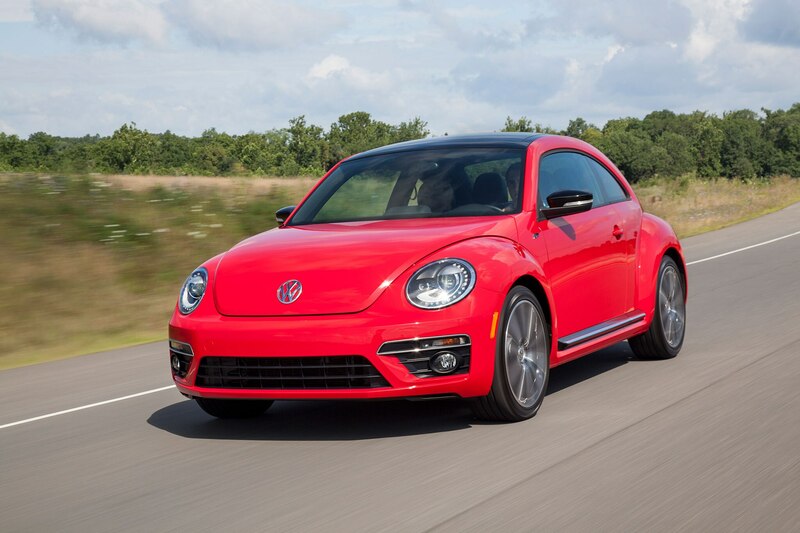 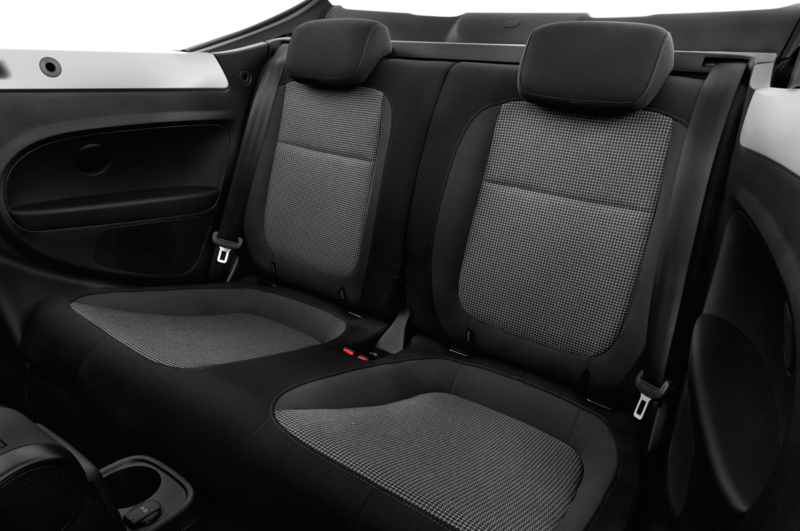 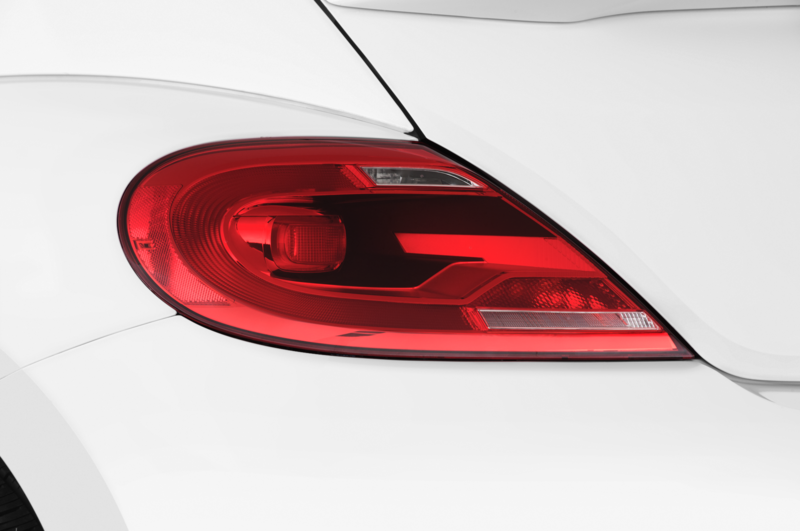 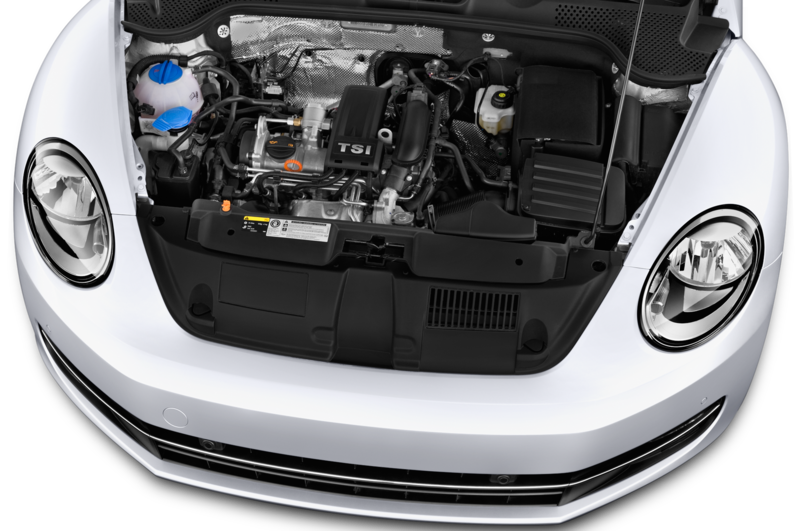 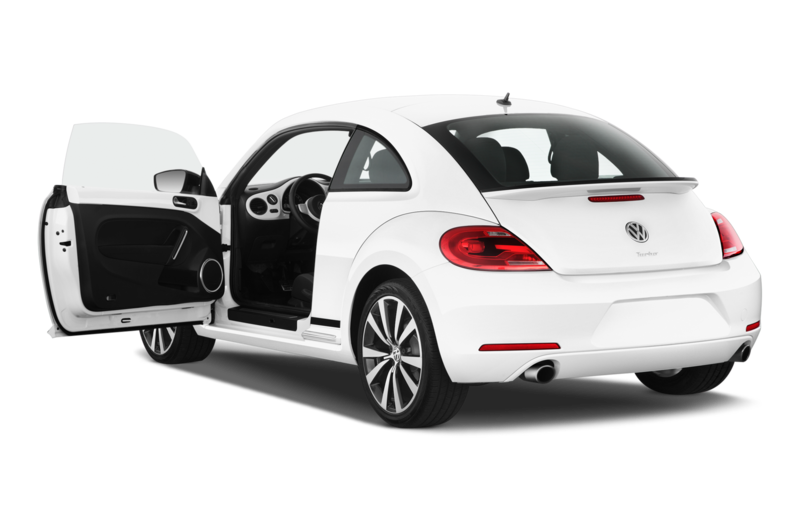 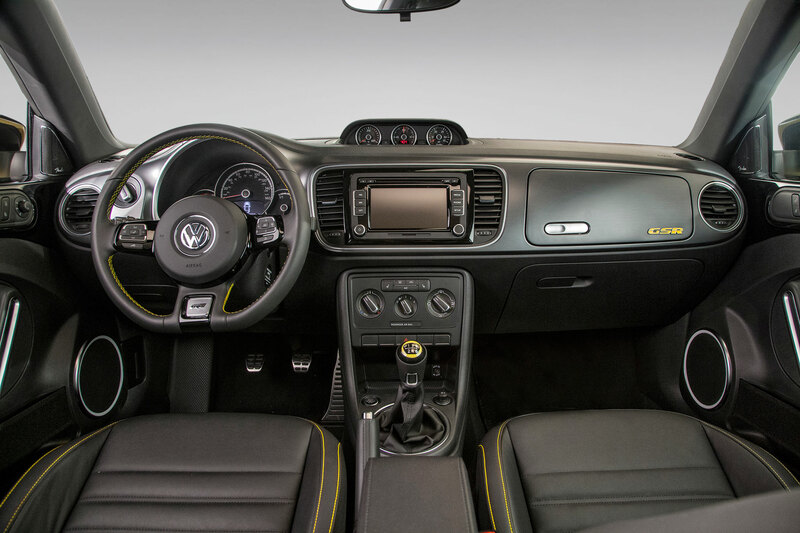 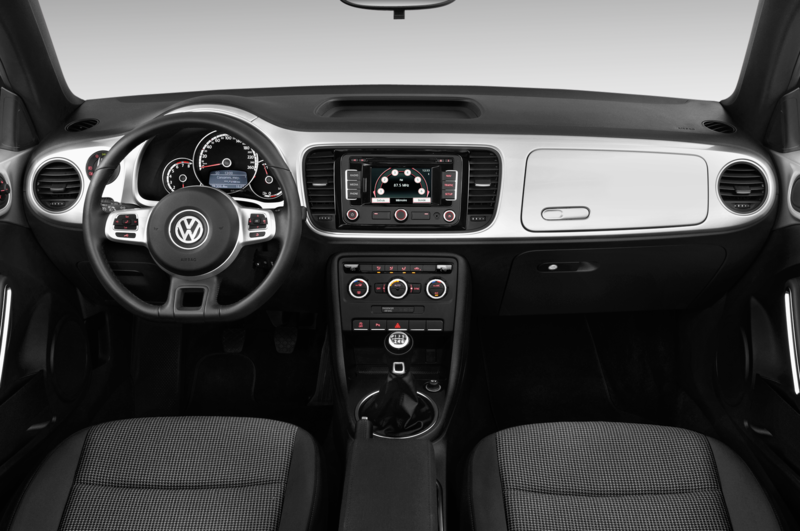 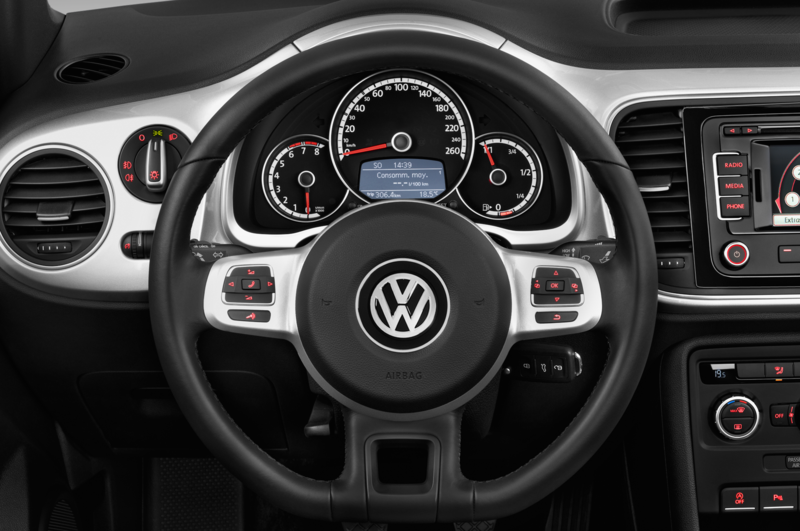 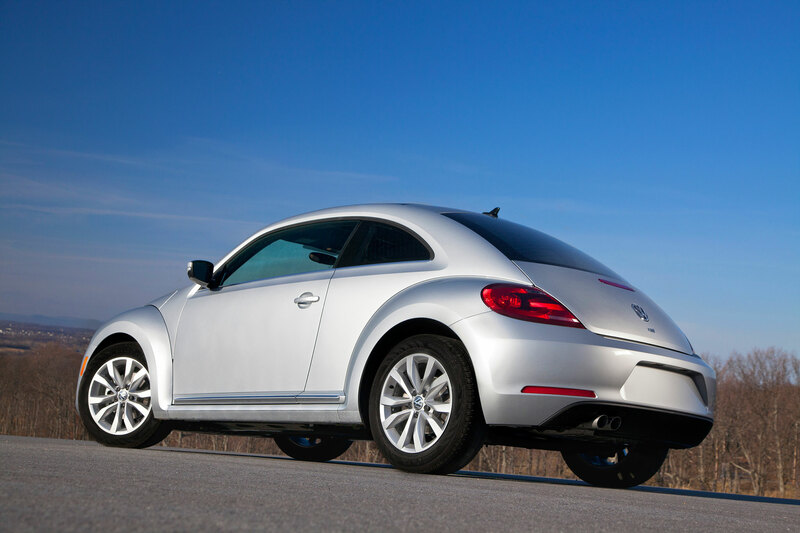 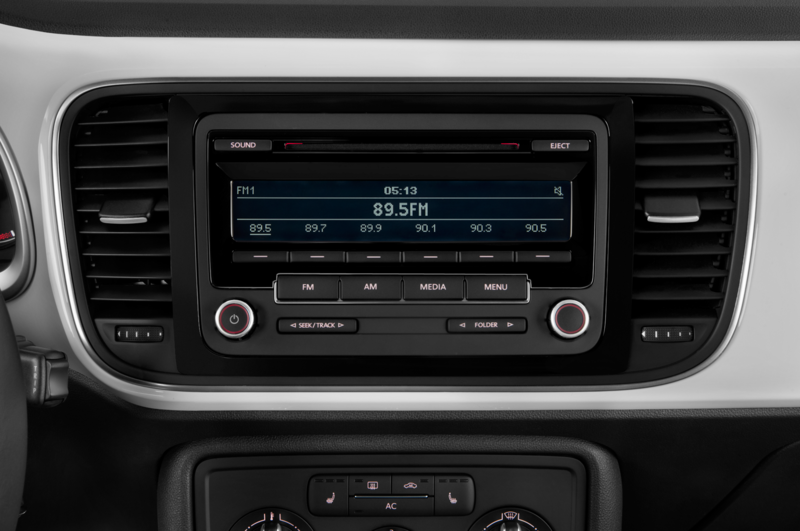 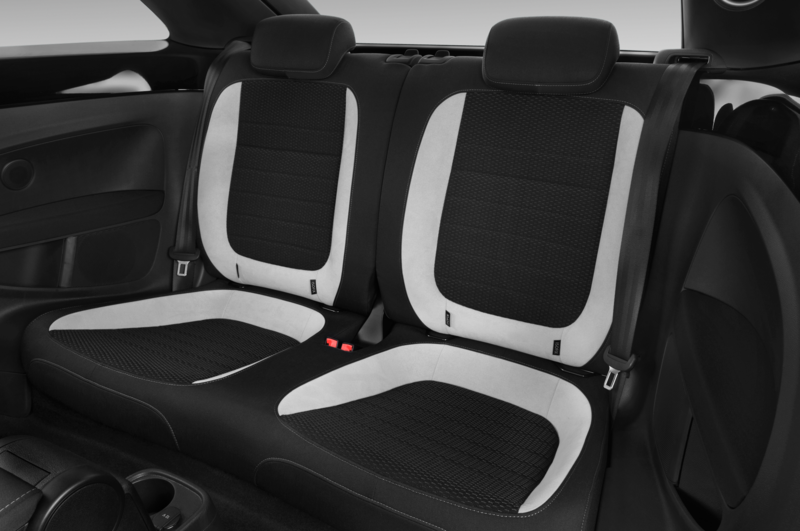 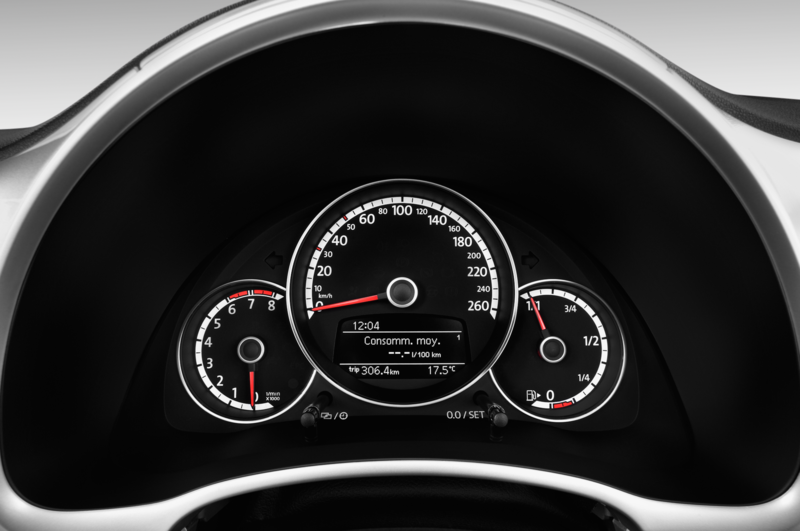 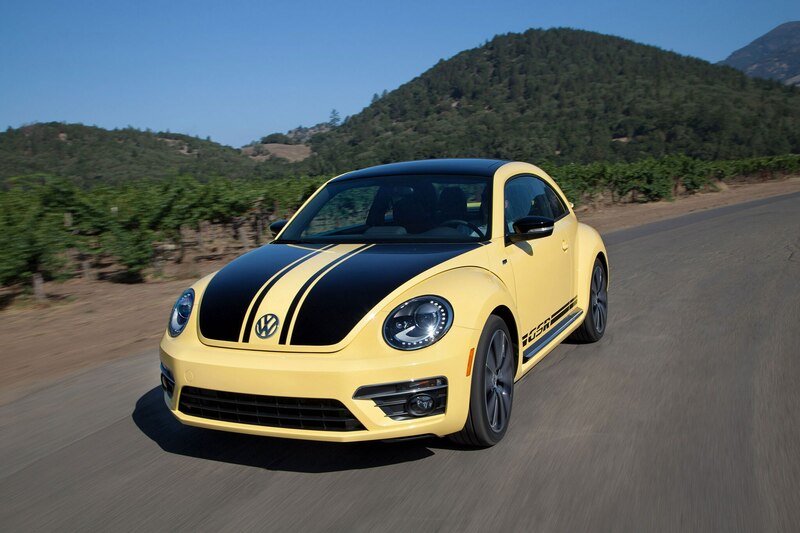 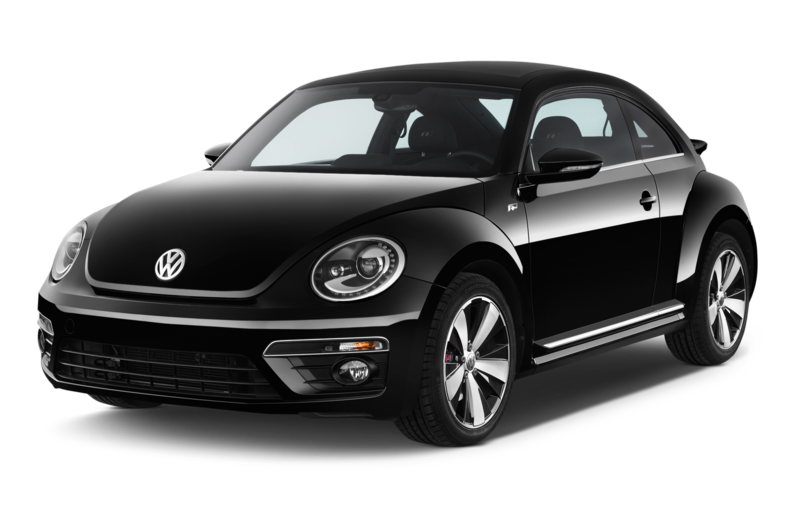 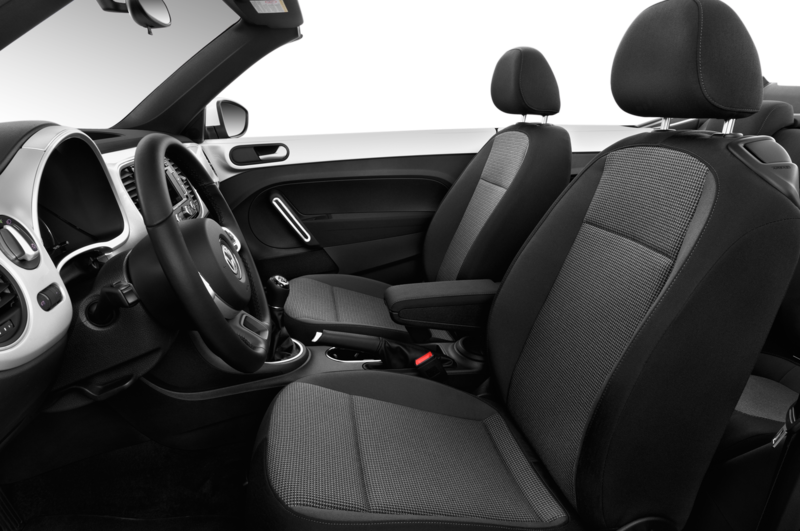 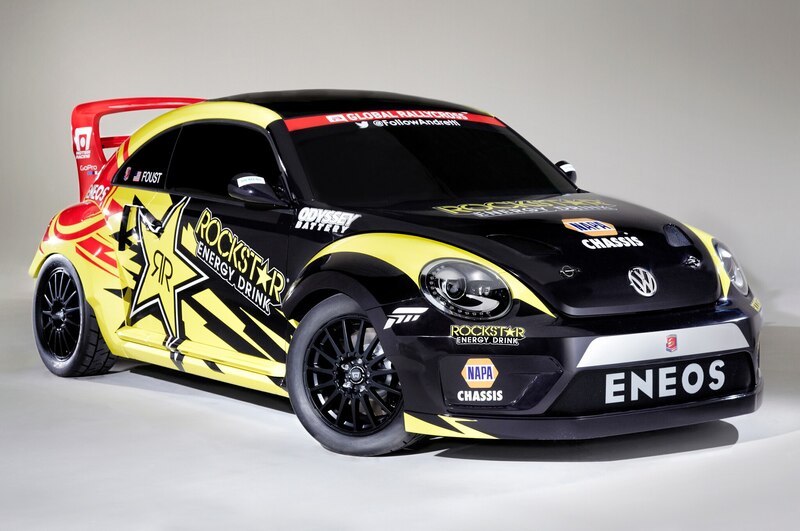 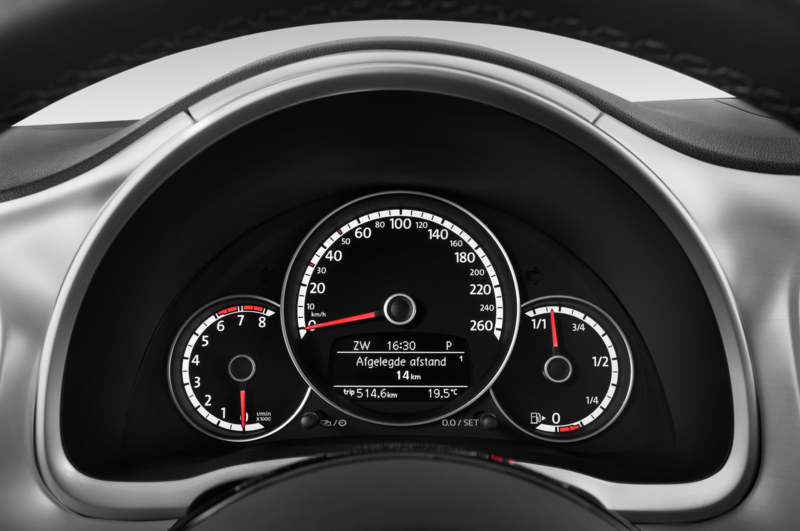 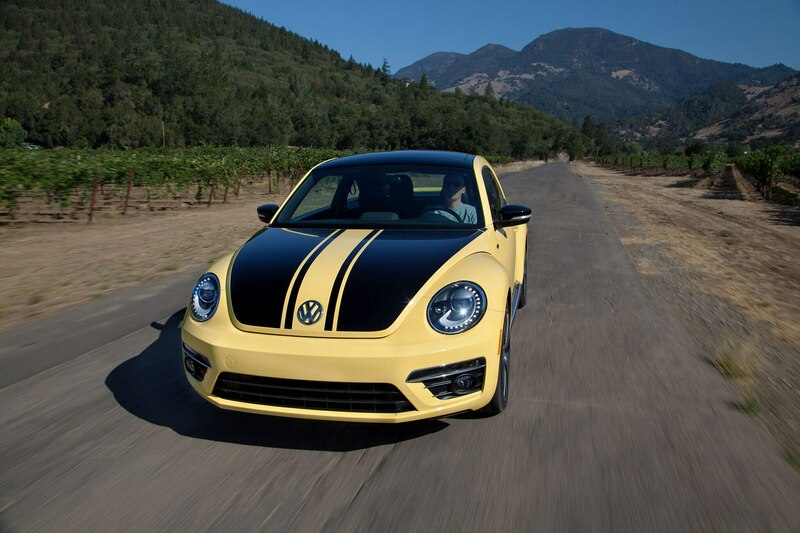 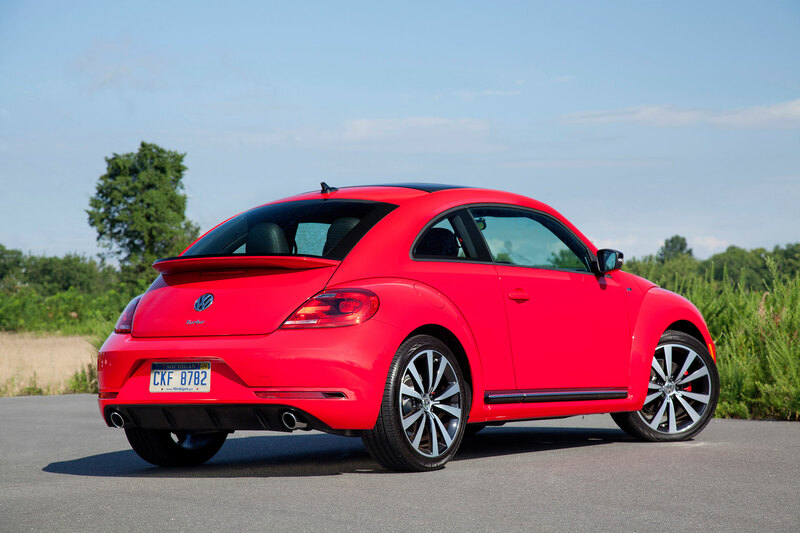 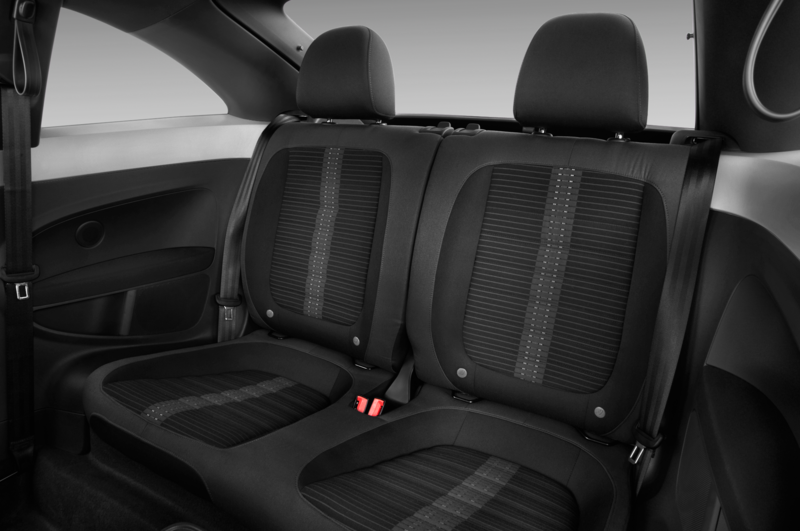 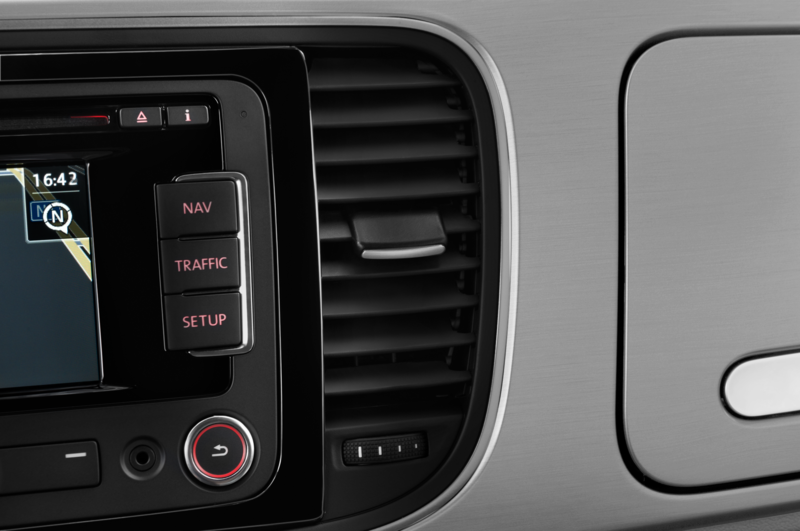 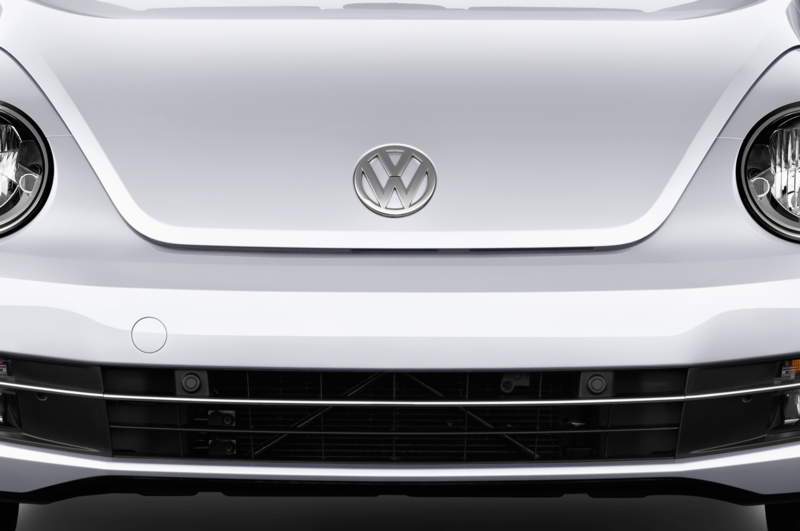 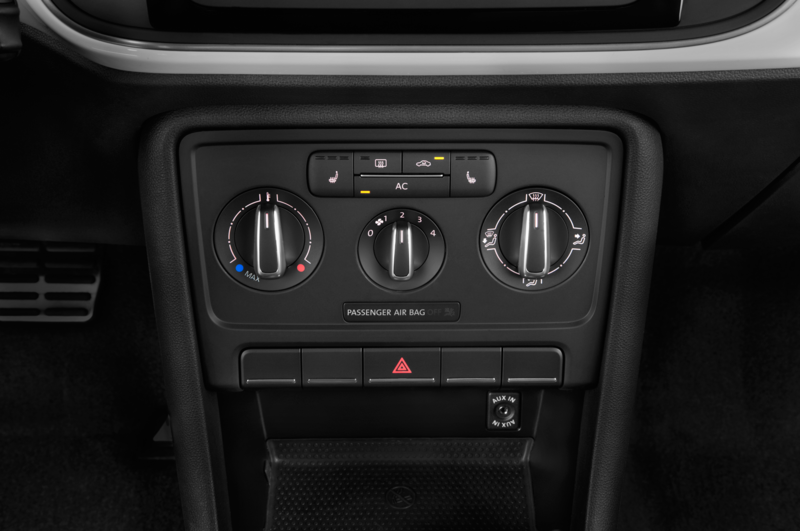 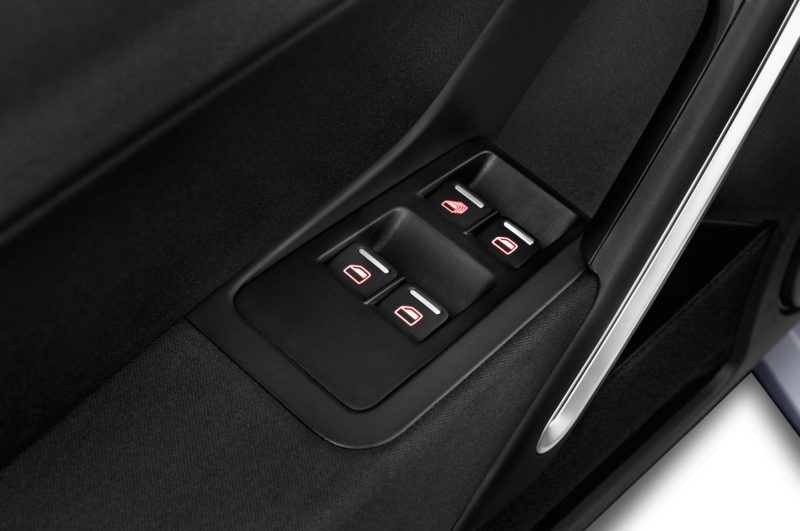 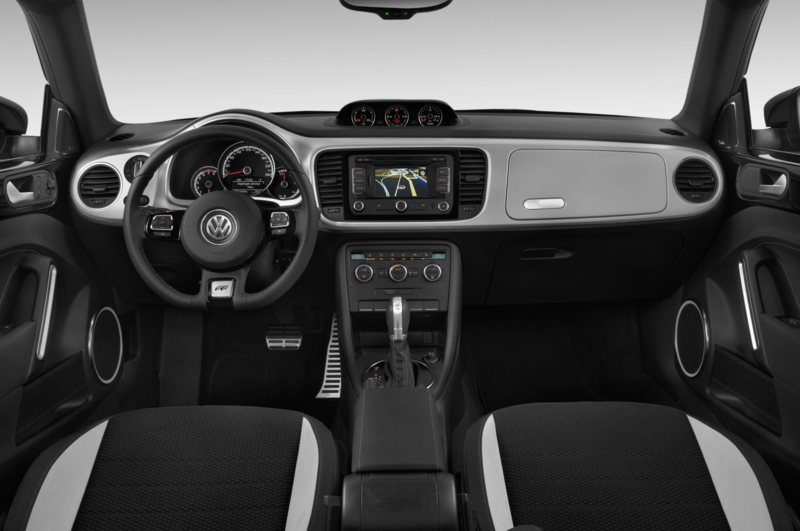 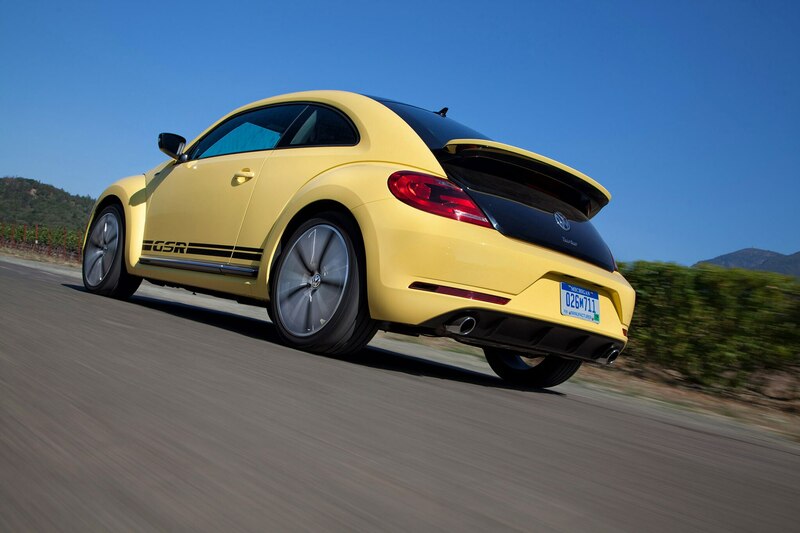 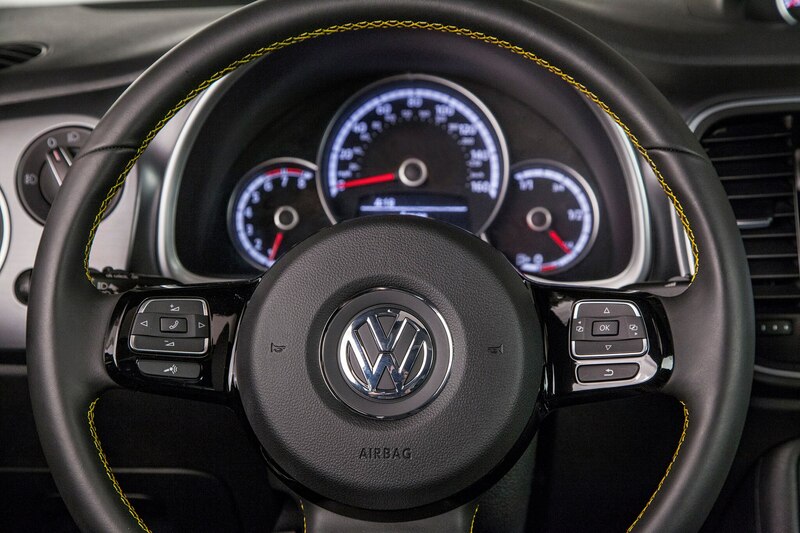 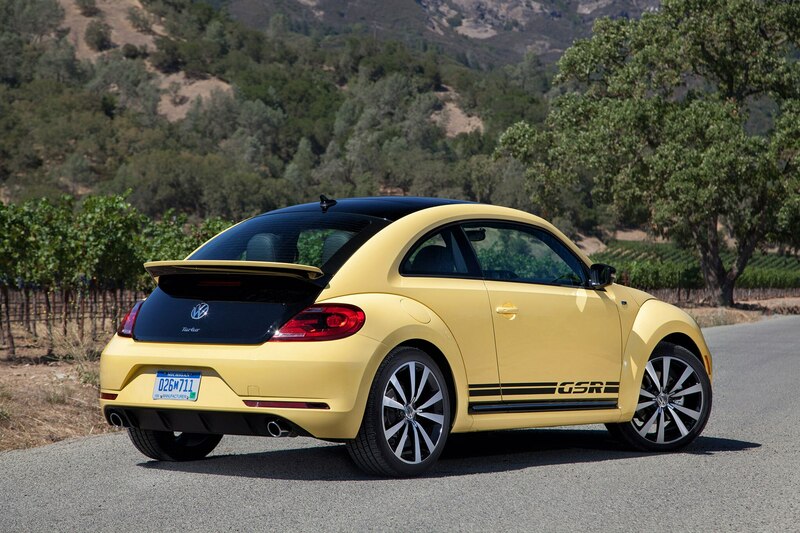 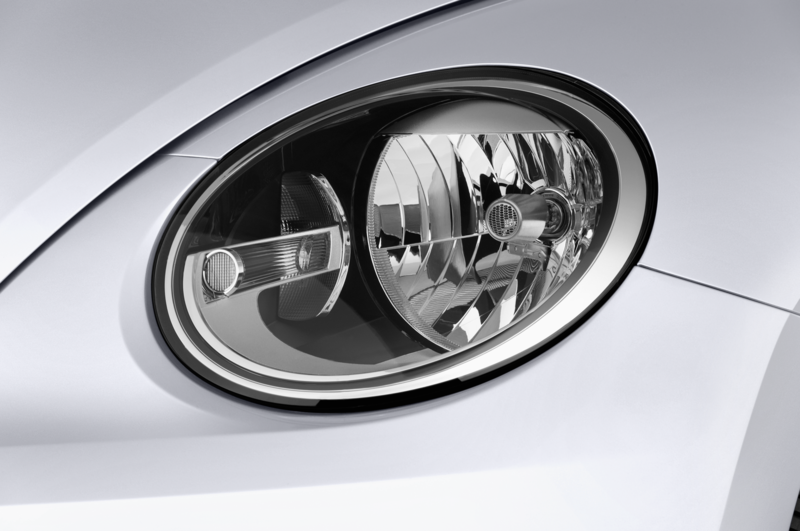 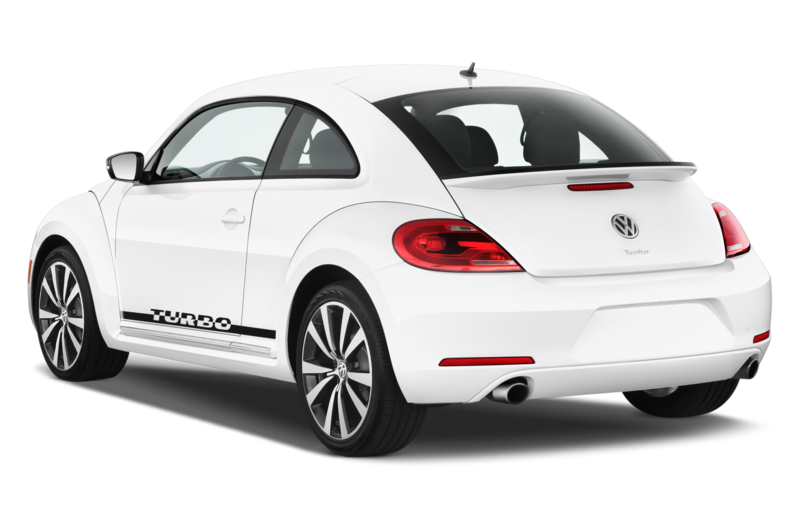 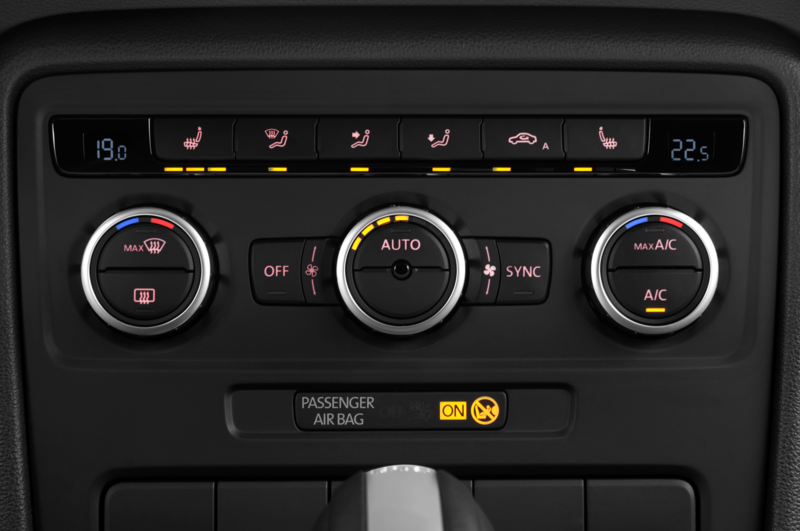 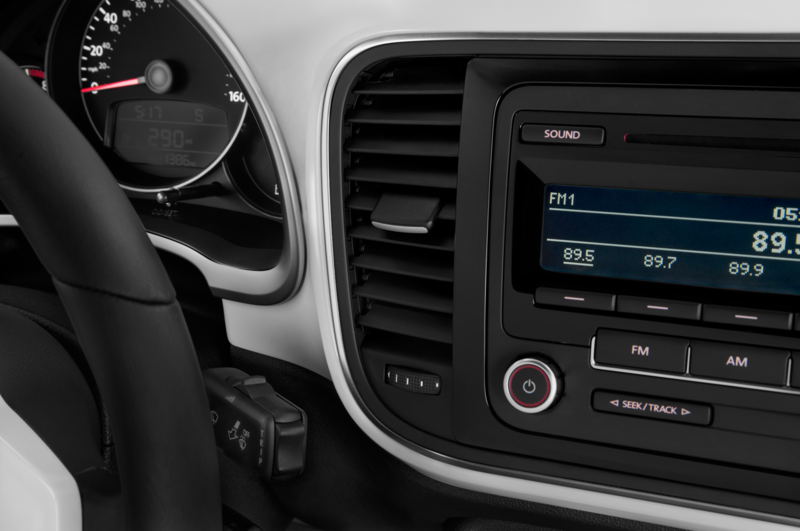 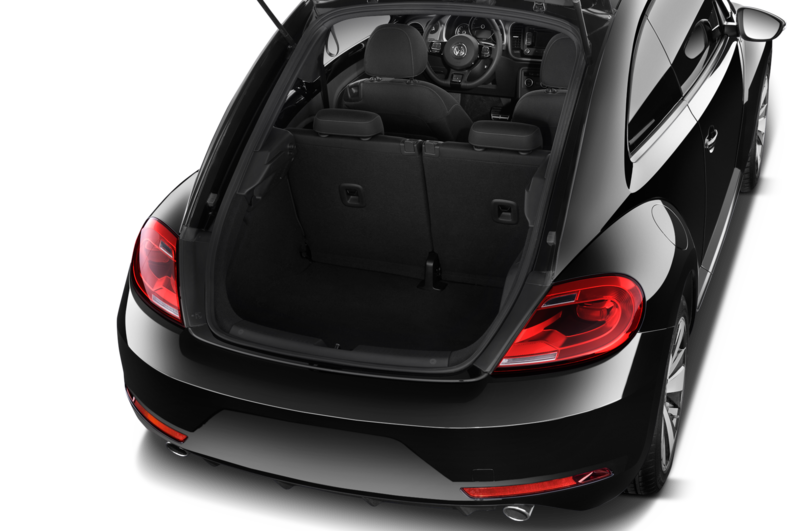 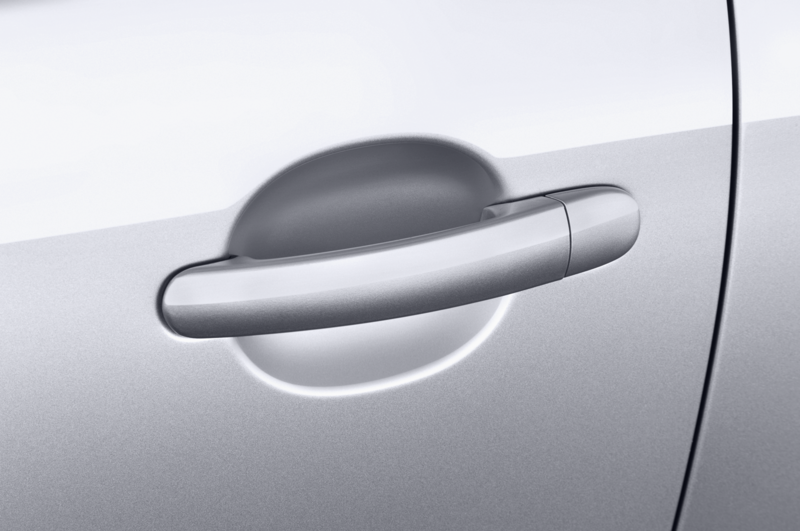 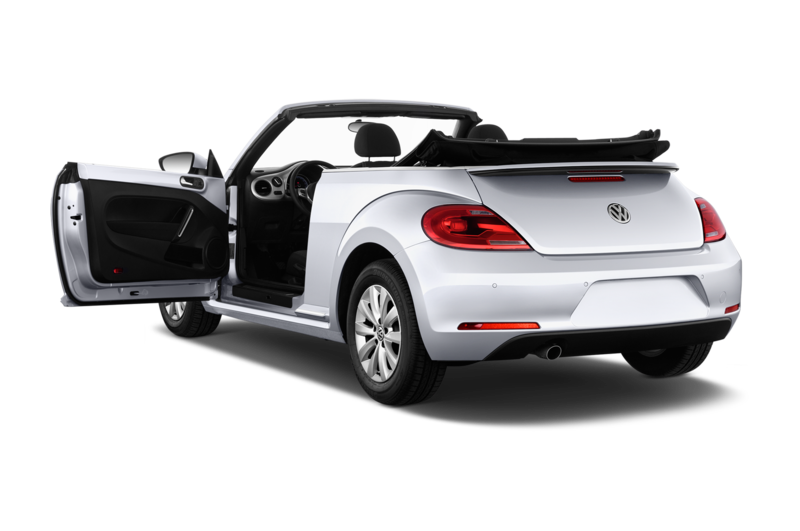 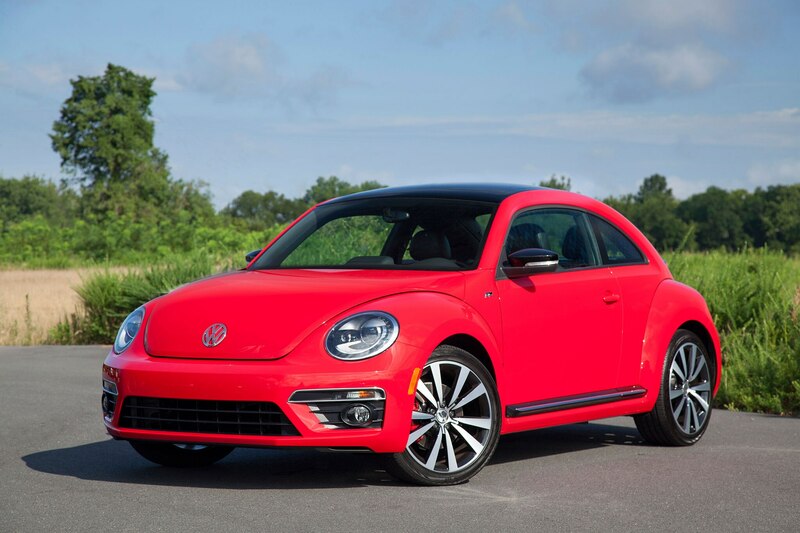 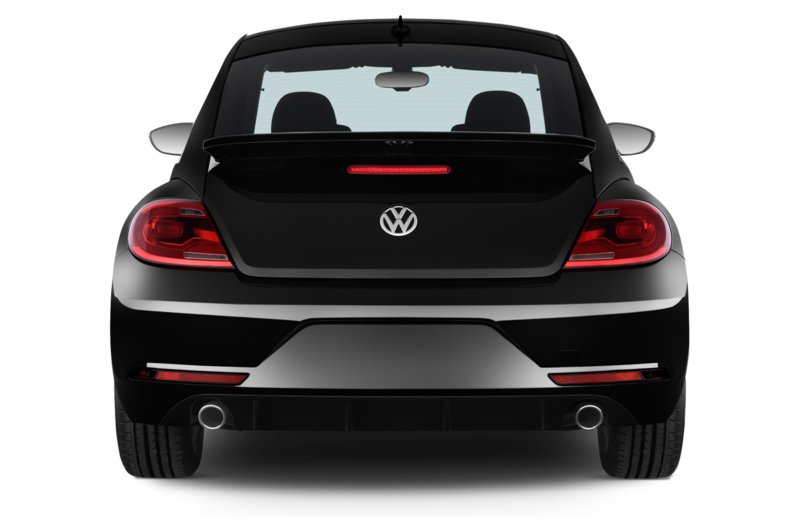 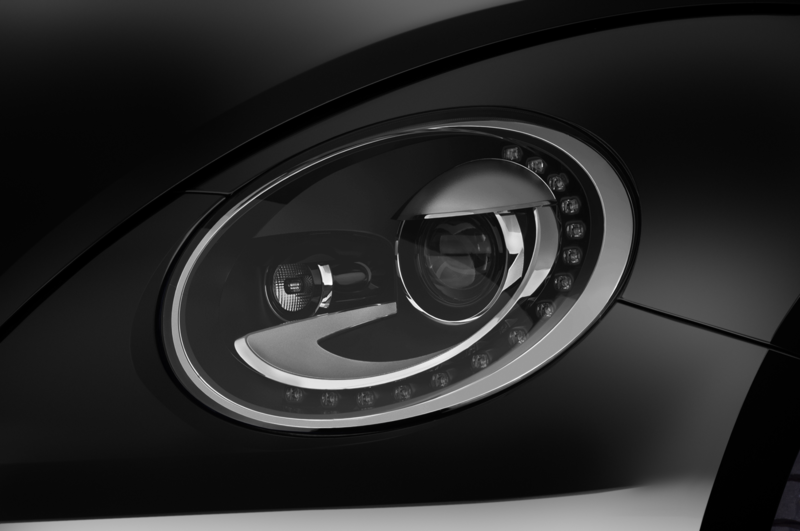 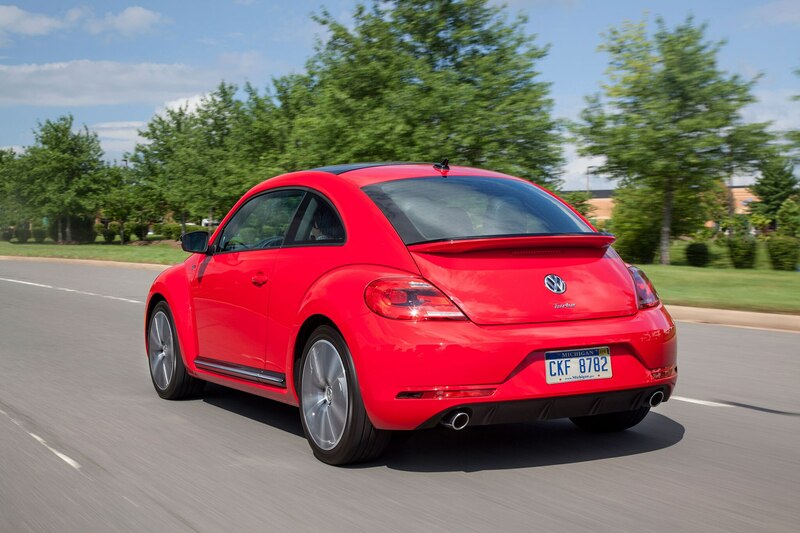 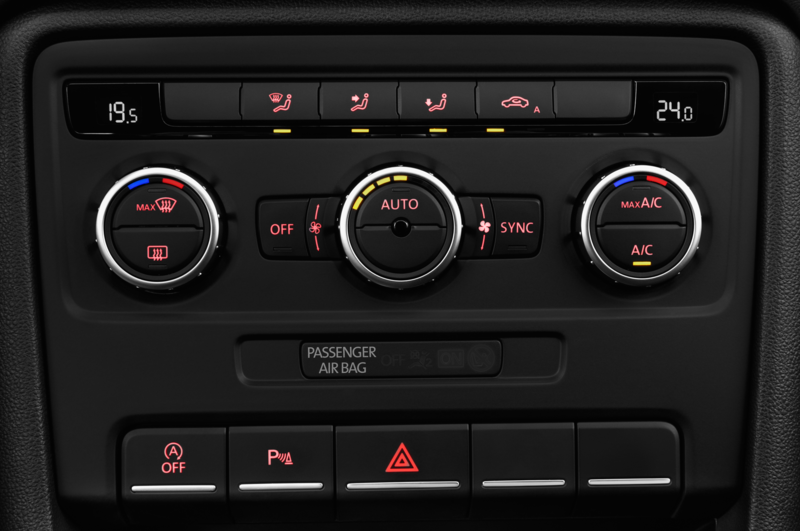 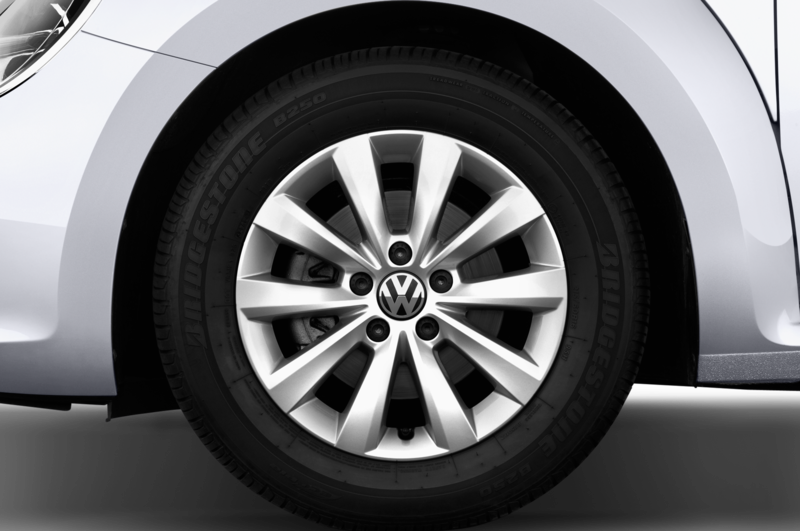 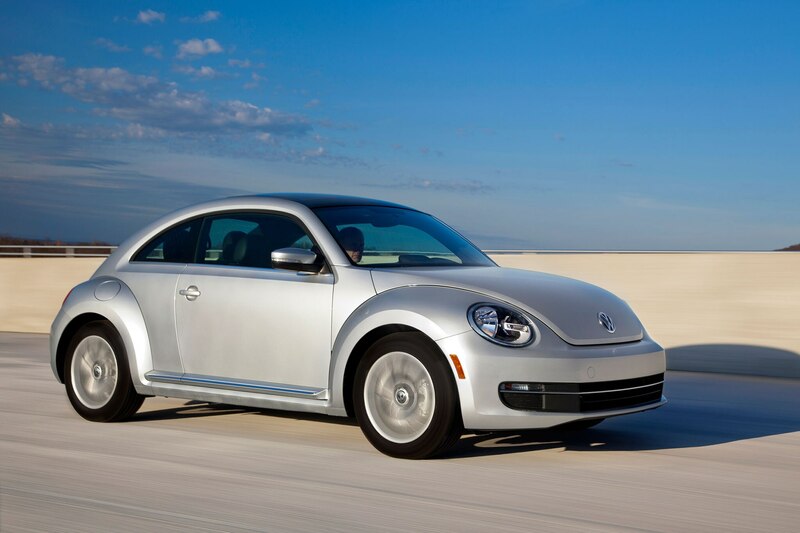 Redesigned for 2012, the current Volkswagen Beetle is slightly more athletic and mature looking. 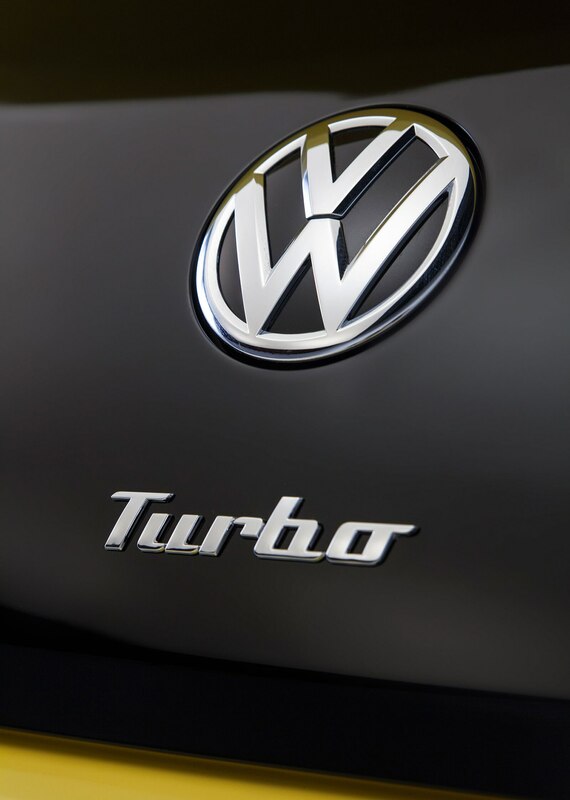 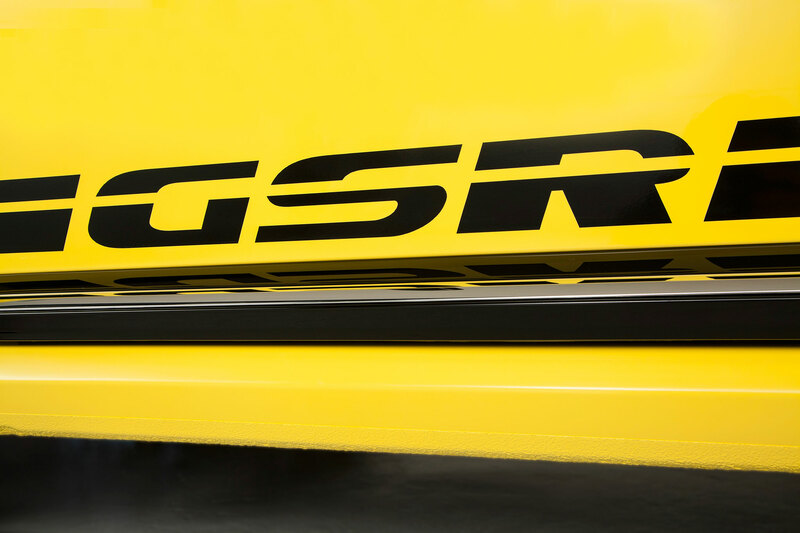 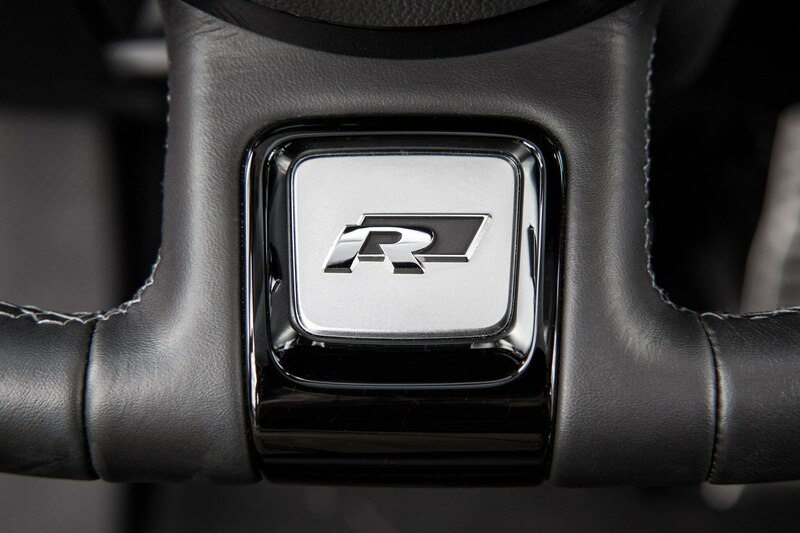 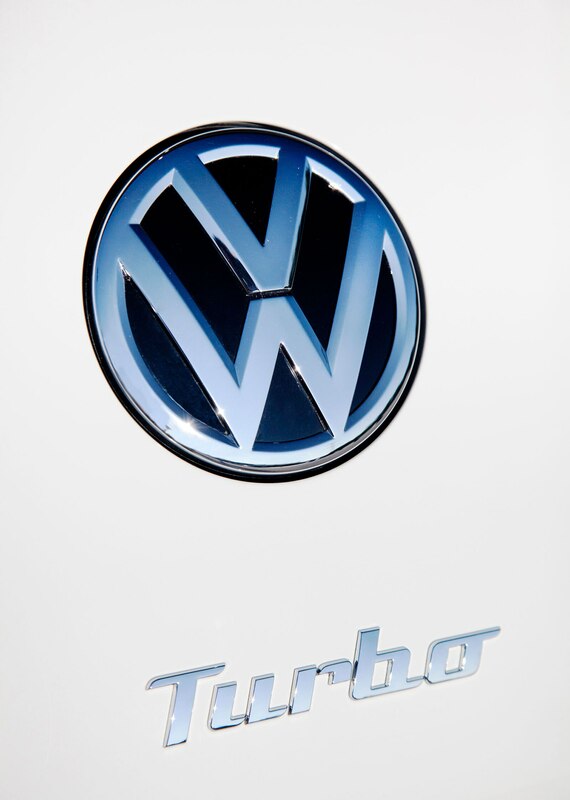 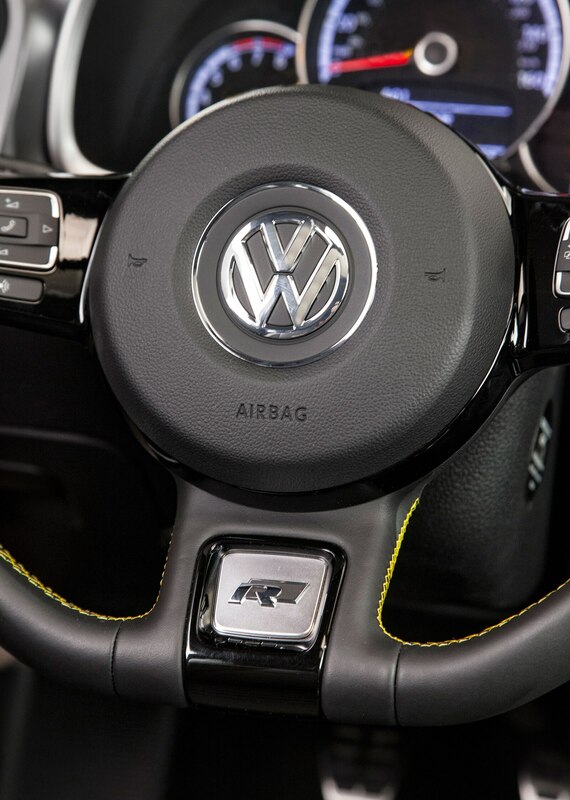 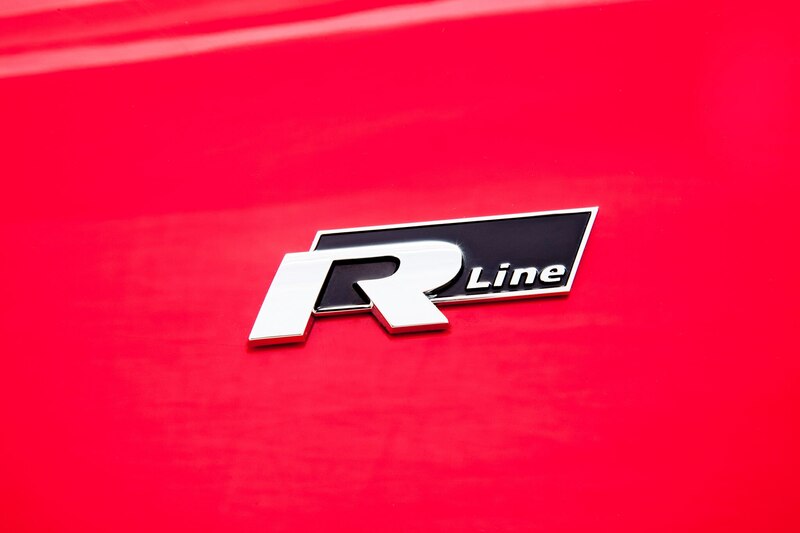 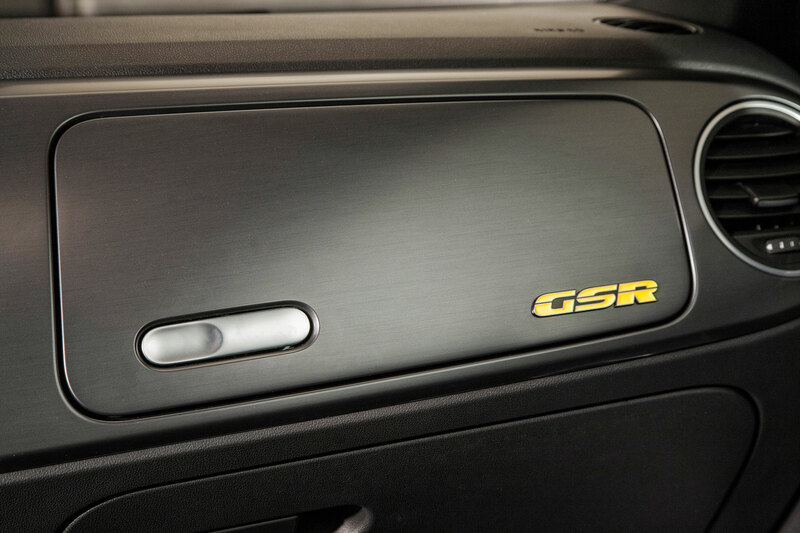 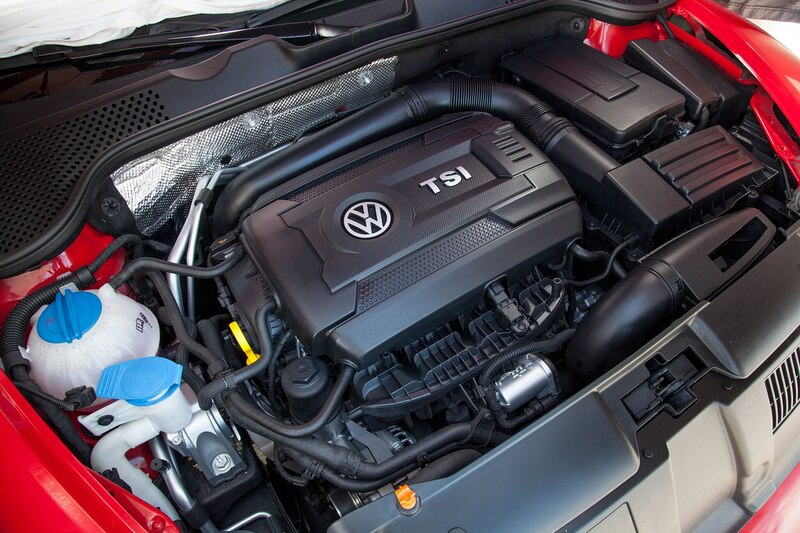 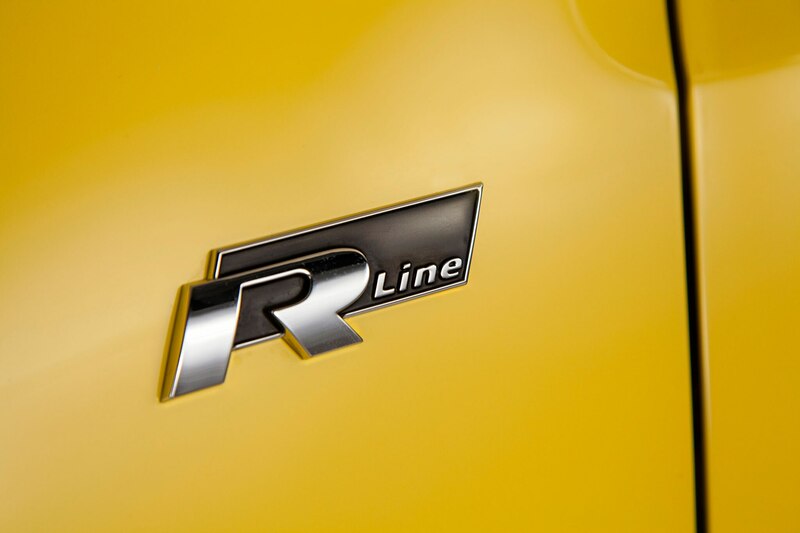 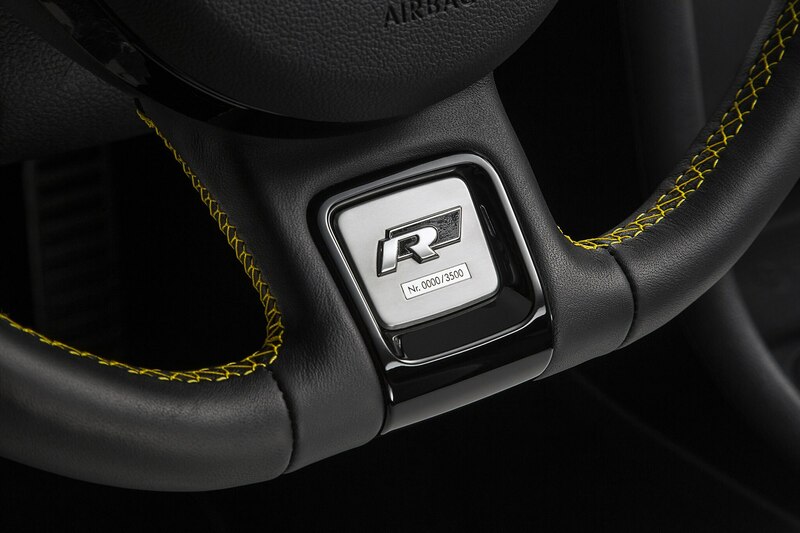 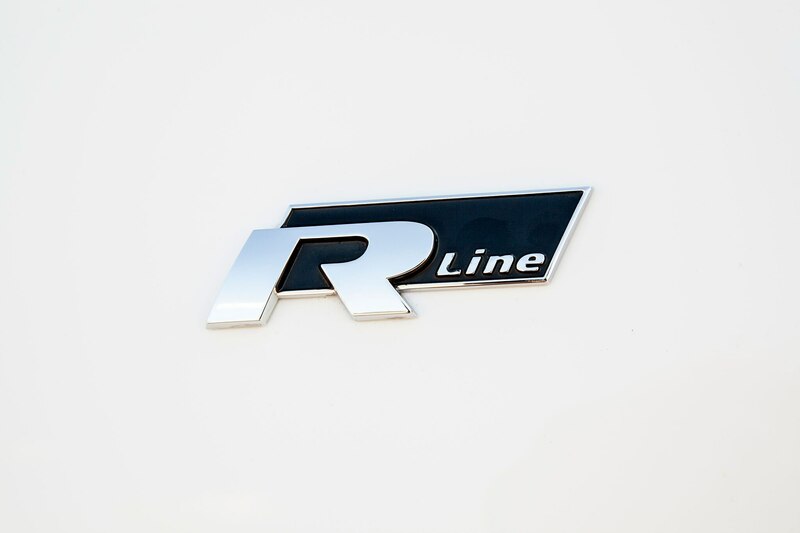 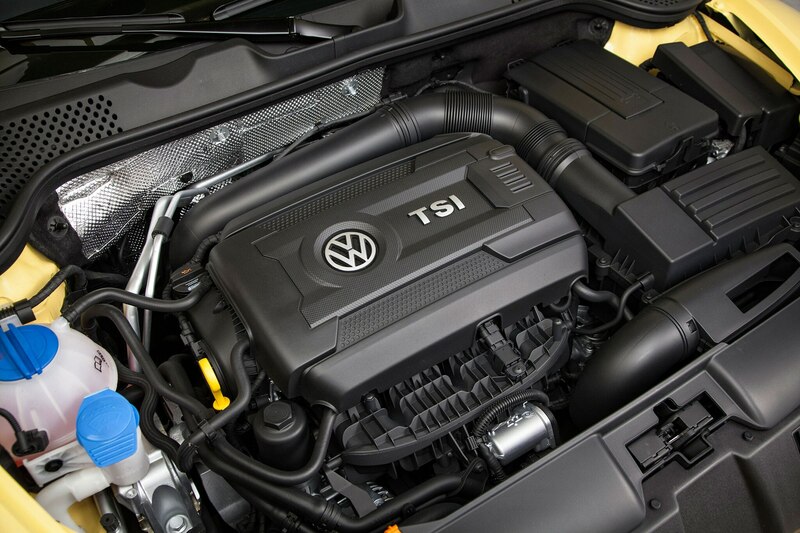 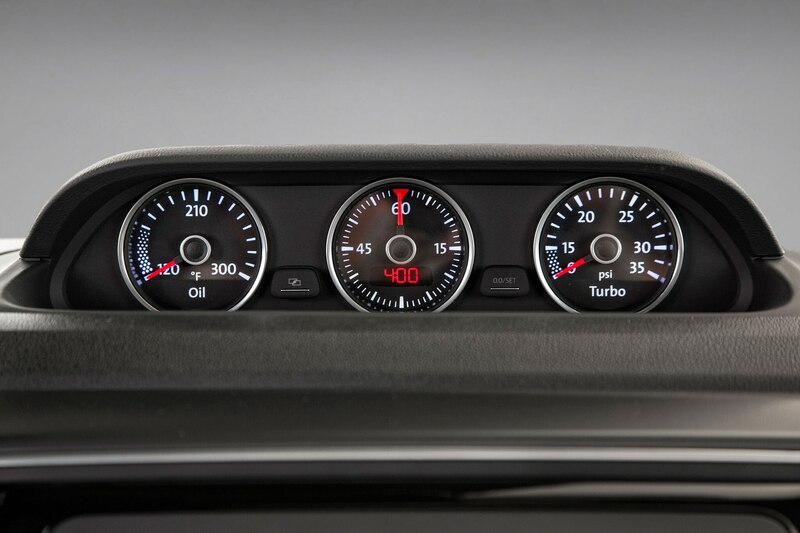 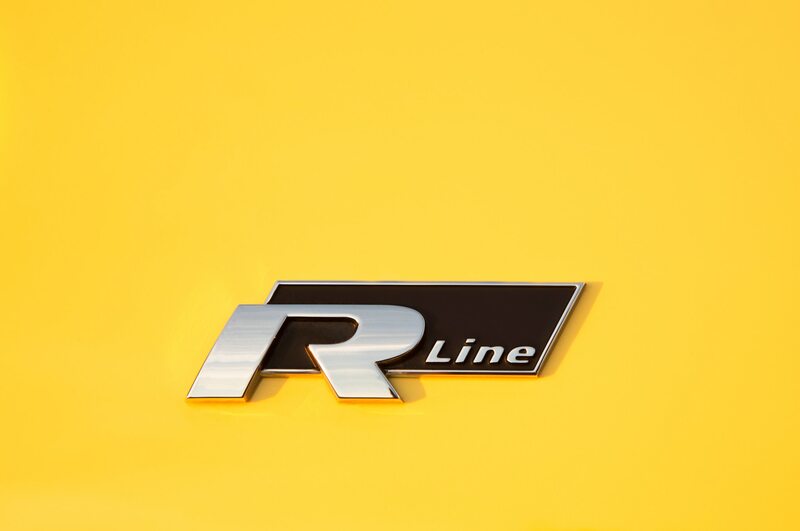 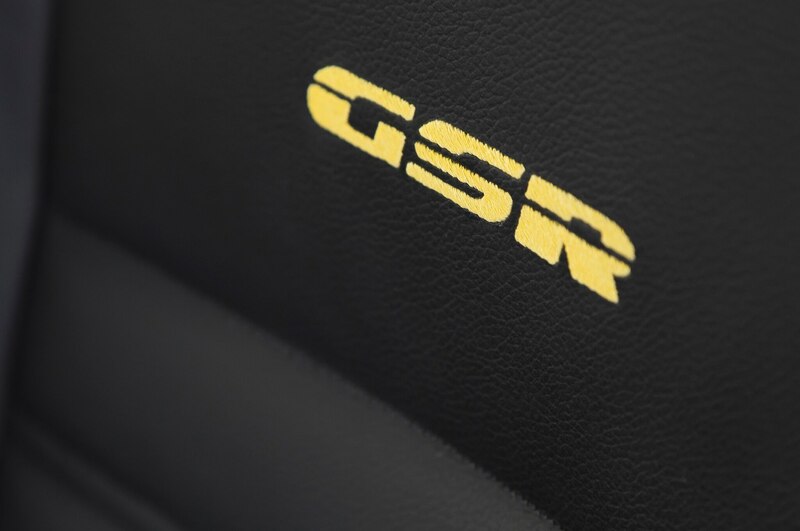 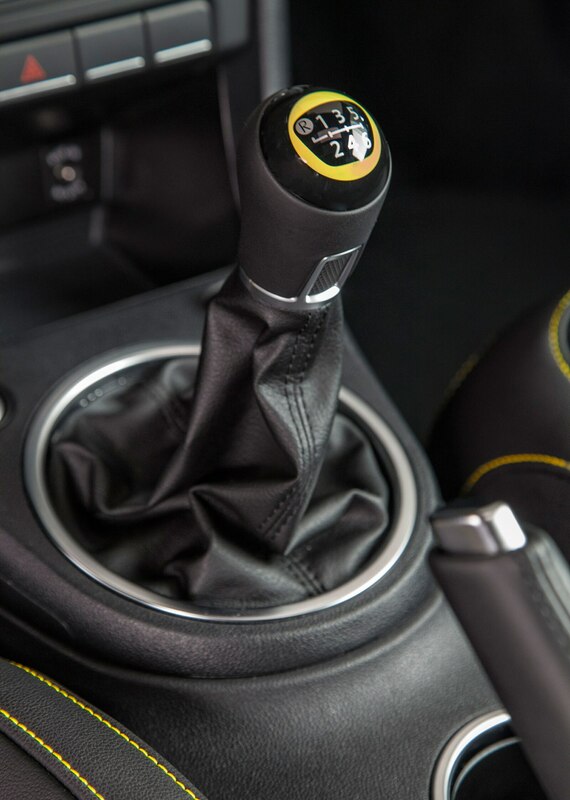 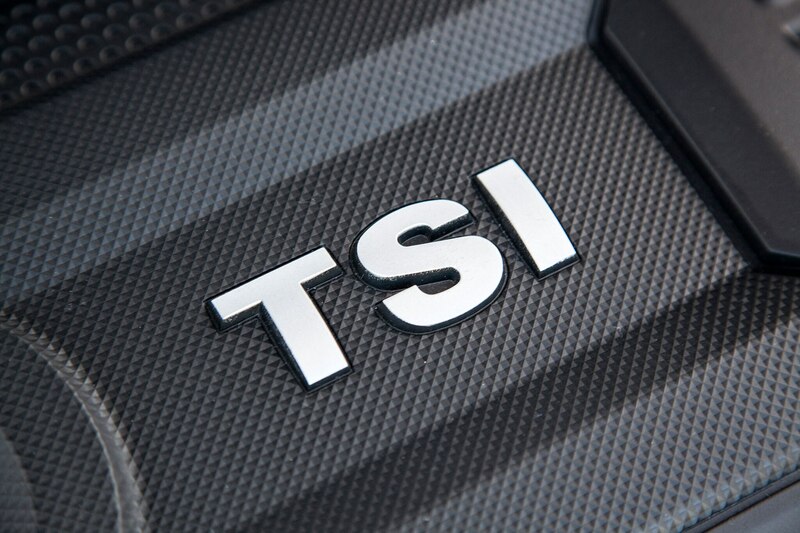 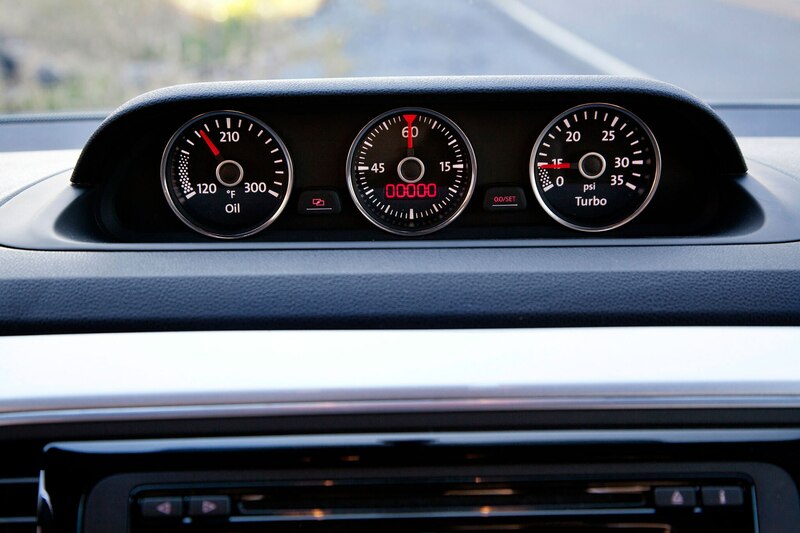 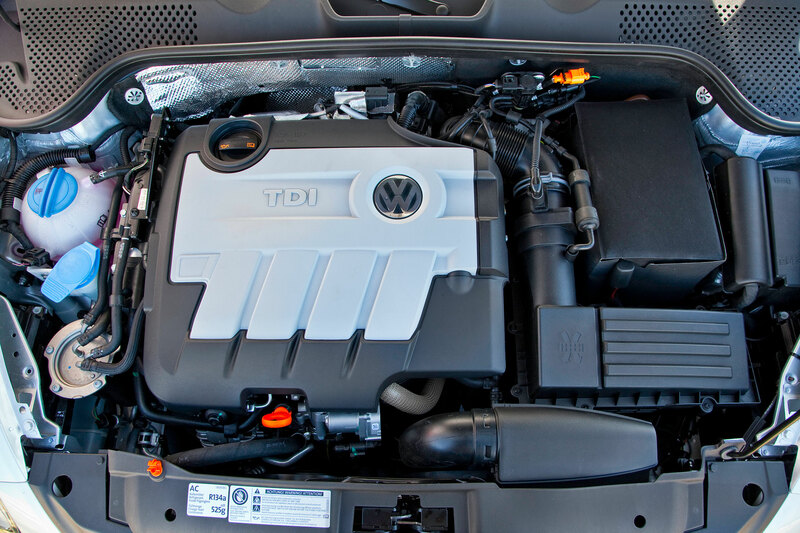 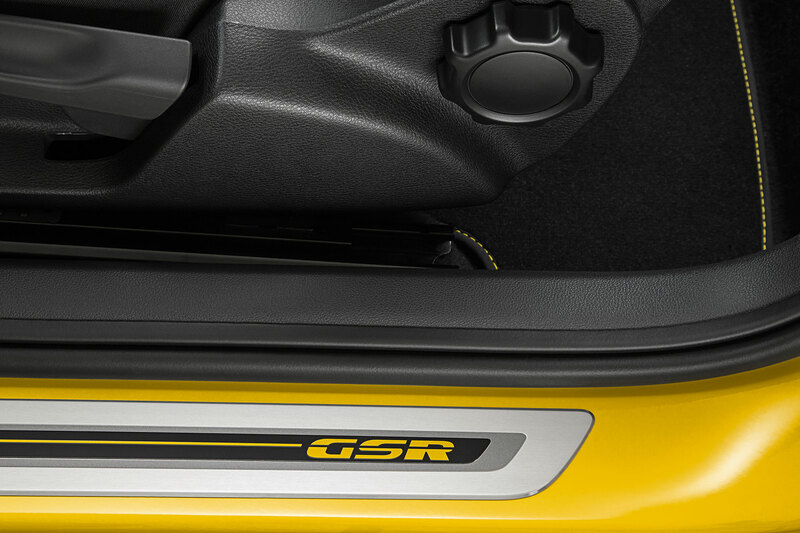 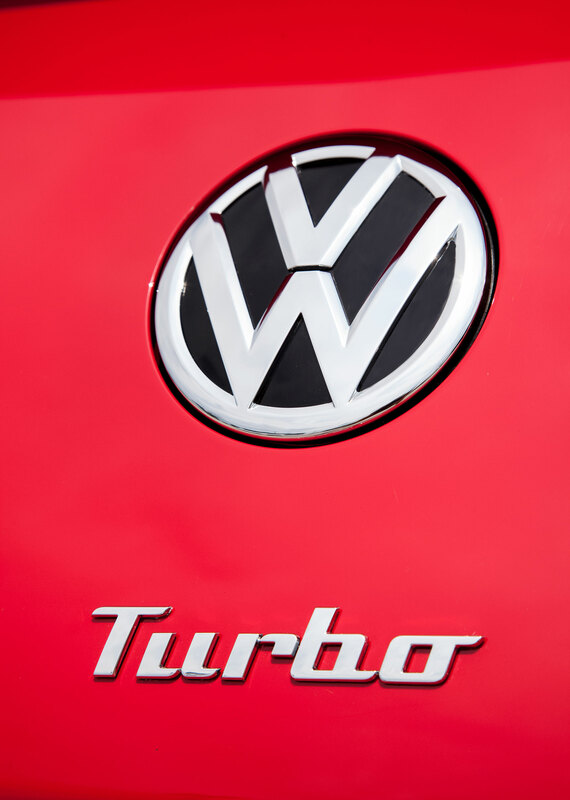 The new model is still based on the Volkswagen Golf and GTI underpinnings, and is available with three engine options: a 1.8-liter turbo-four, the 2.0-liter 210-hp turbocharged four-cylinder from the GTI, and a torquey 140-hp 2.0-liter turbodiesel also used in the Golf TDI. 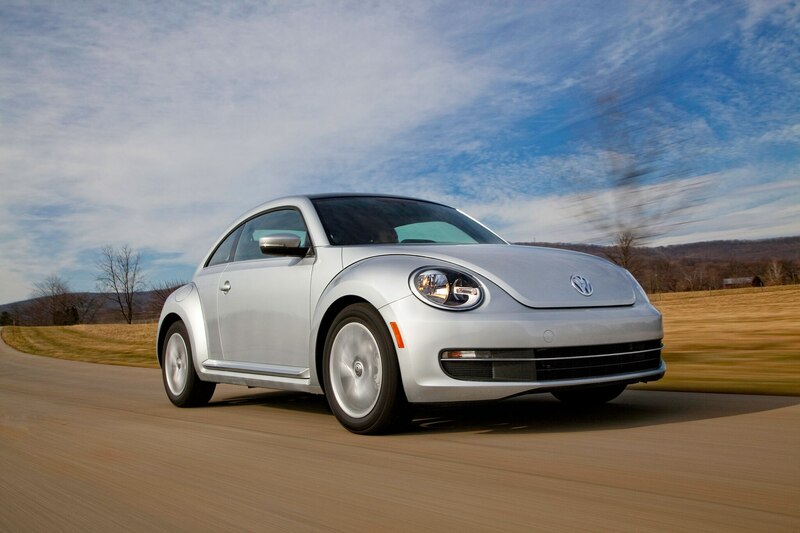 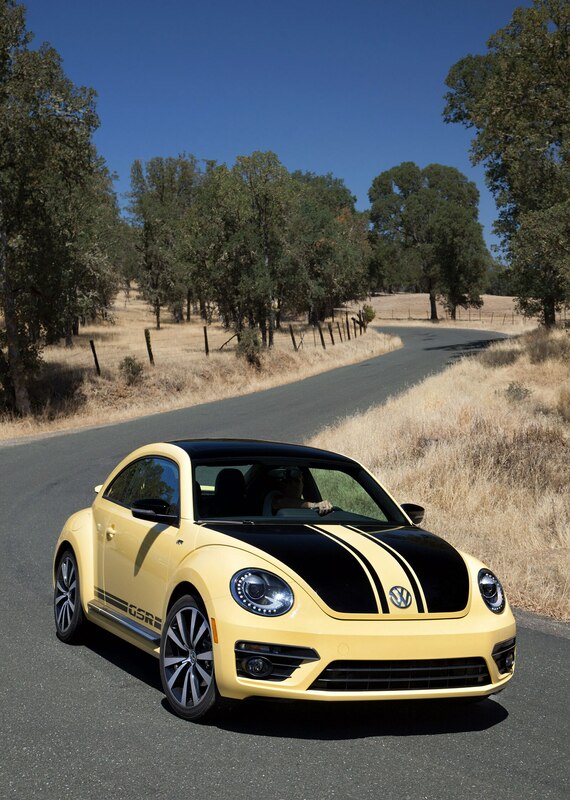 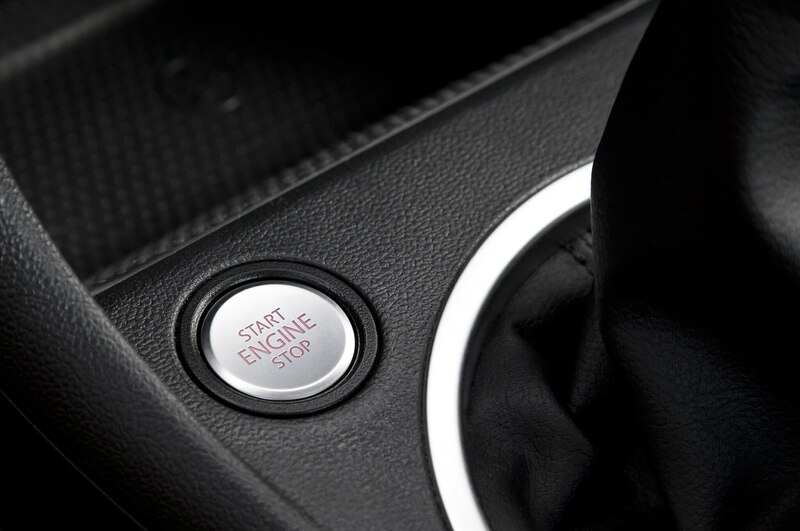 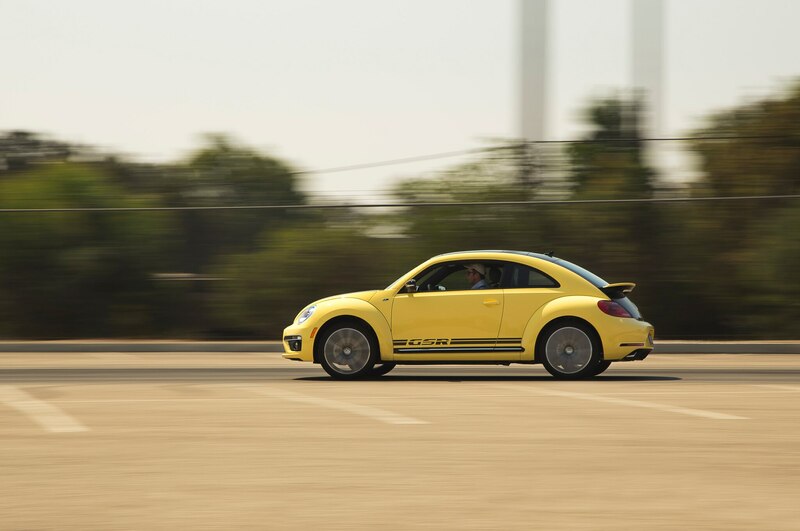 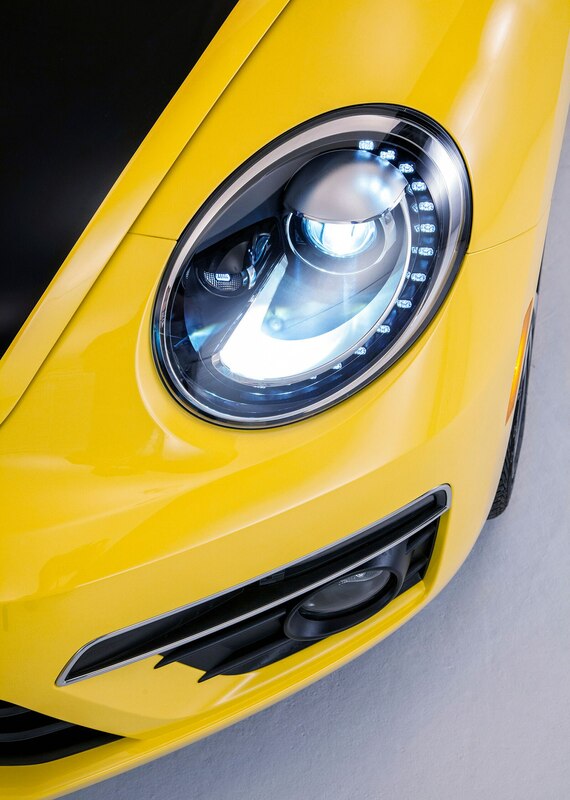 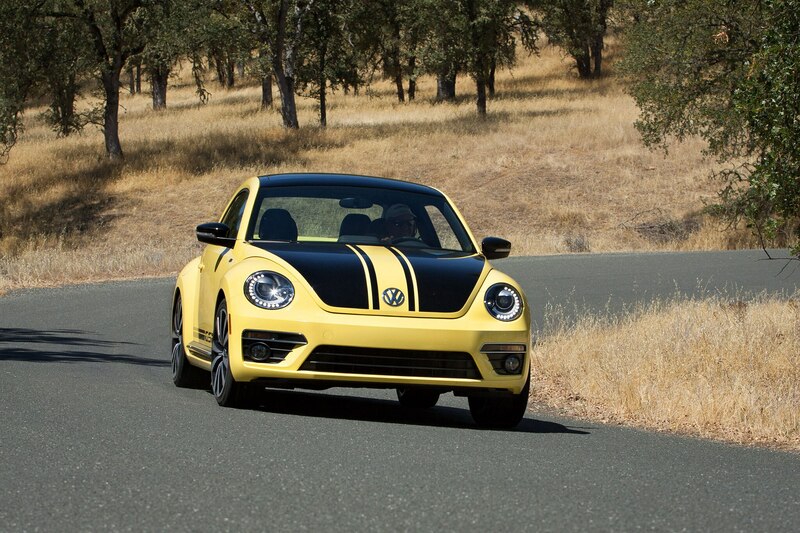 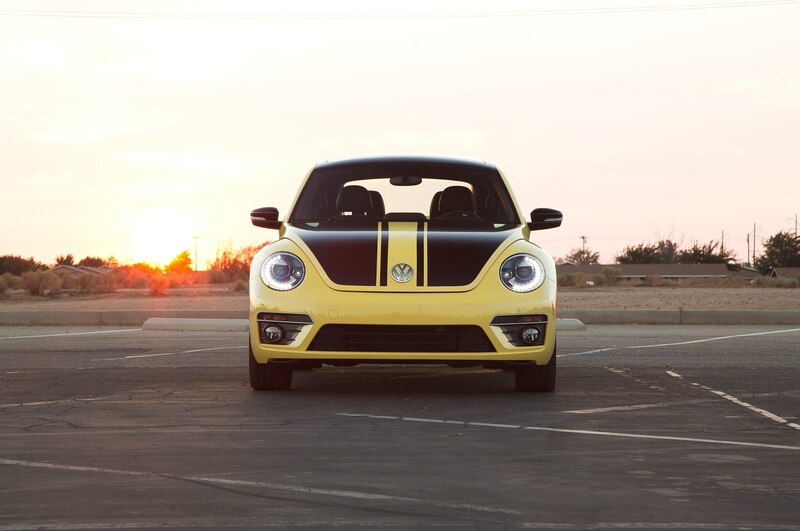 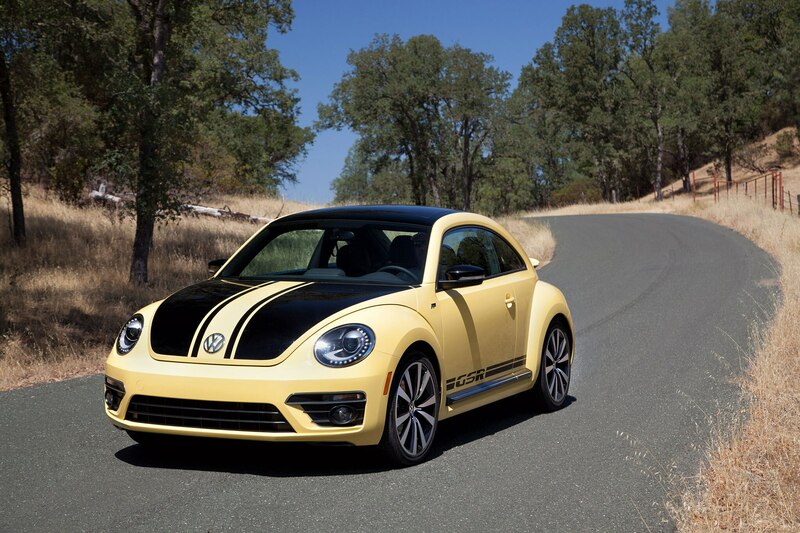 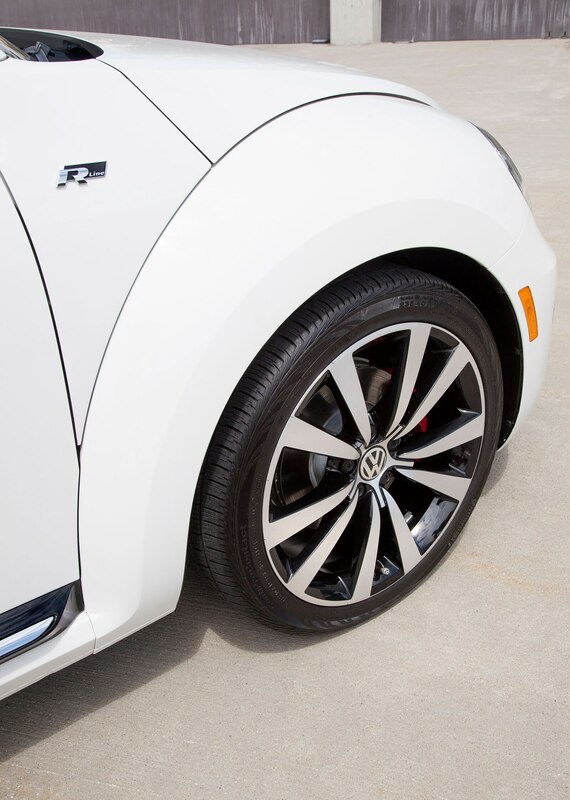 Over 43,000 Beetle units were sold in the U.S. in 2013. 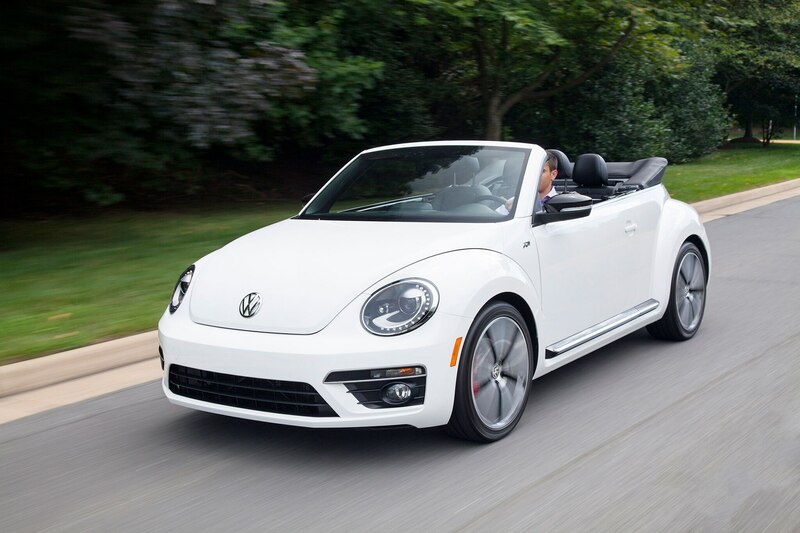 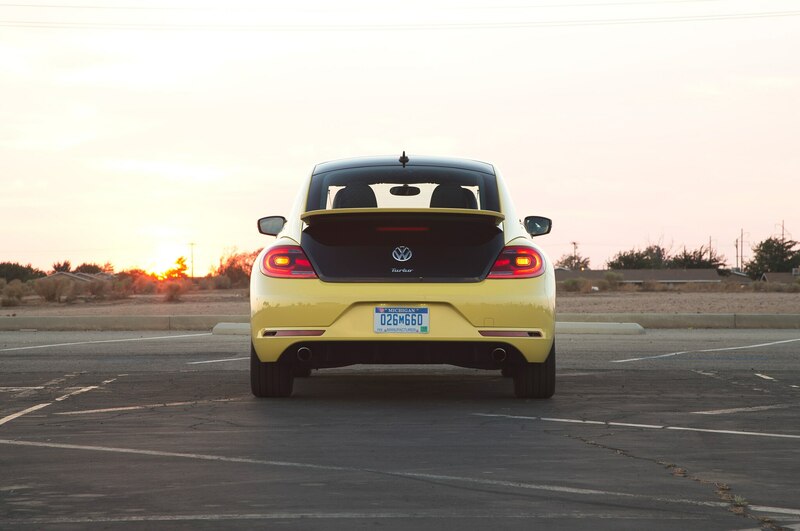 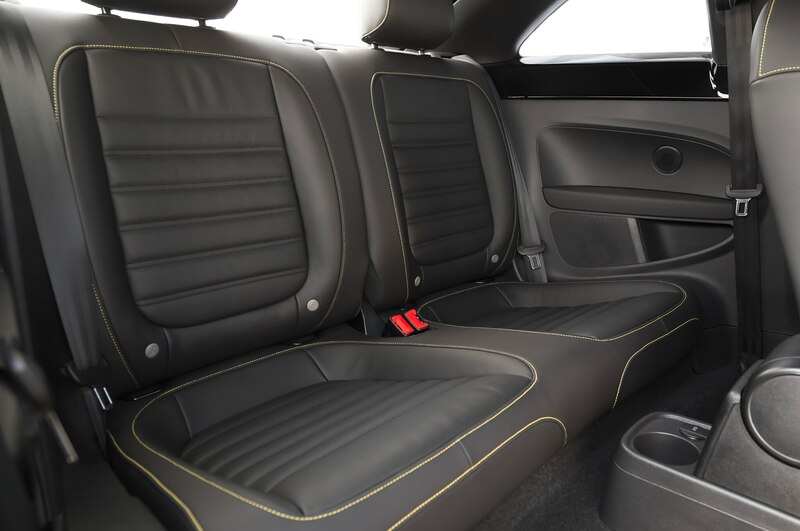 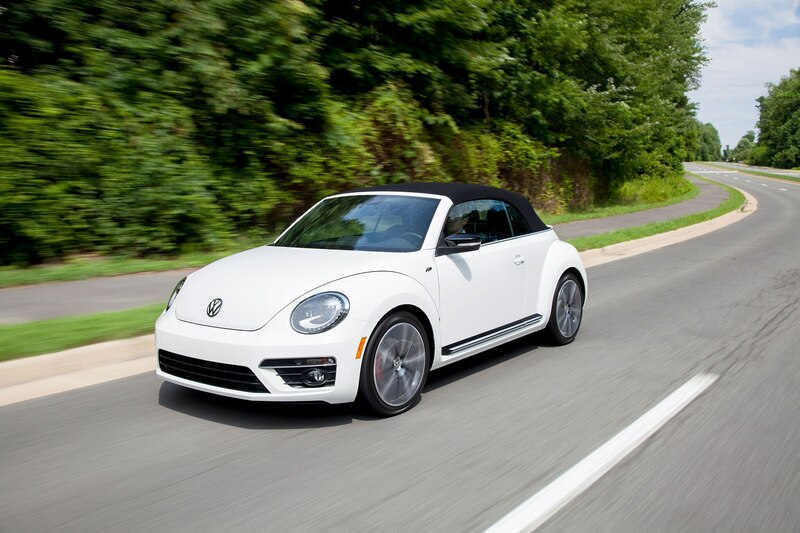 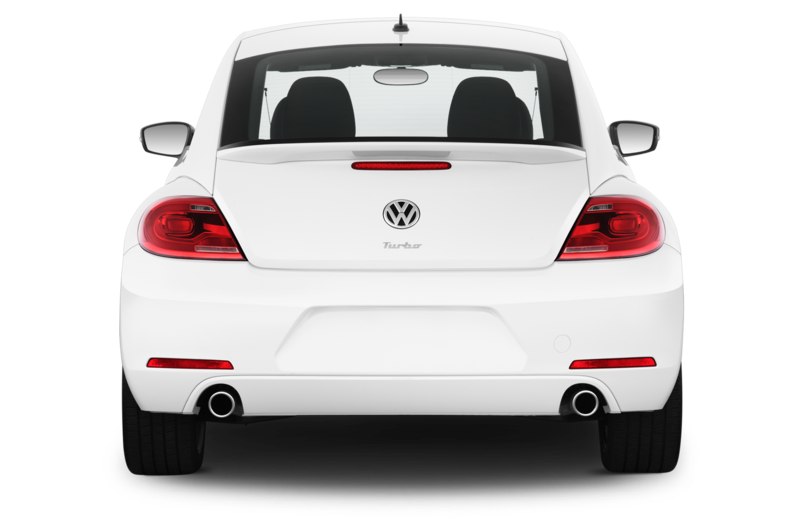 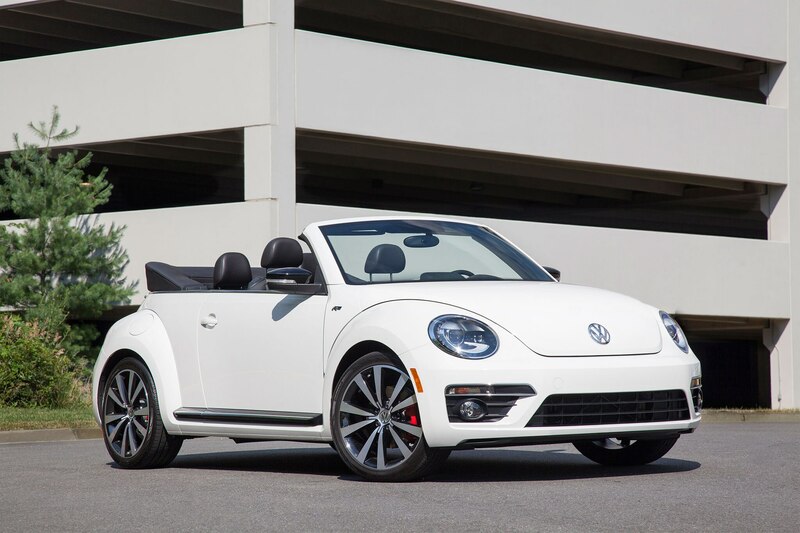 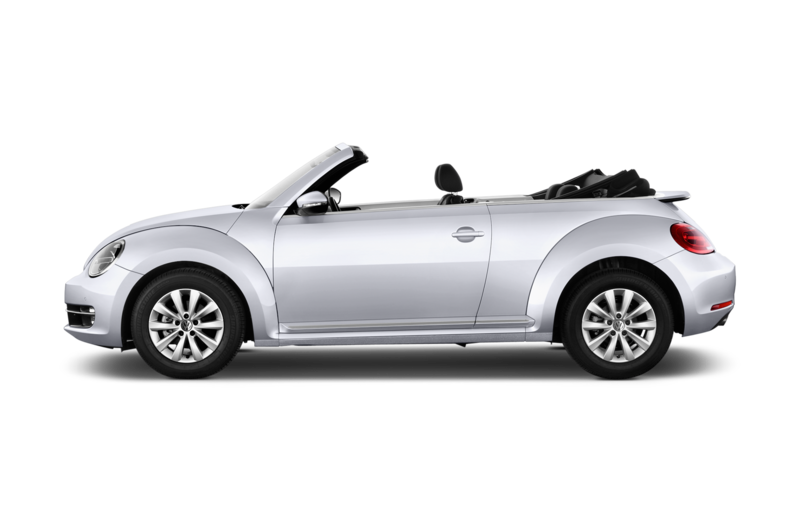 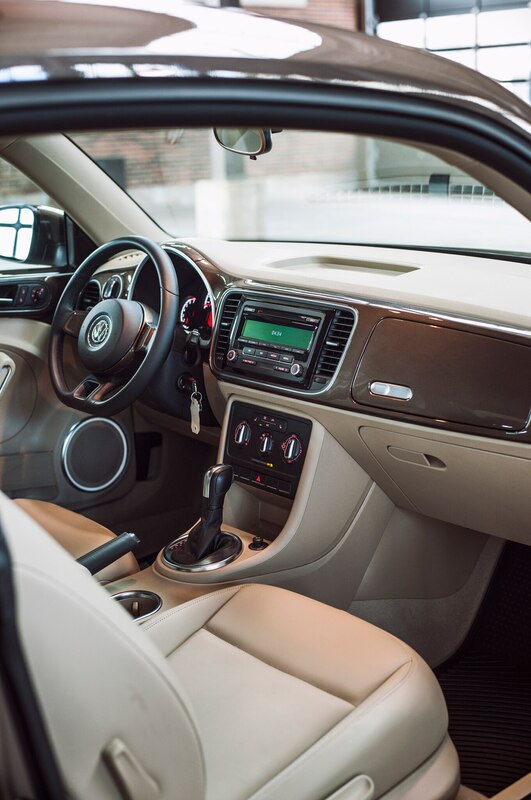 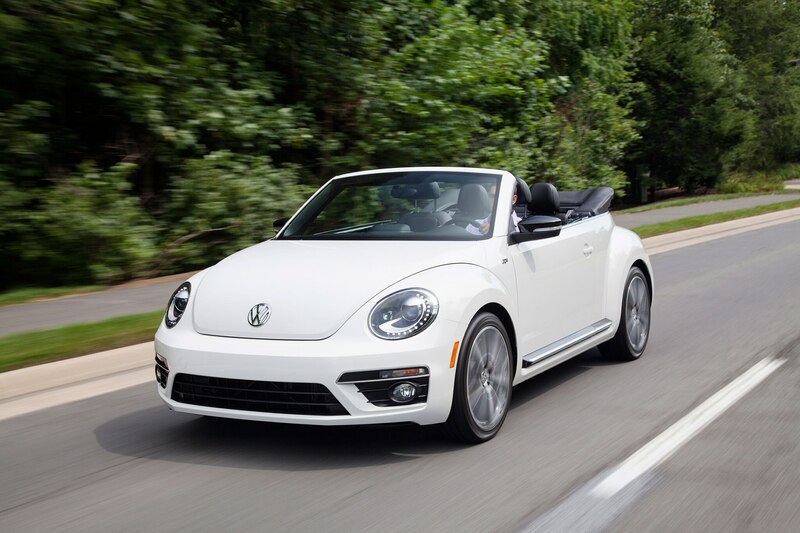 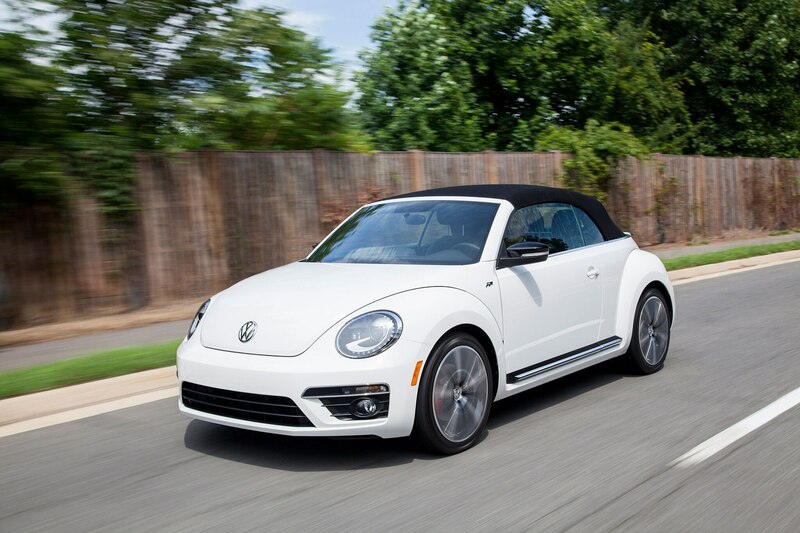 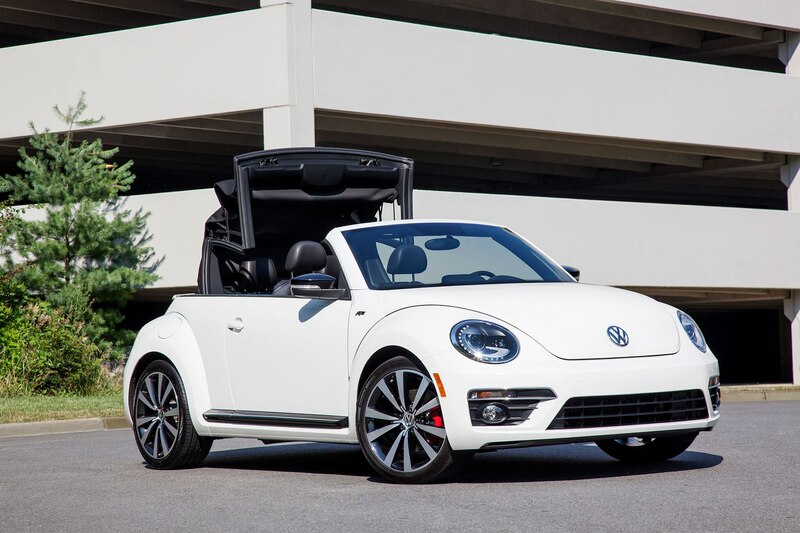 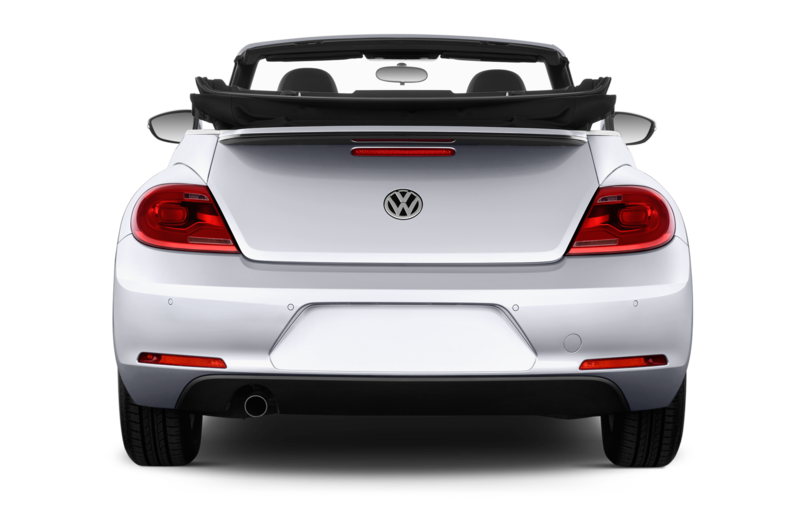 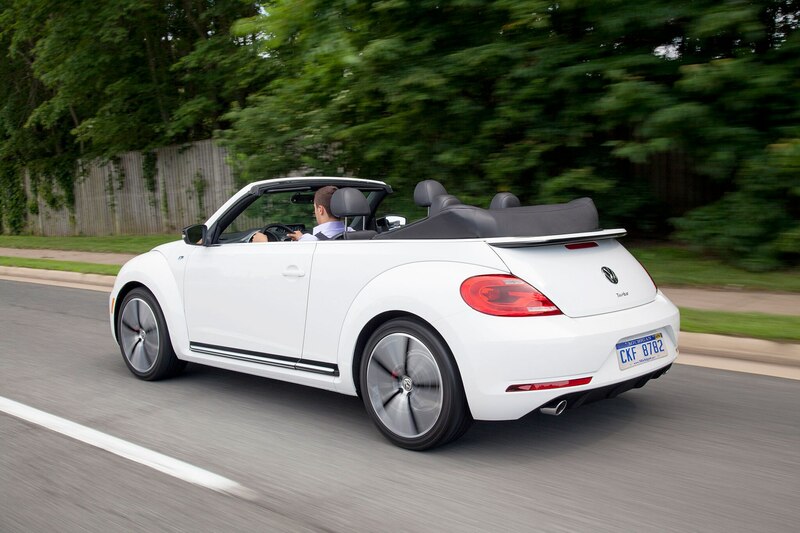 Although it lacks the precision and feedback of the well-loved GTI, our Four Seasons 2013 Volkswagen Beetle Turbo Convertible has proved that top-down fun still need not come at an astronomical price point. 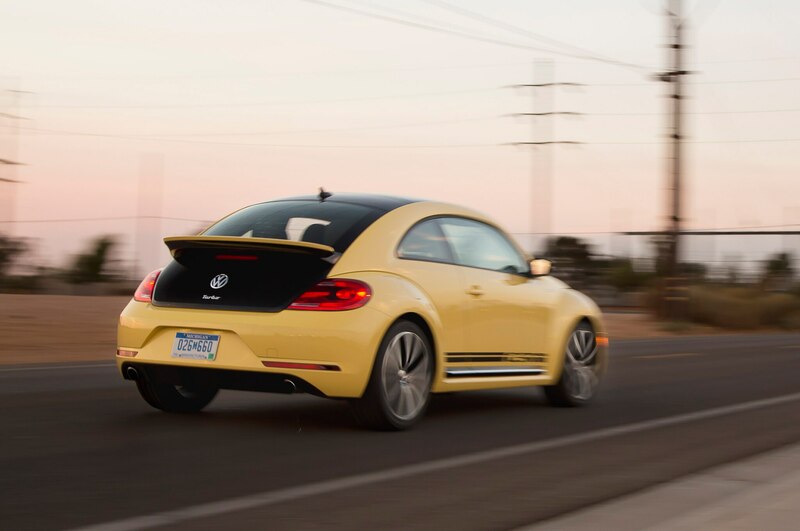 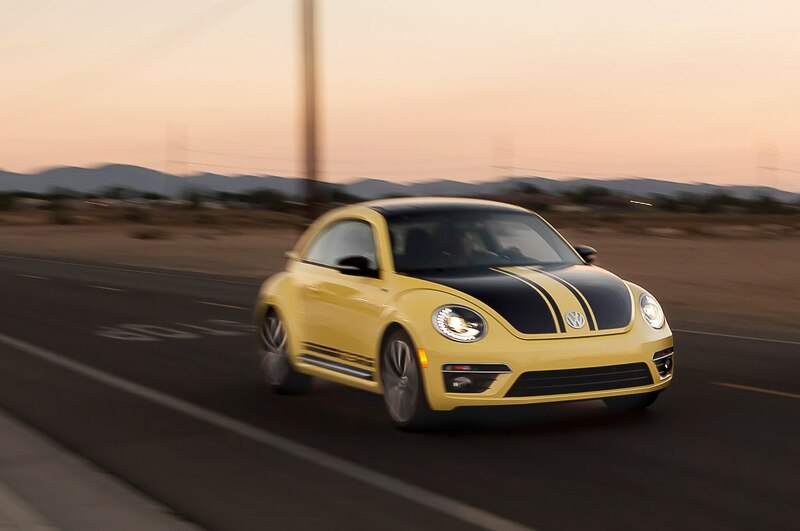 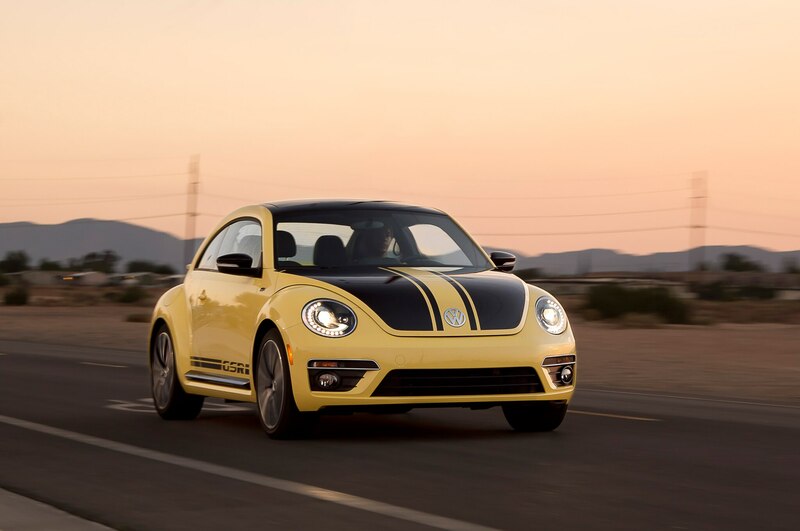 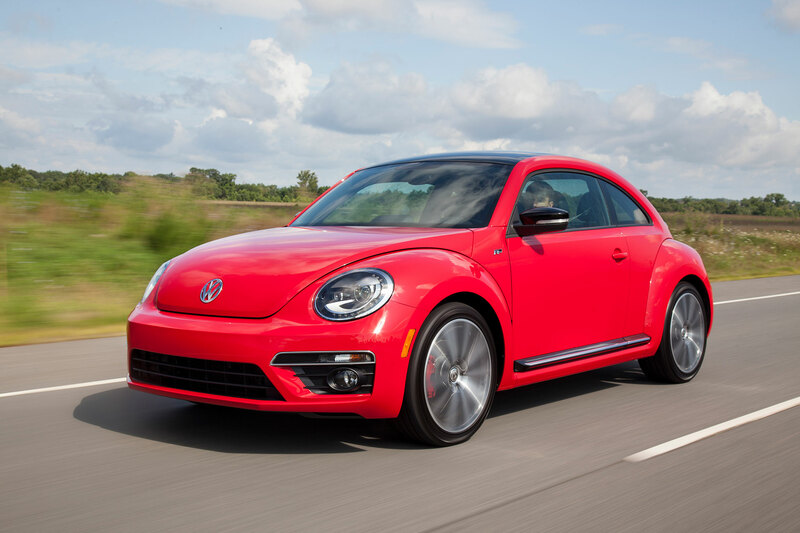 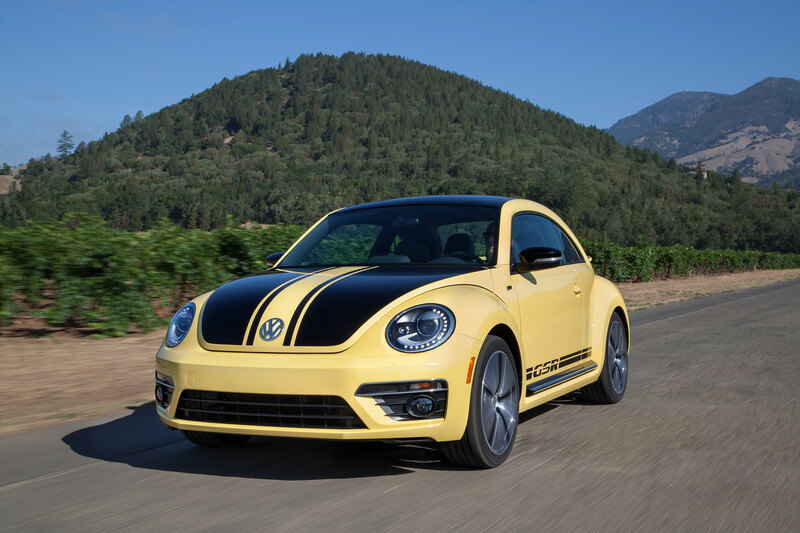 VW has tried to capture some of that old 60s magic with the third-gen Beetle, and there is no doubt that its funky, outgoing personality remains its biggest strength.